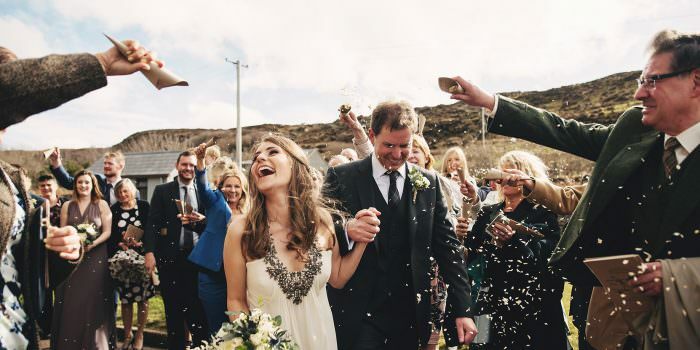 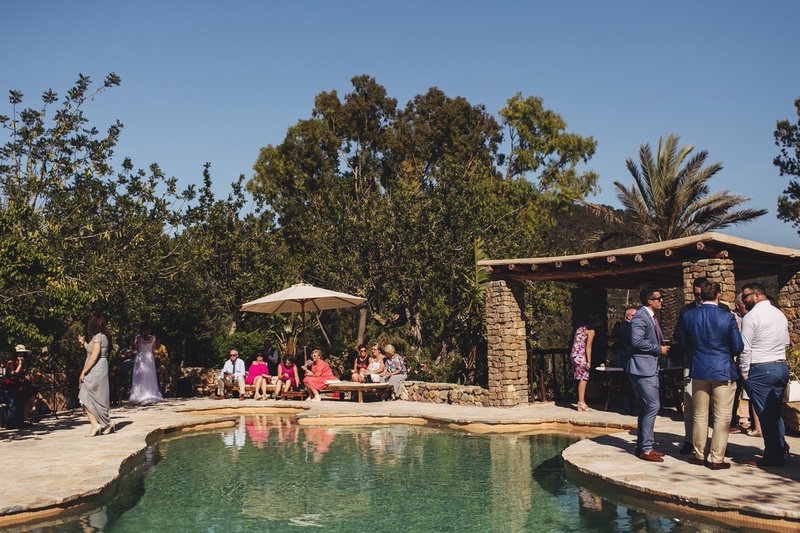 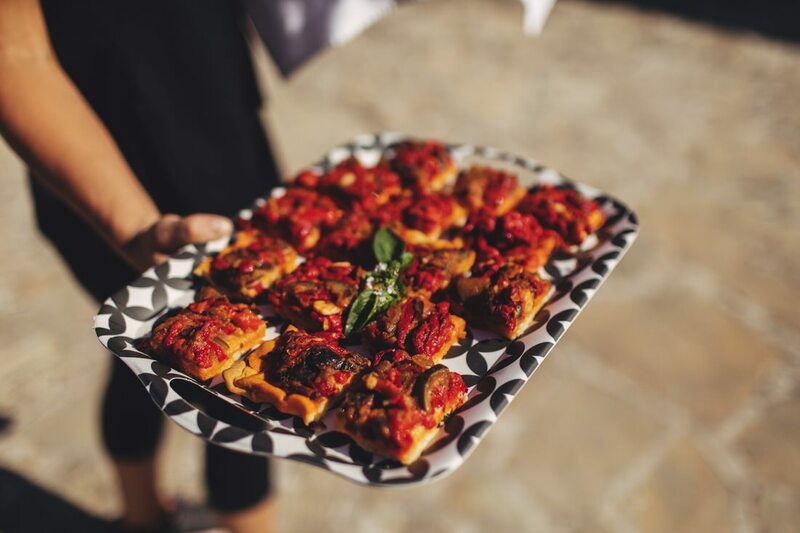 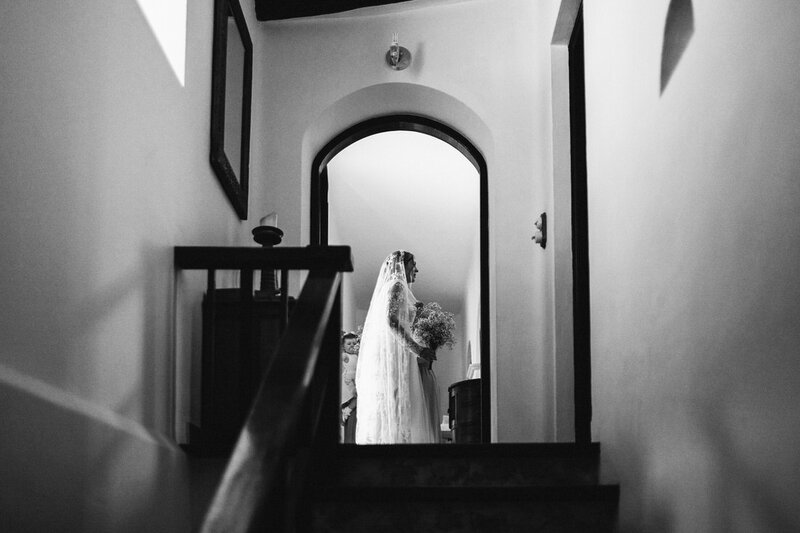 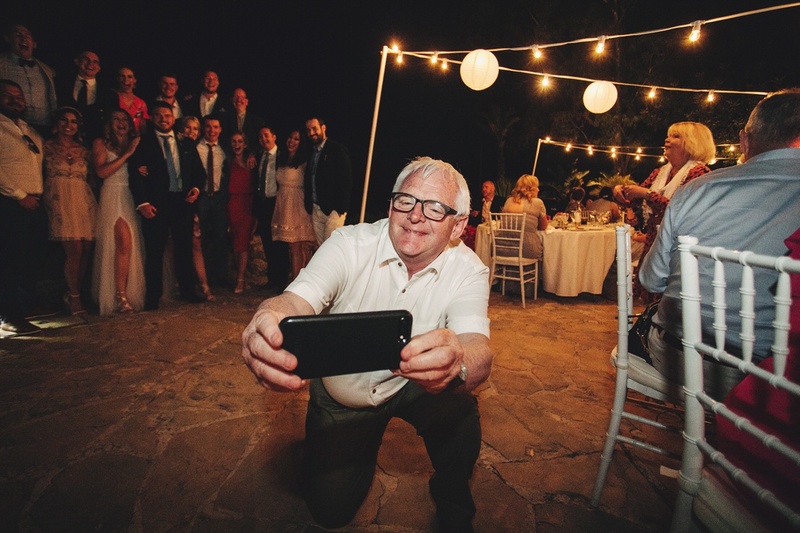 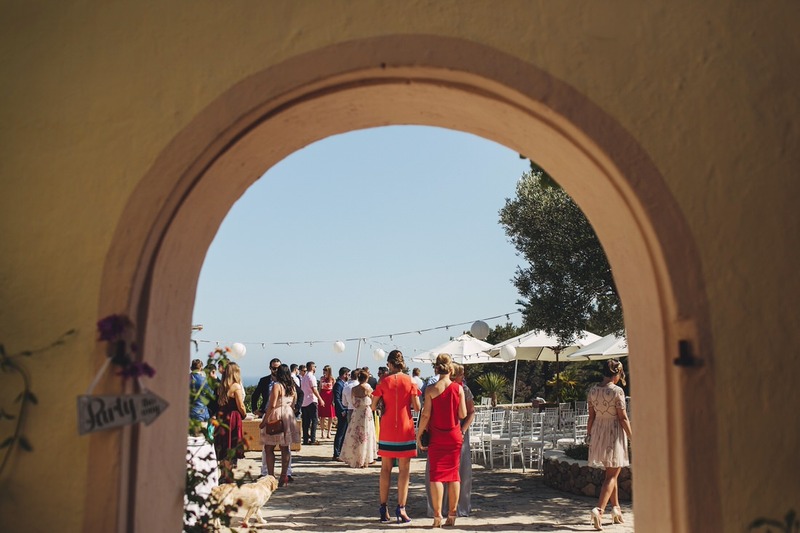 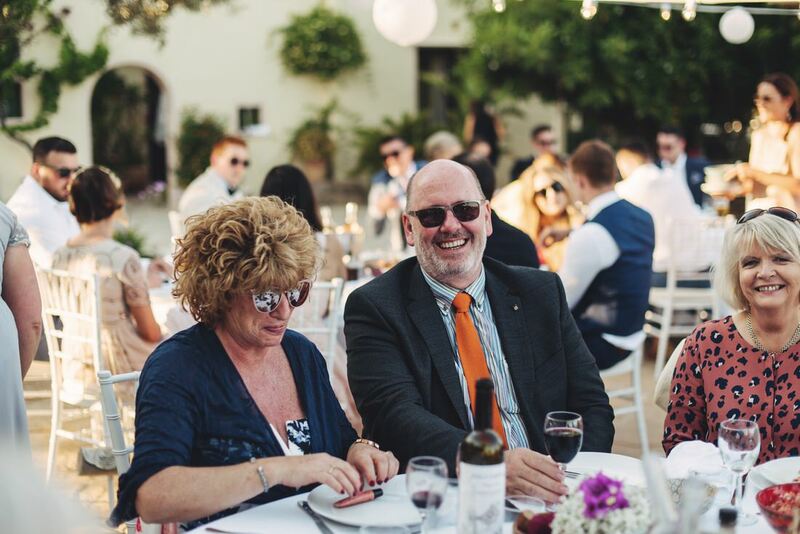 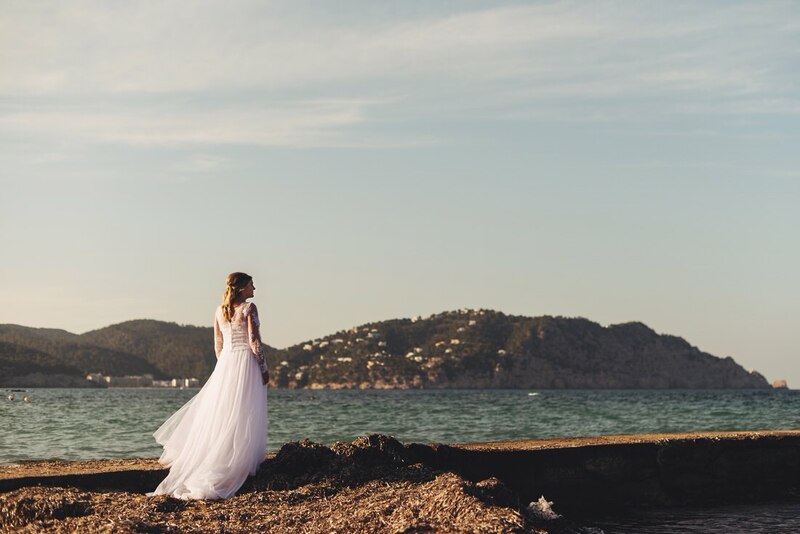 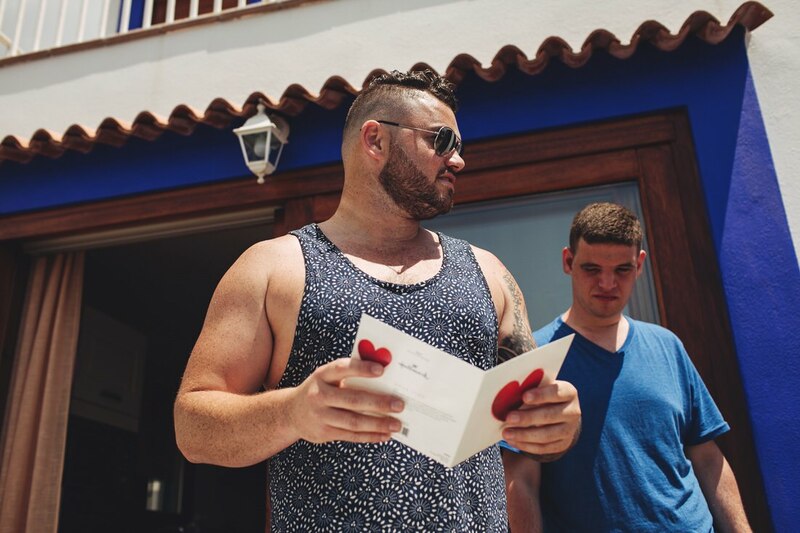 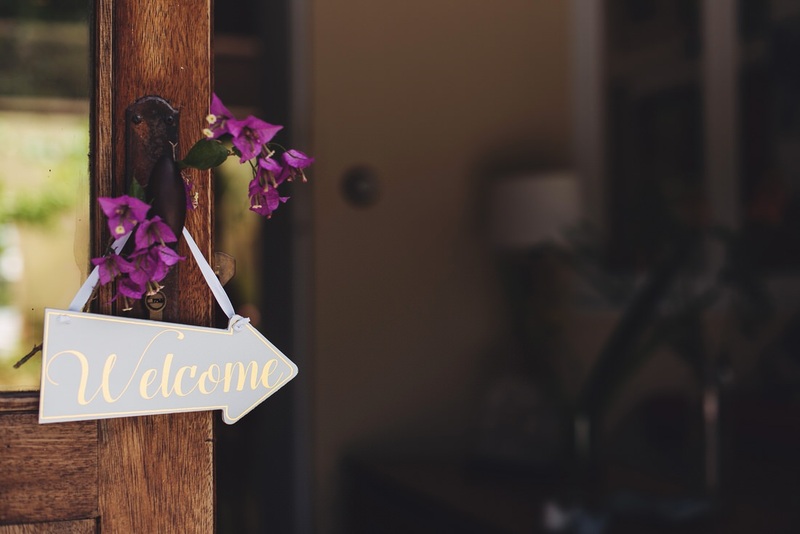 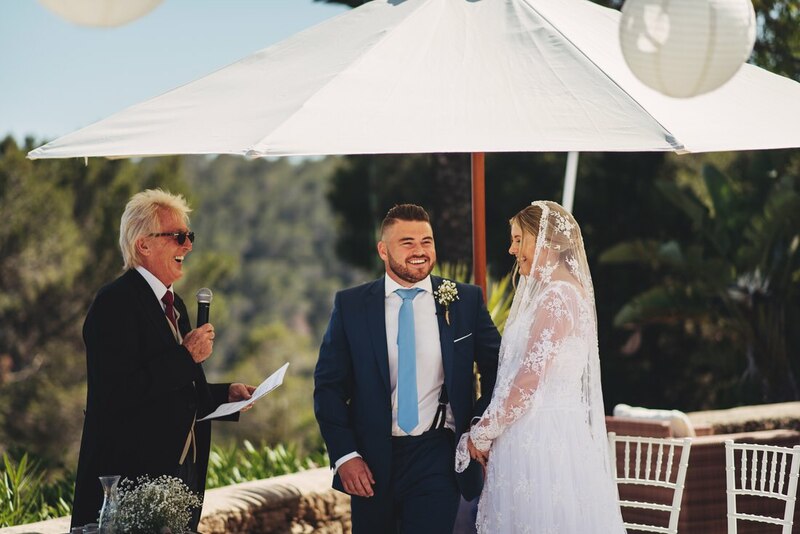 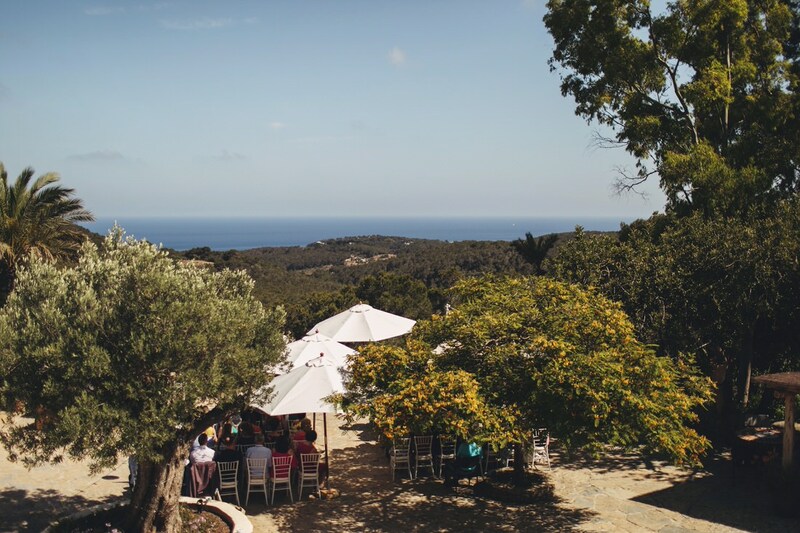 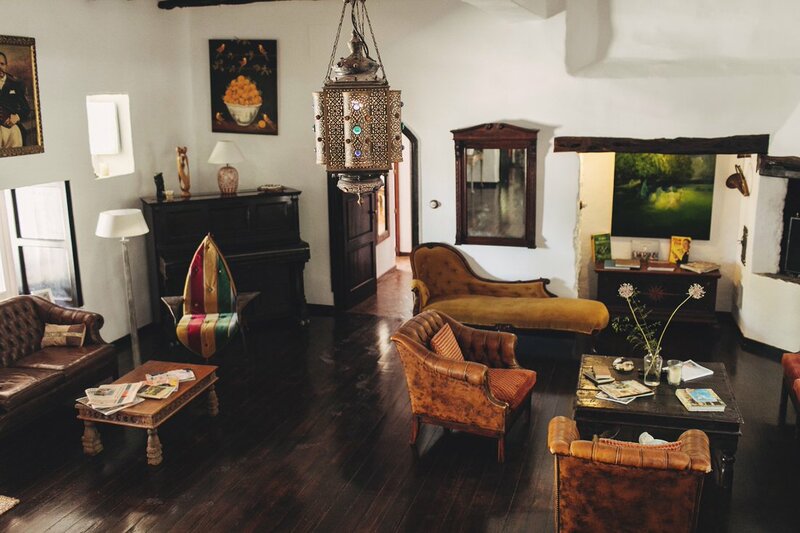 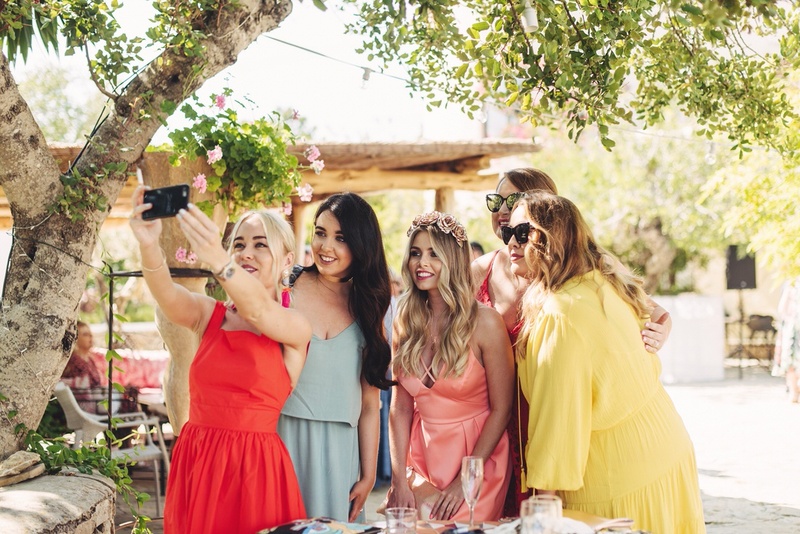 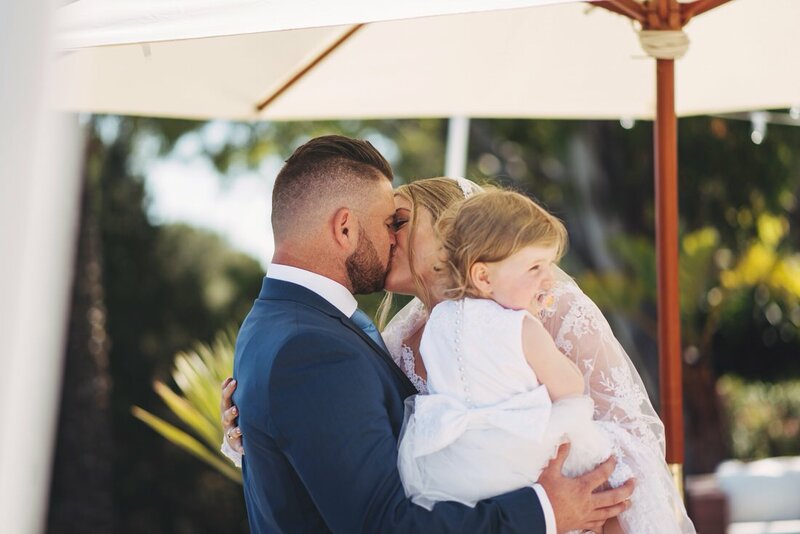 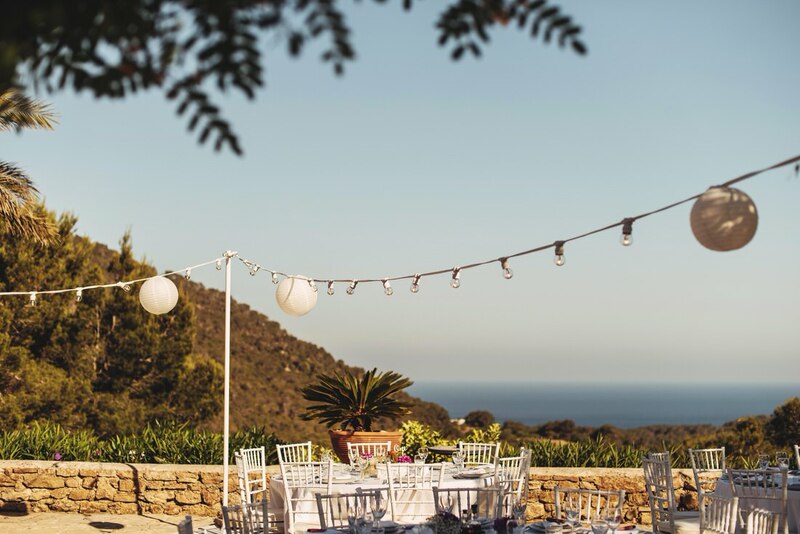 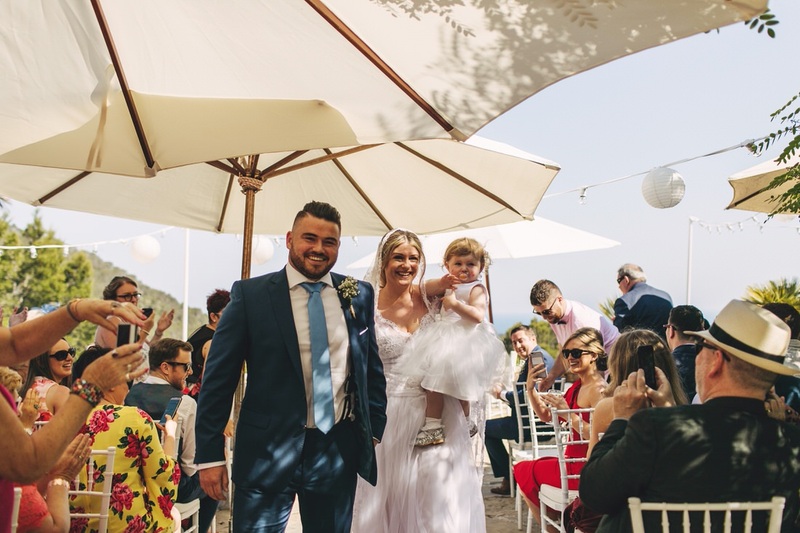 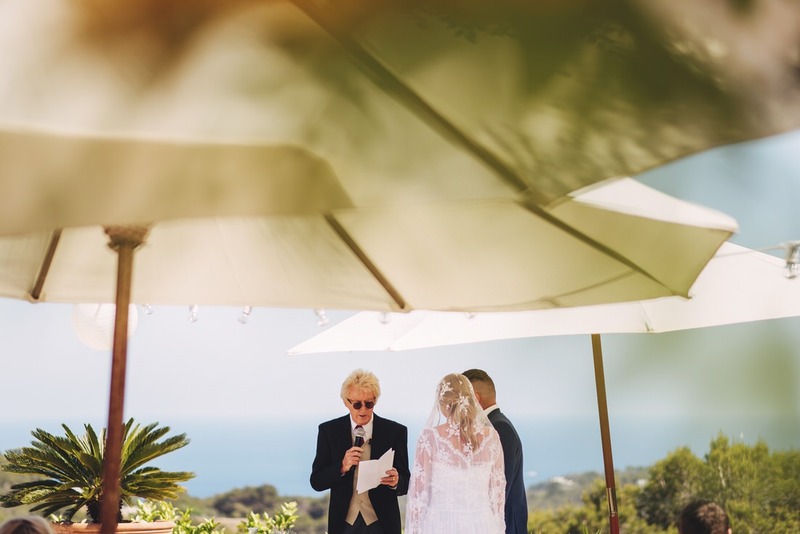 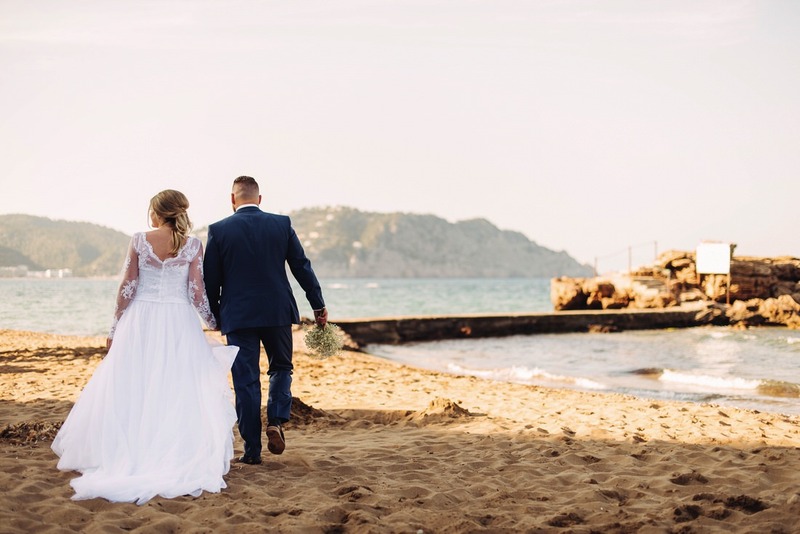 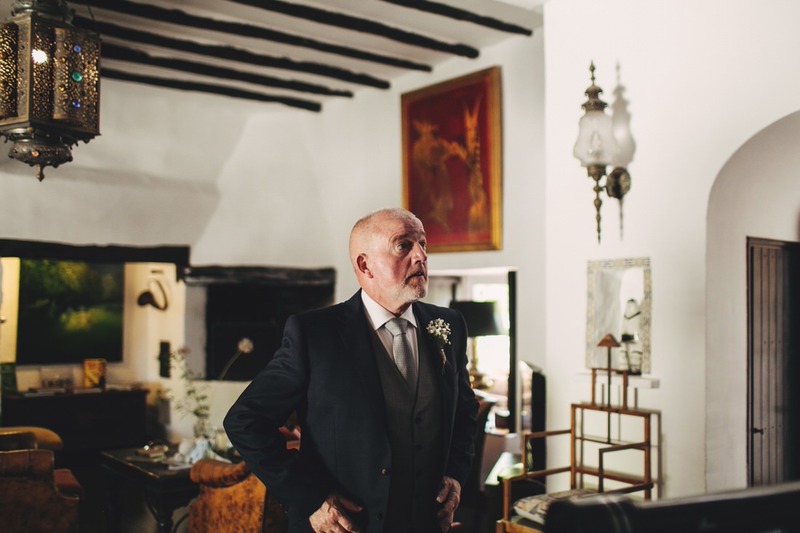 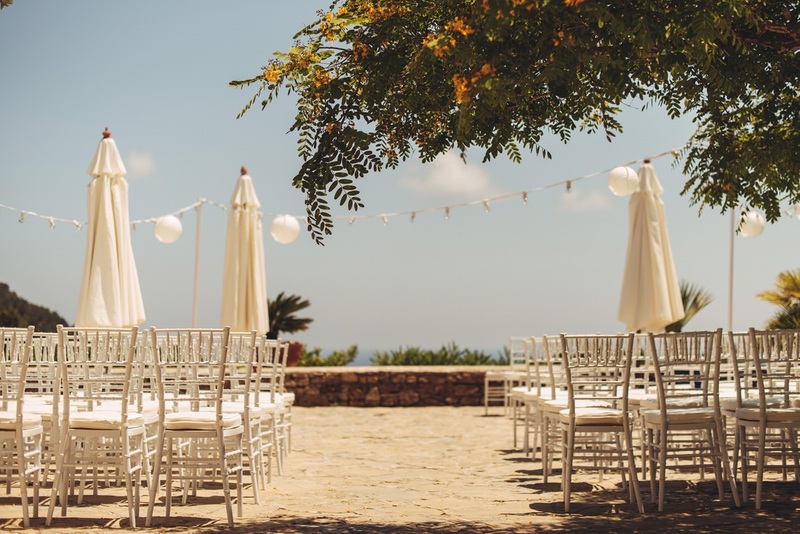 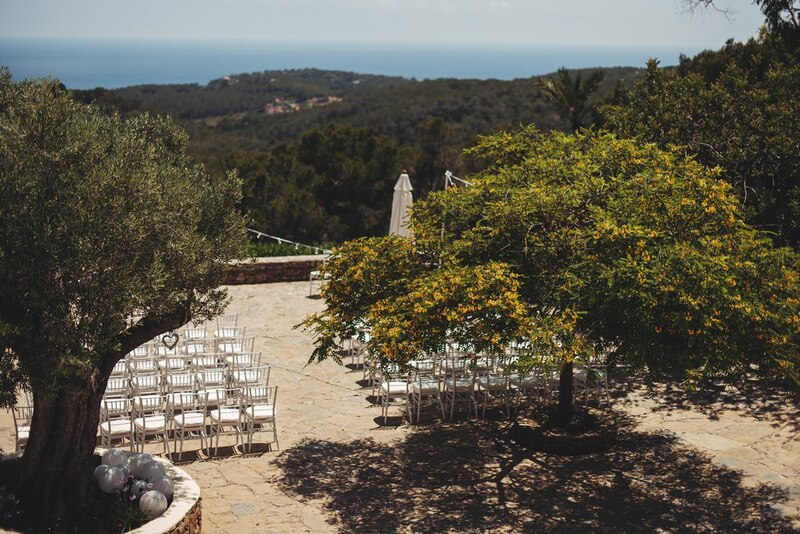 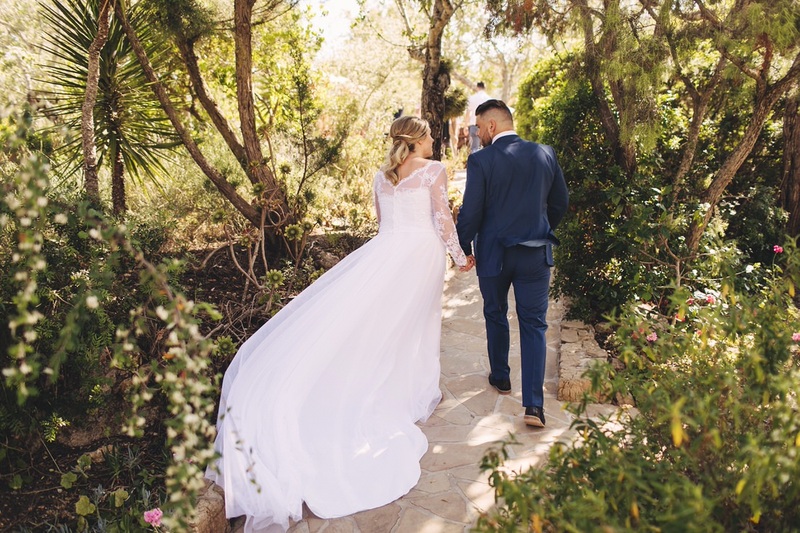 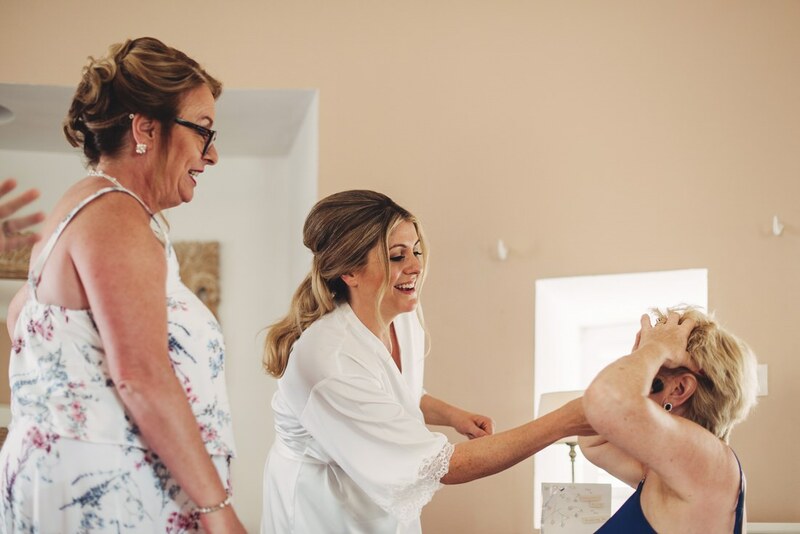 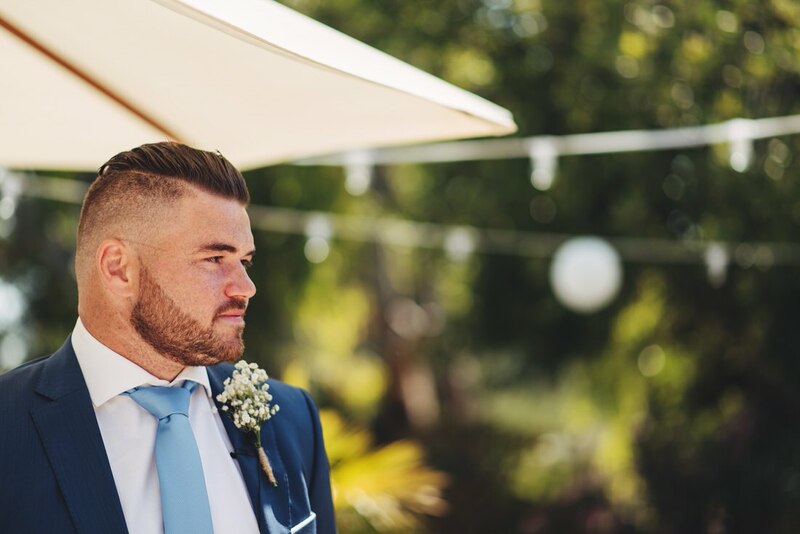 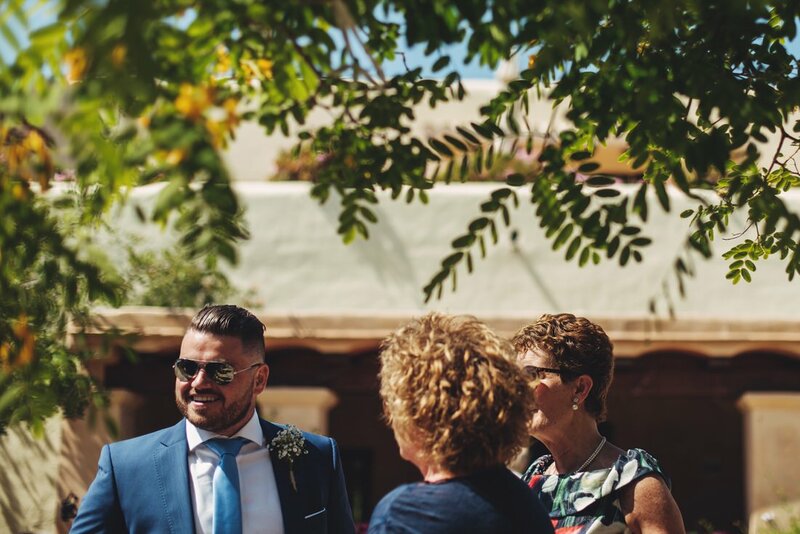 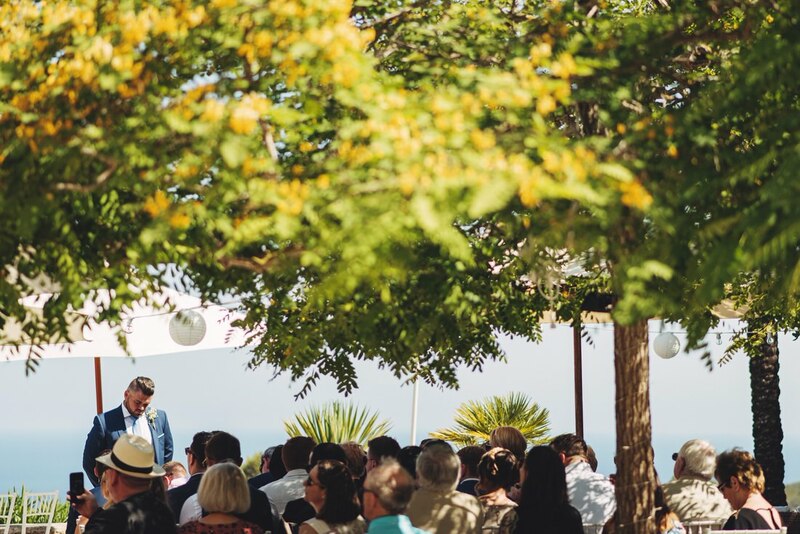 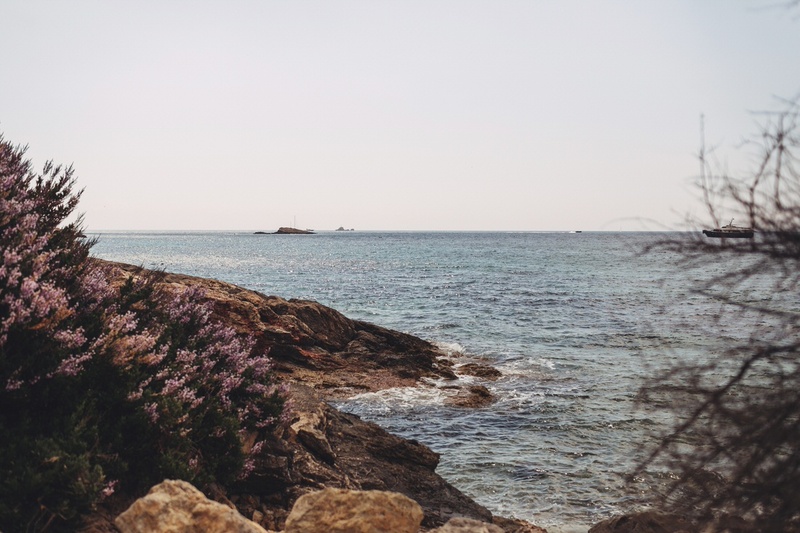 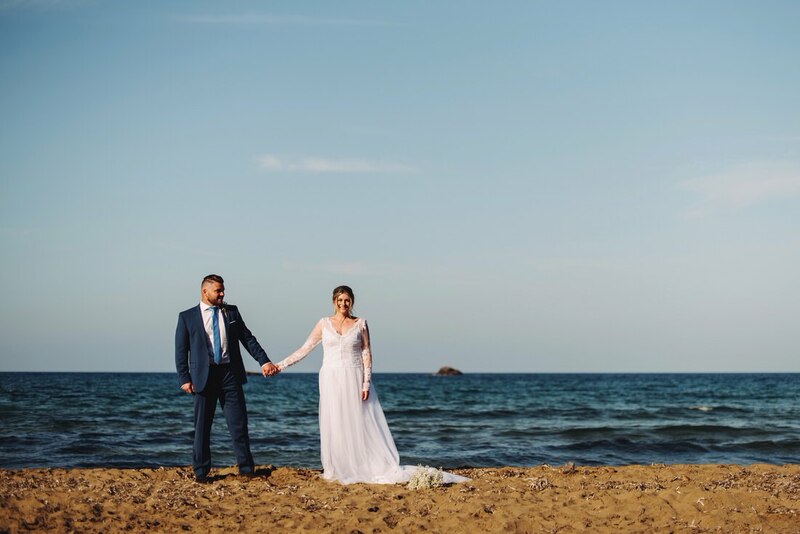 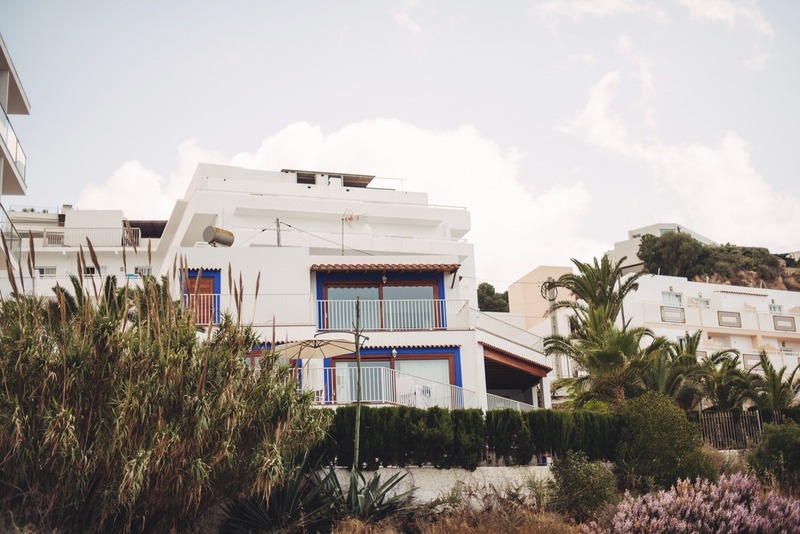 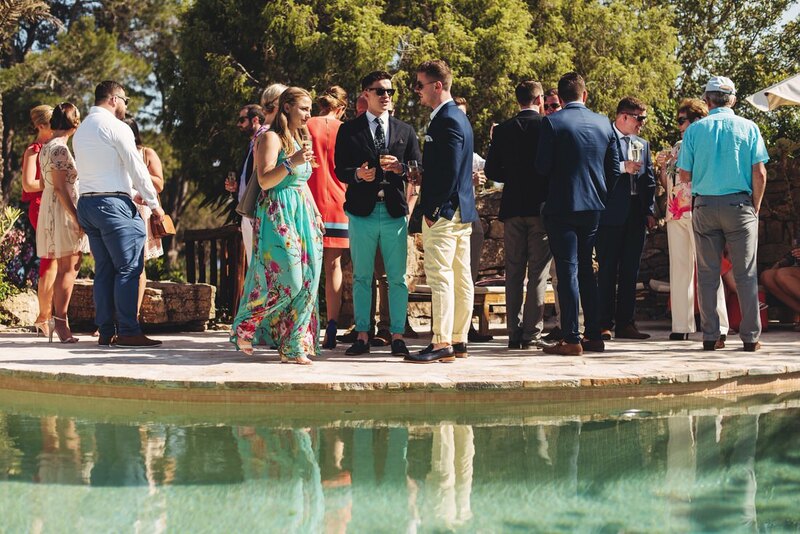 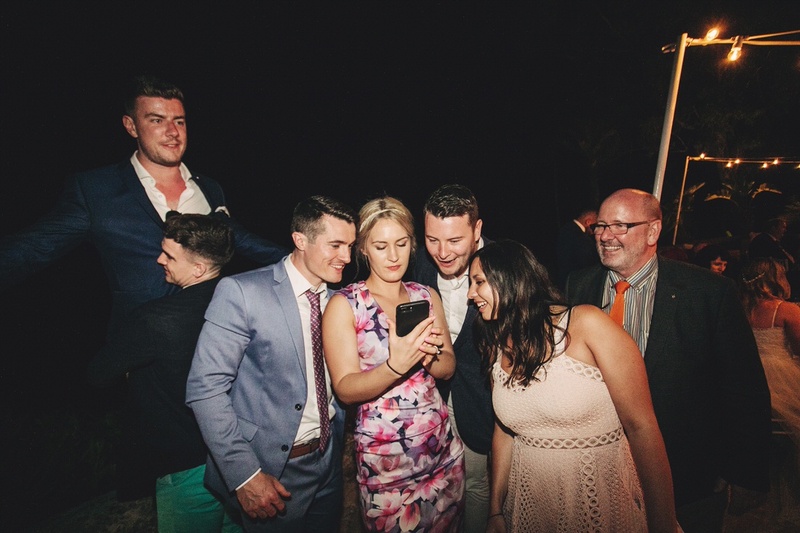 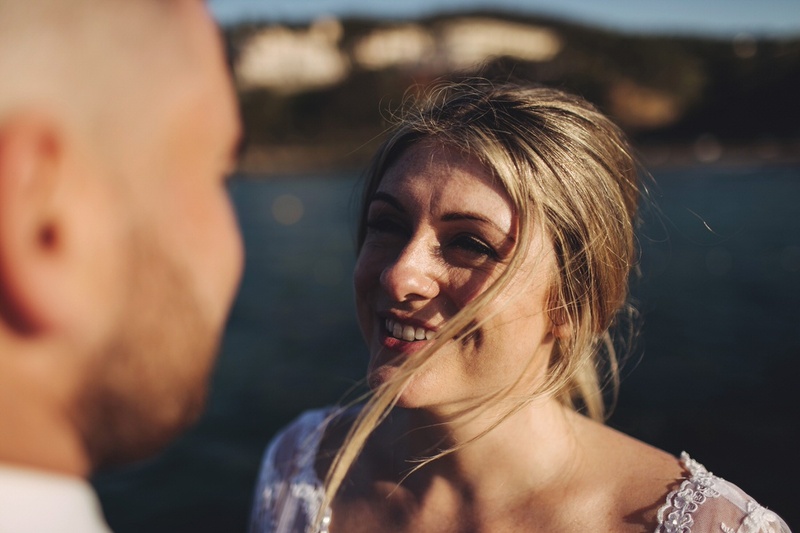 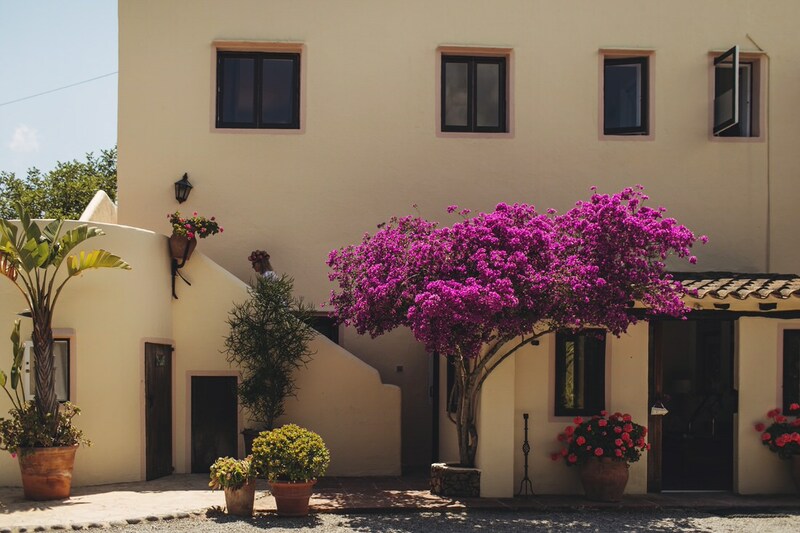 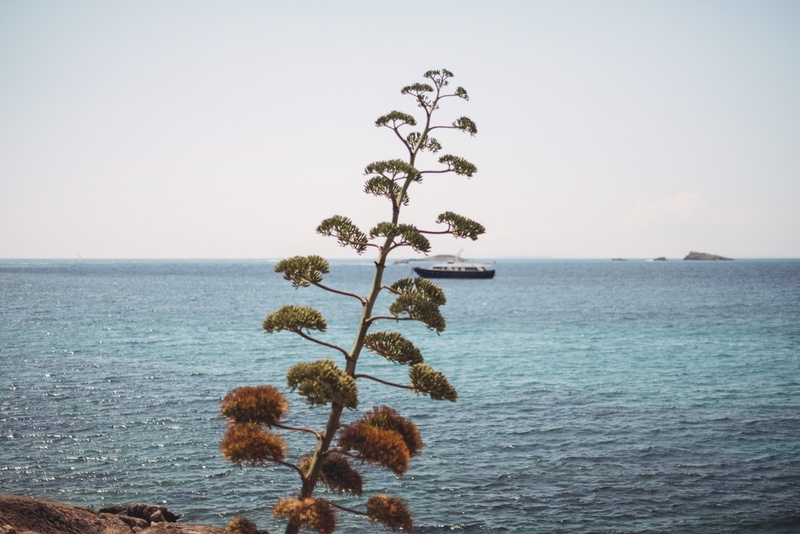 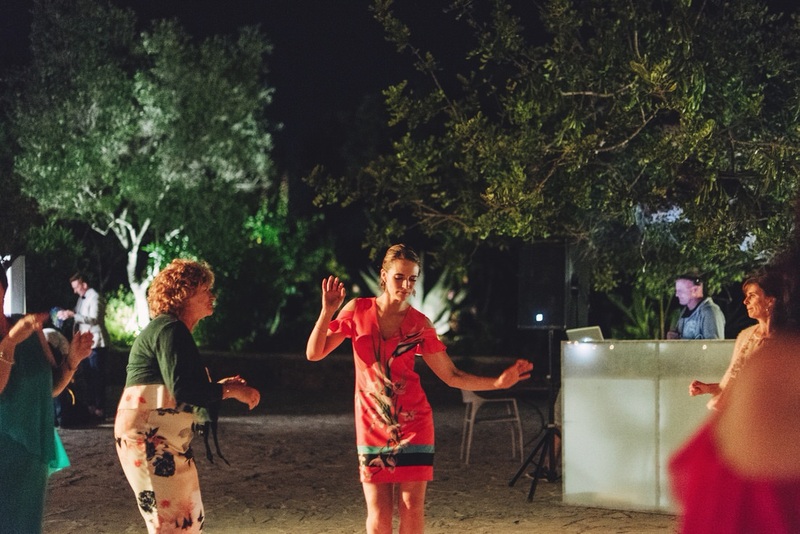 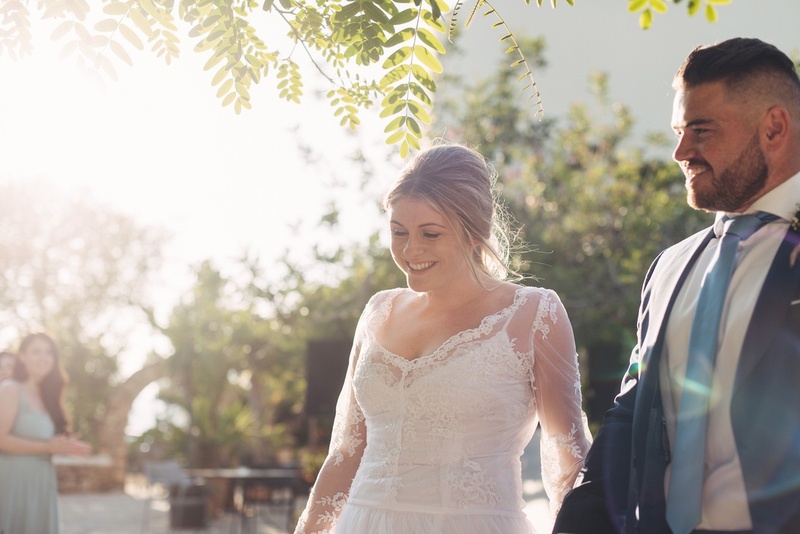 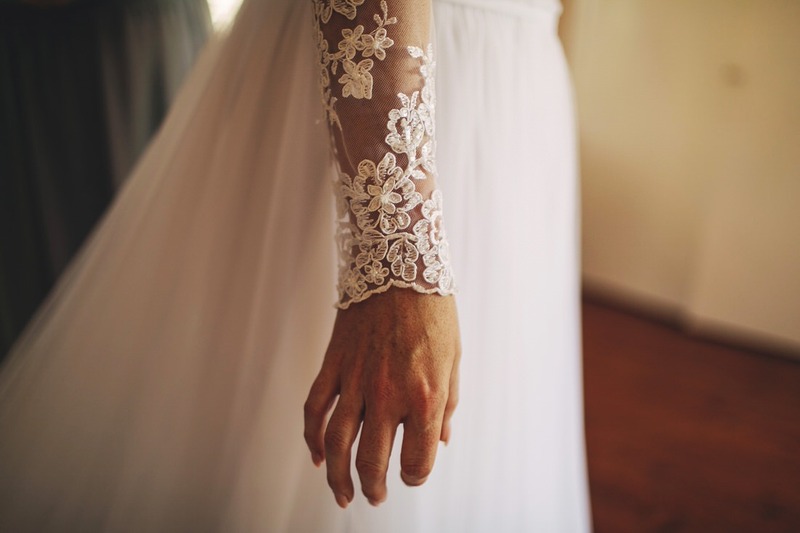 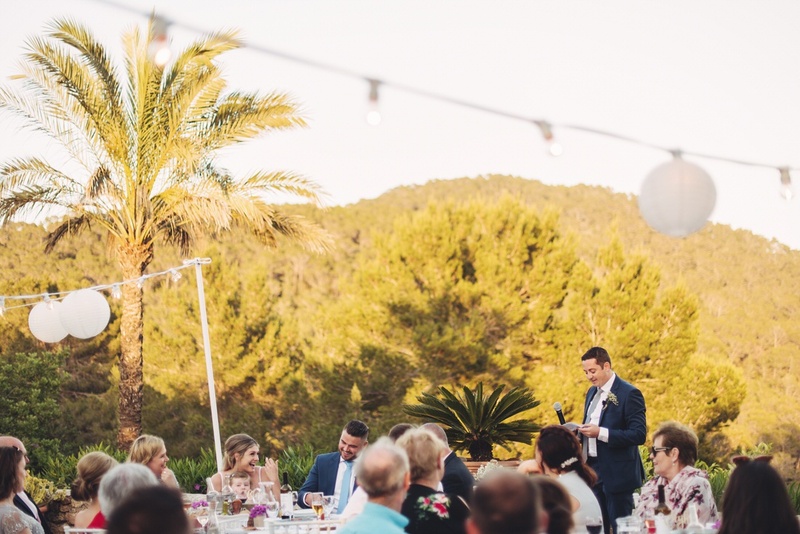 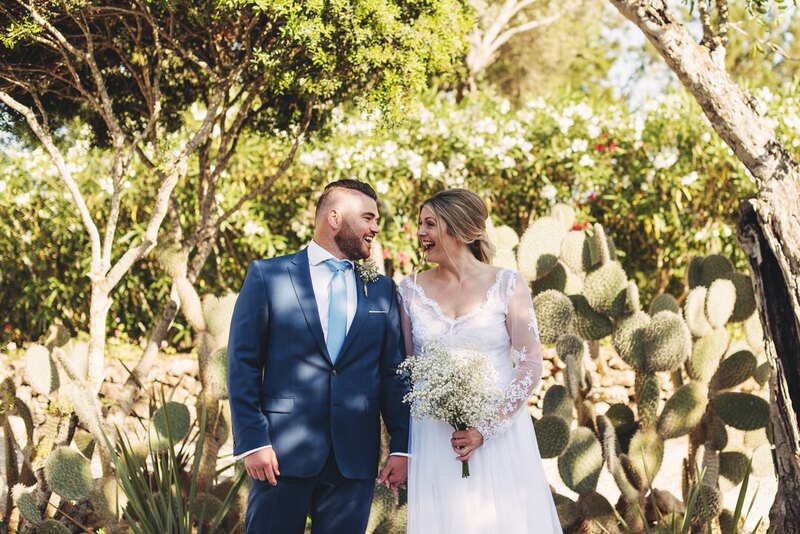 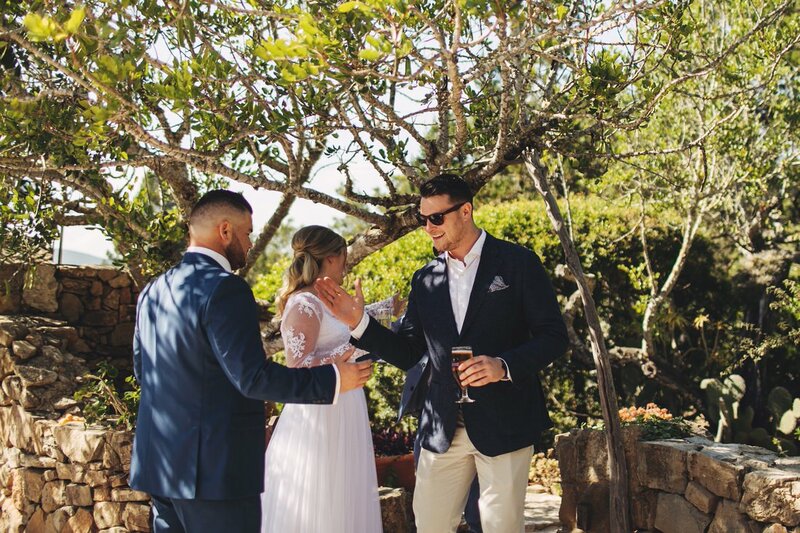 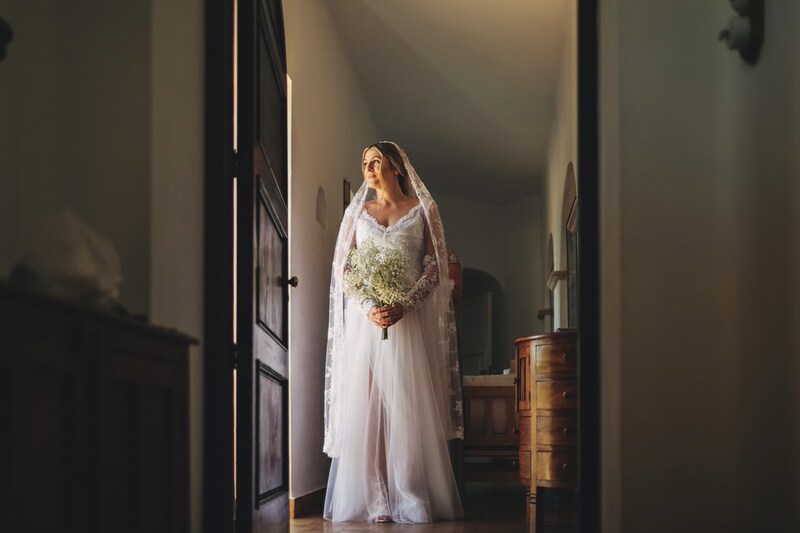 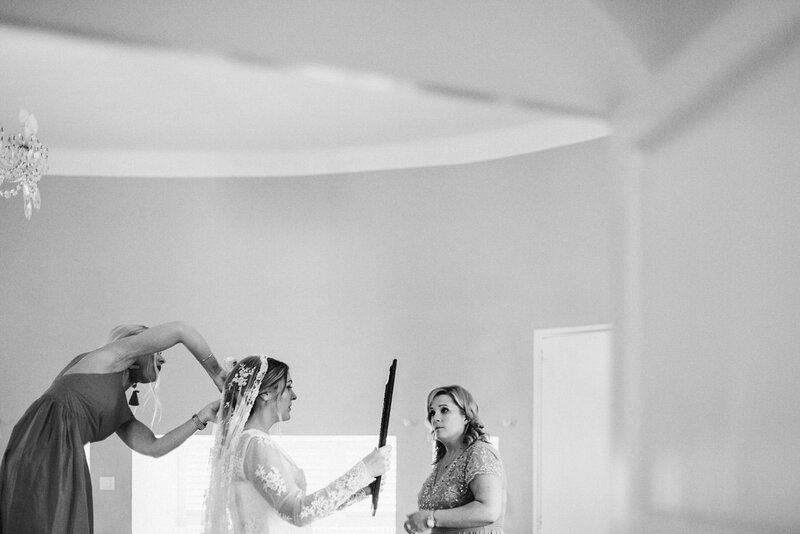 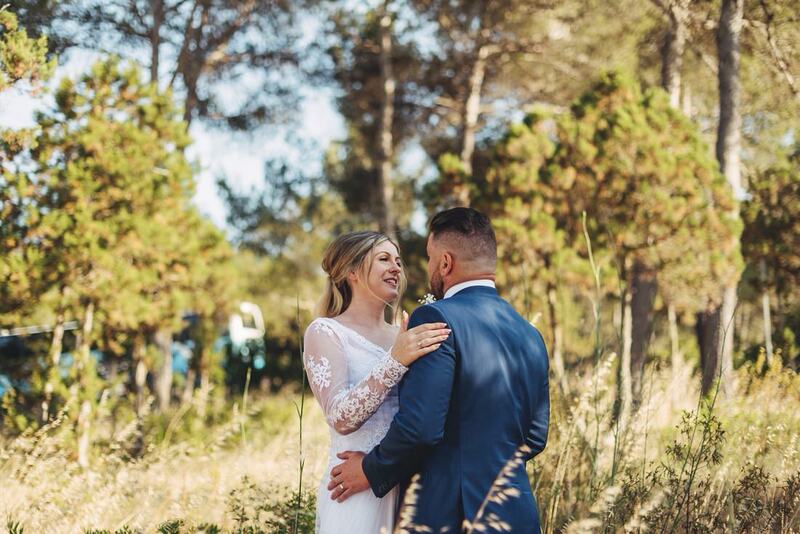 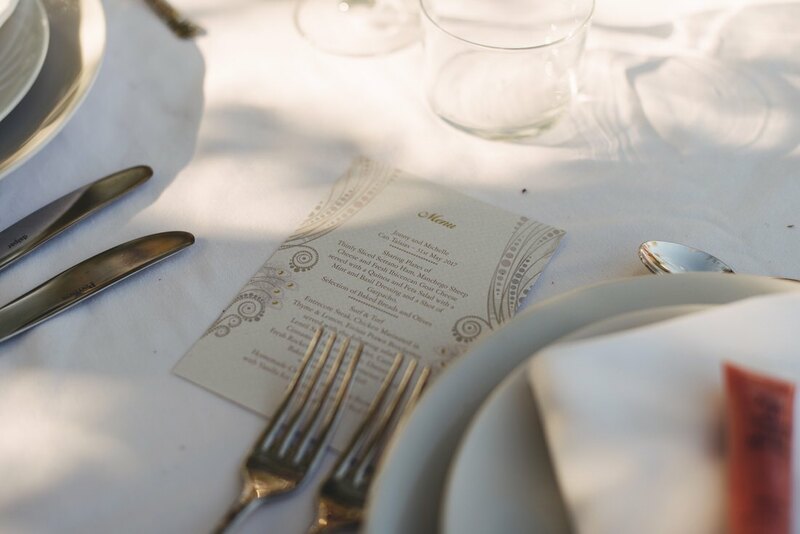 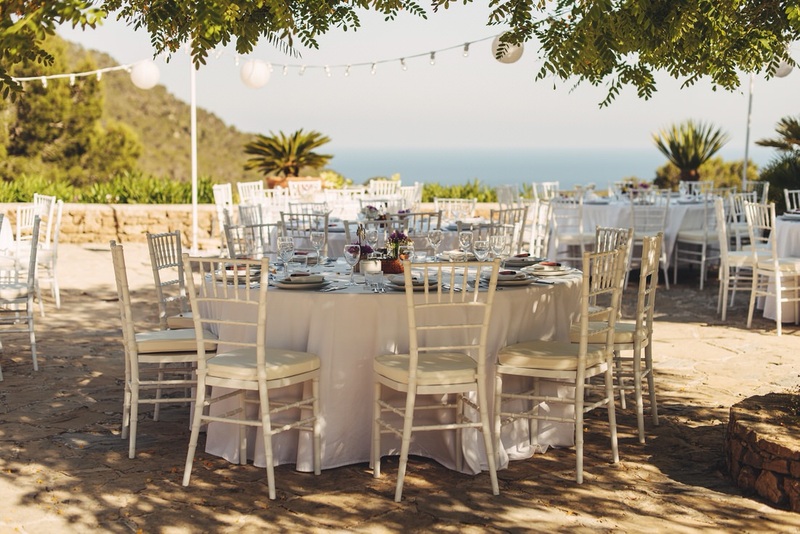 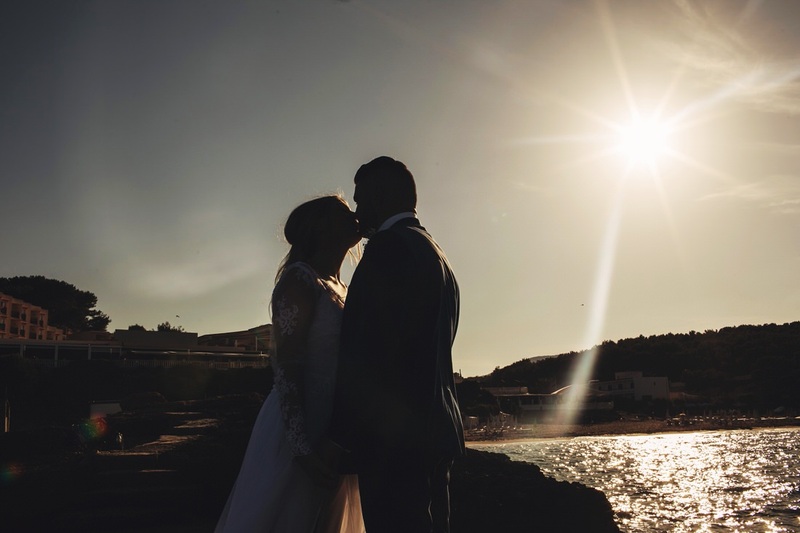 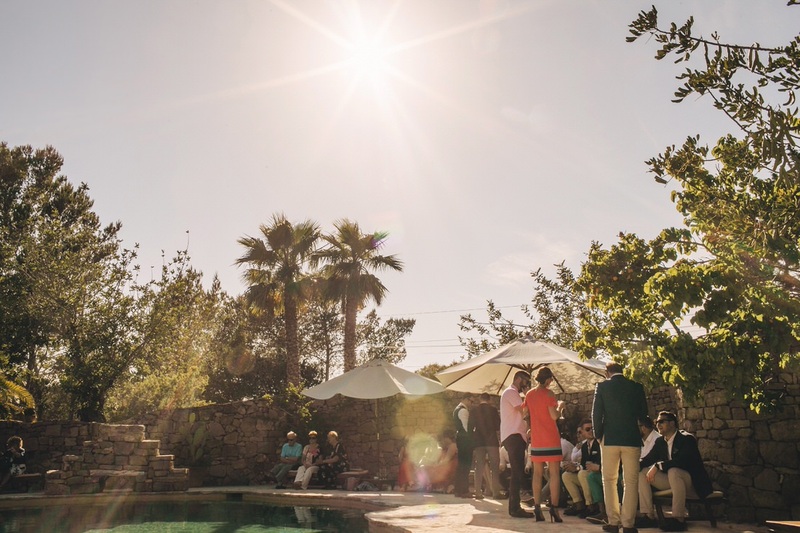 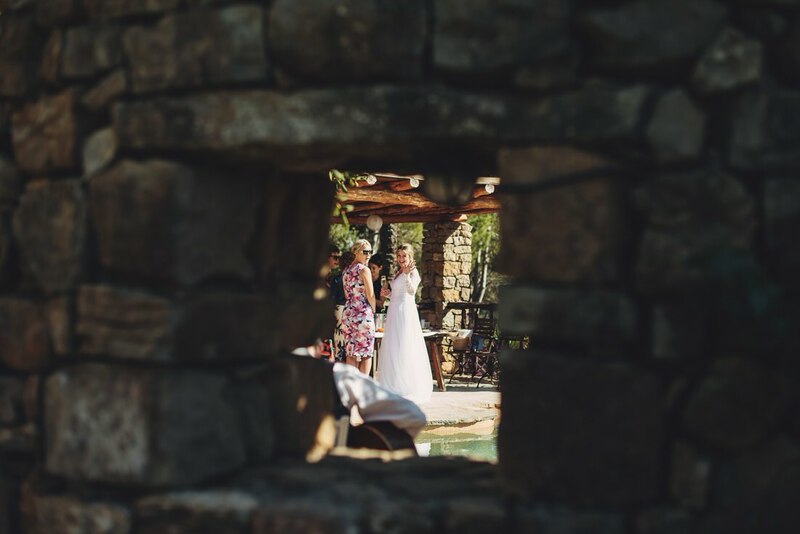 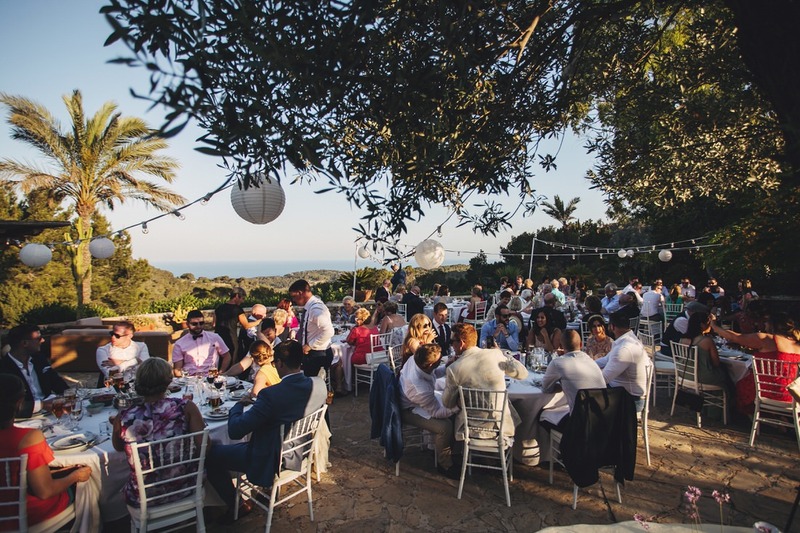 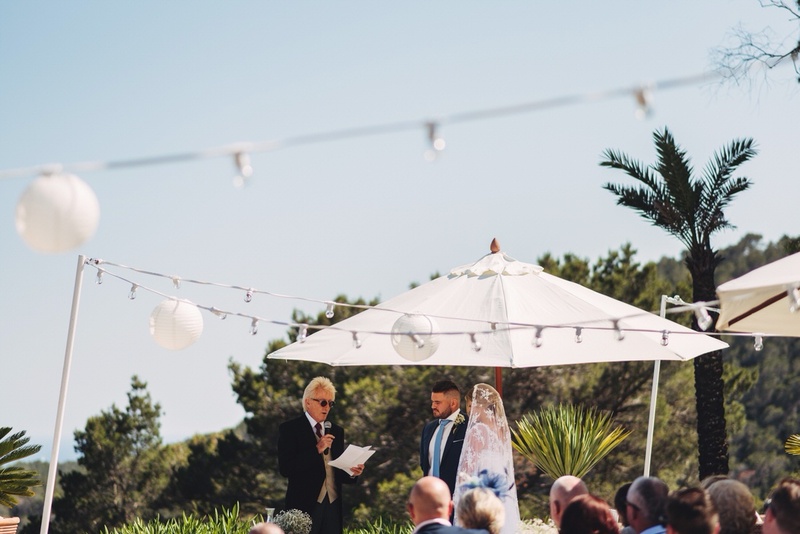 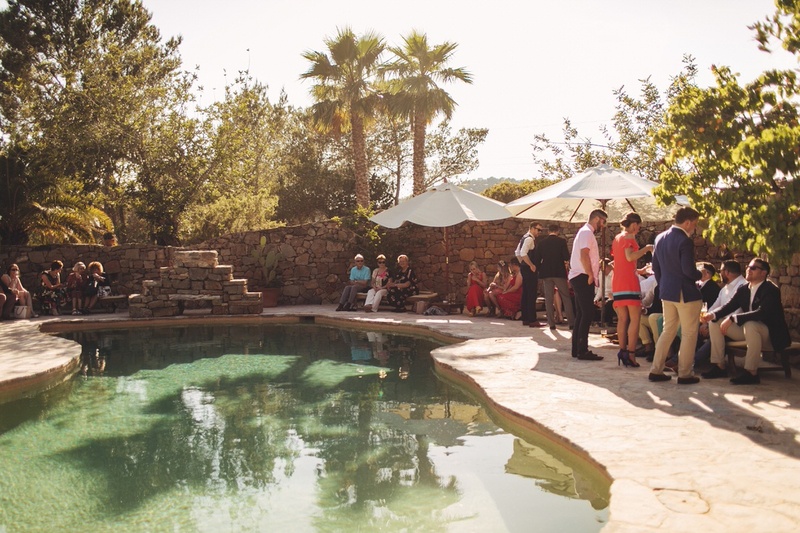 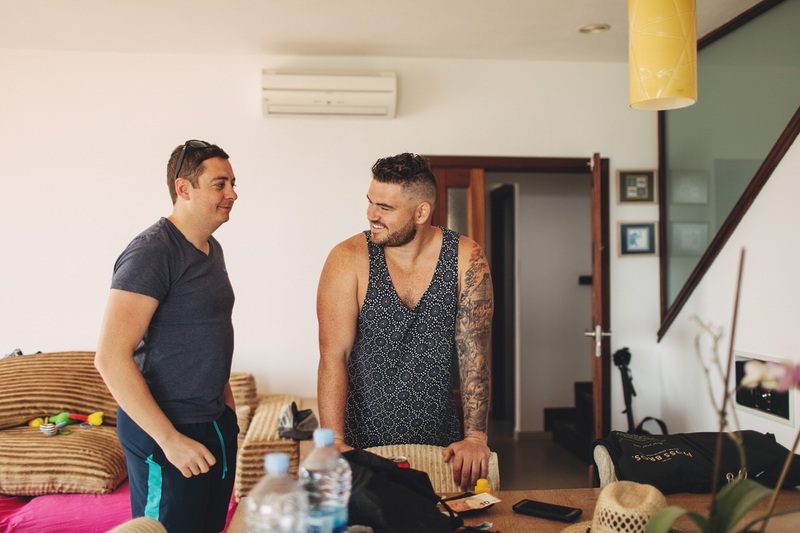 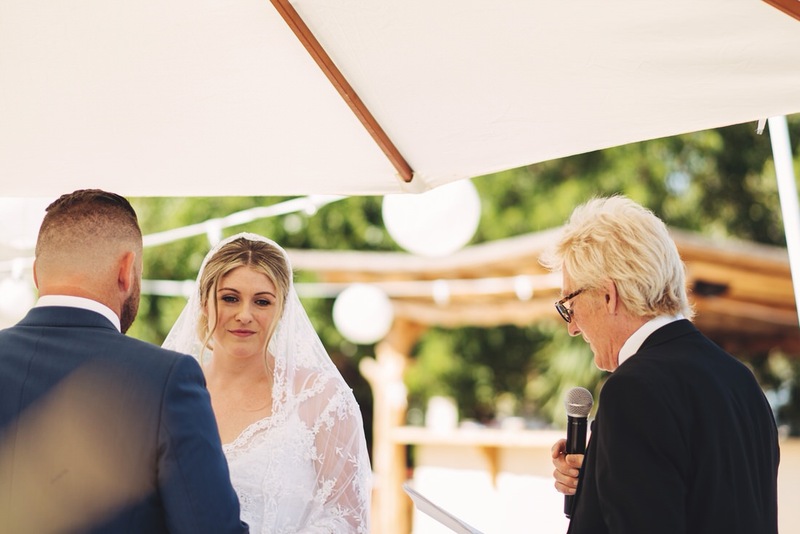 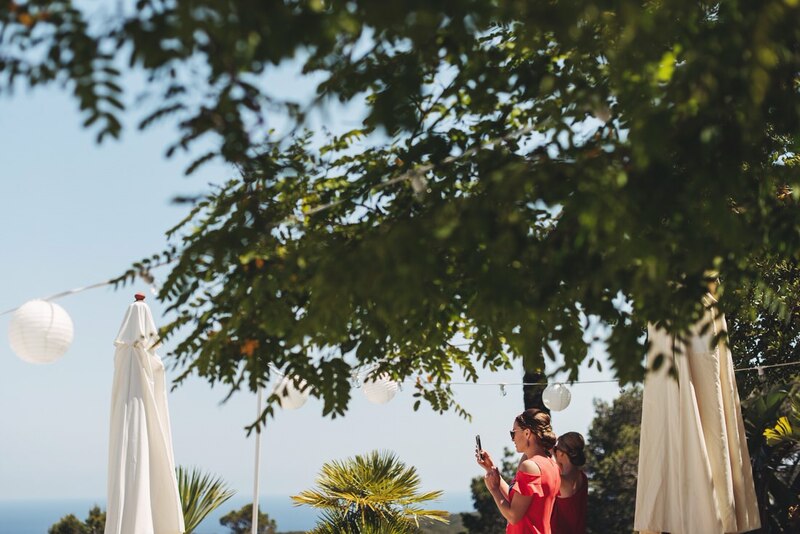 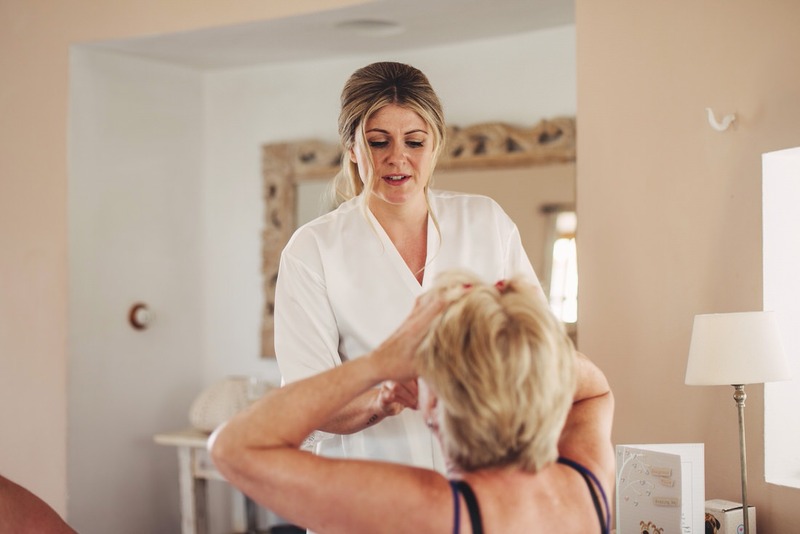 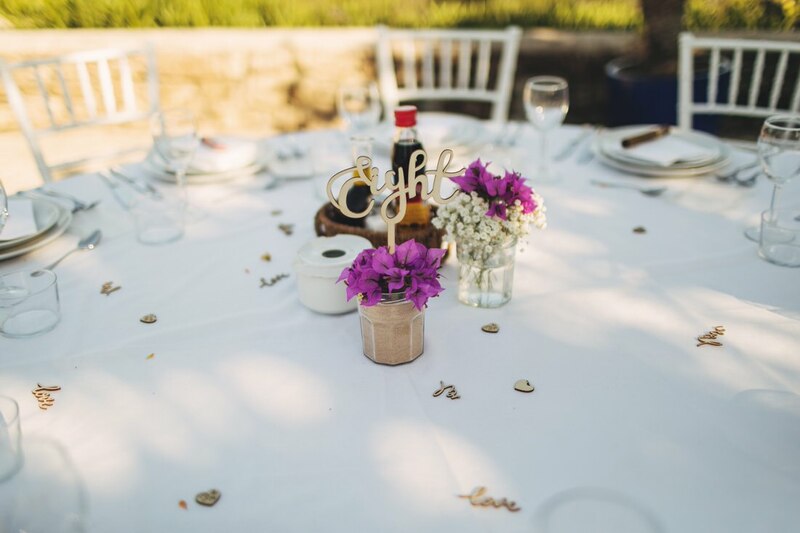 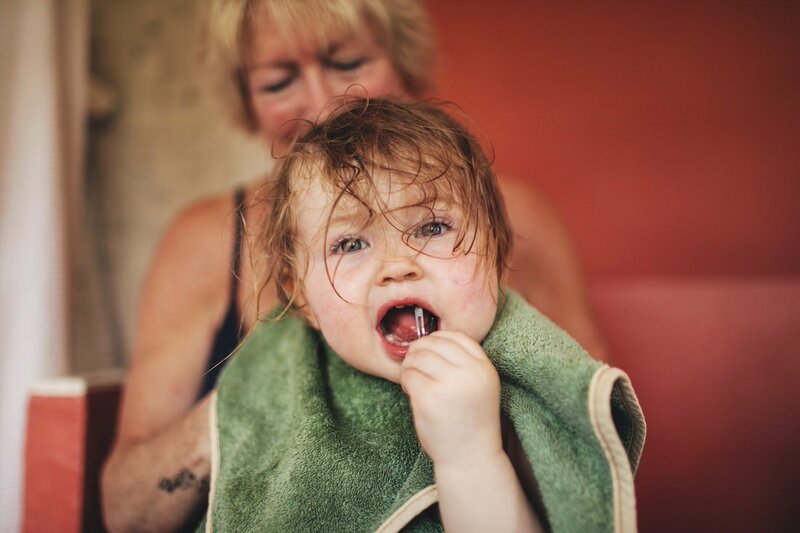 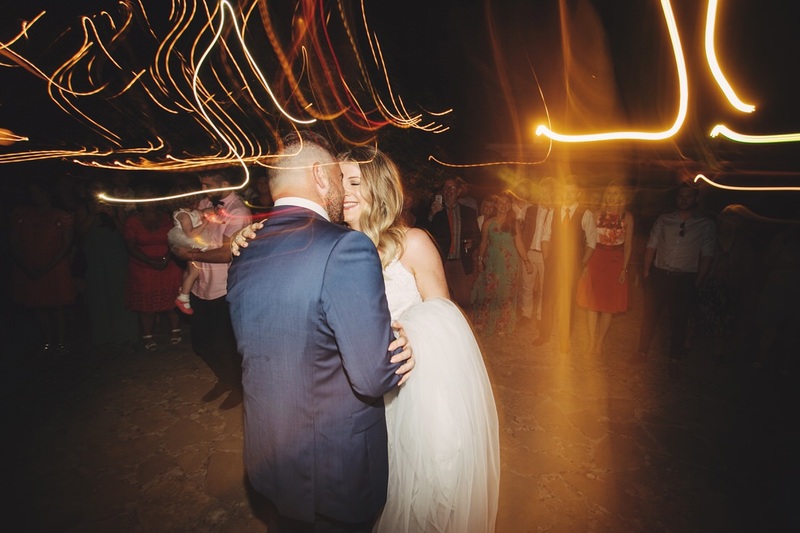 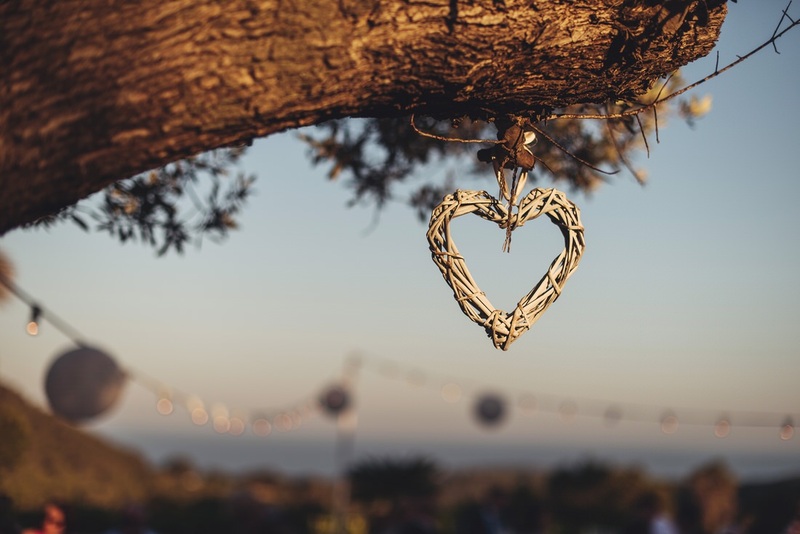 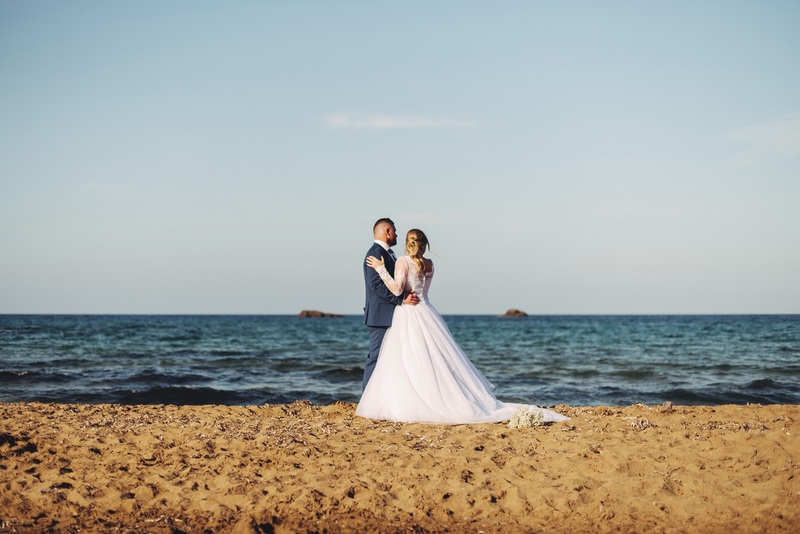 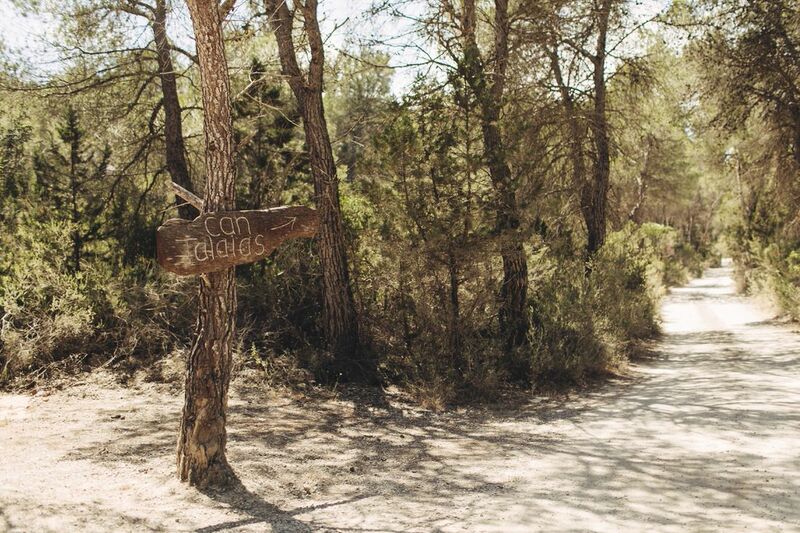 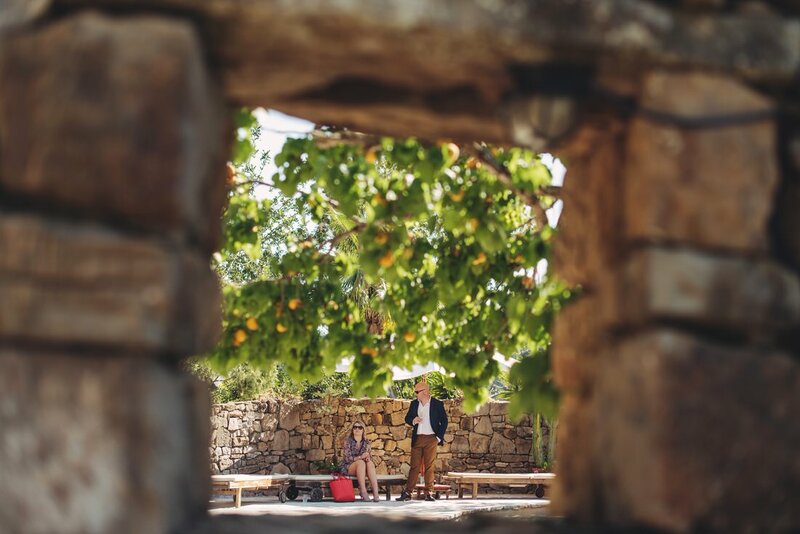 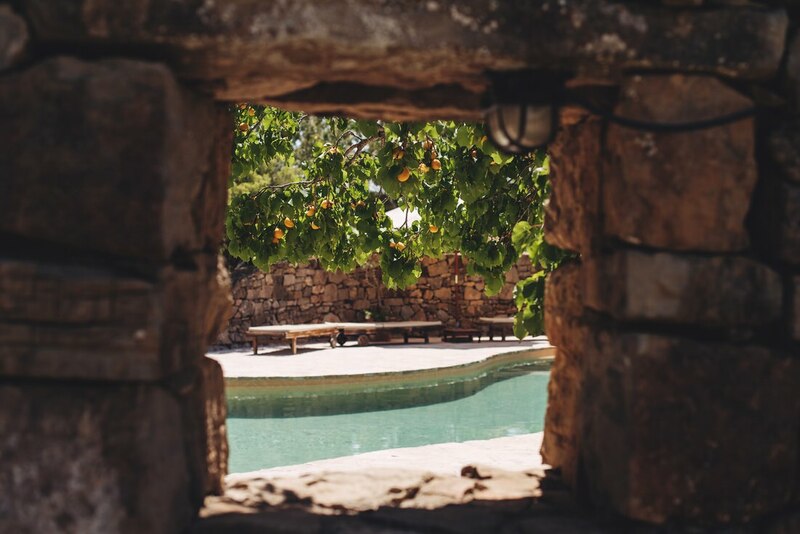 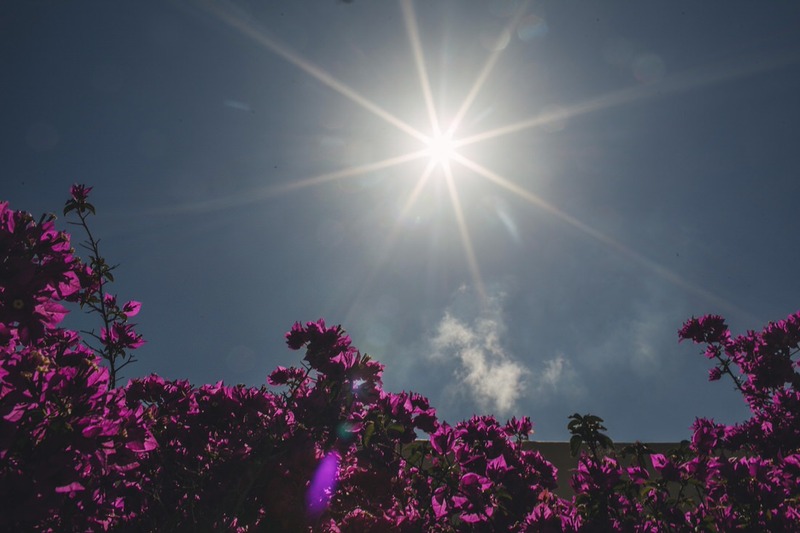 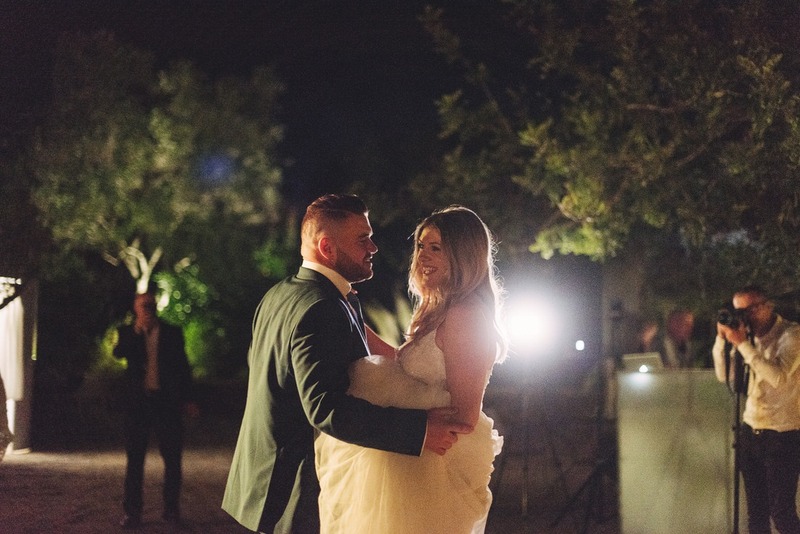 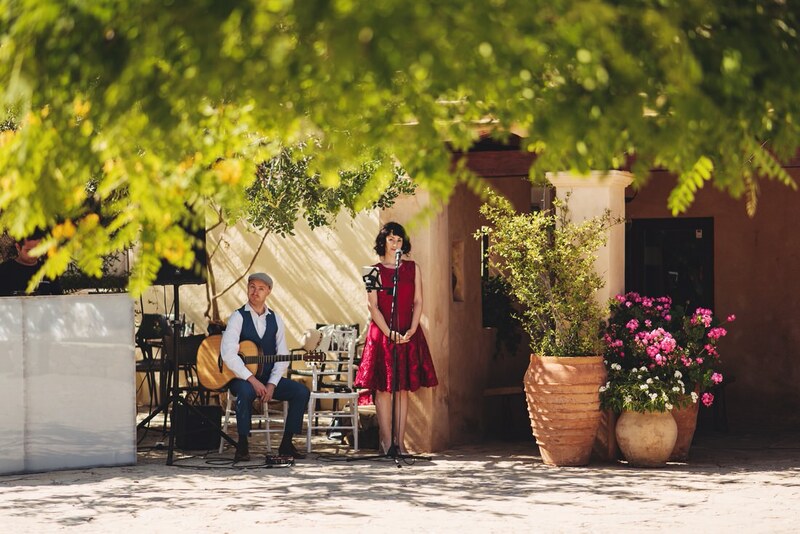 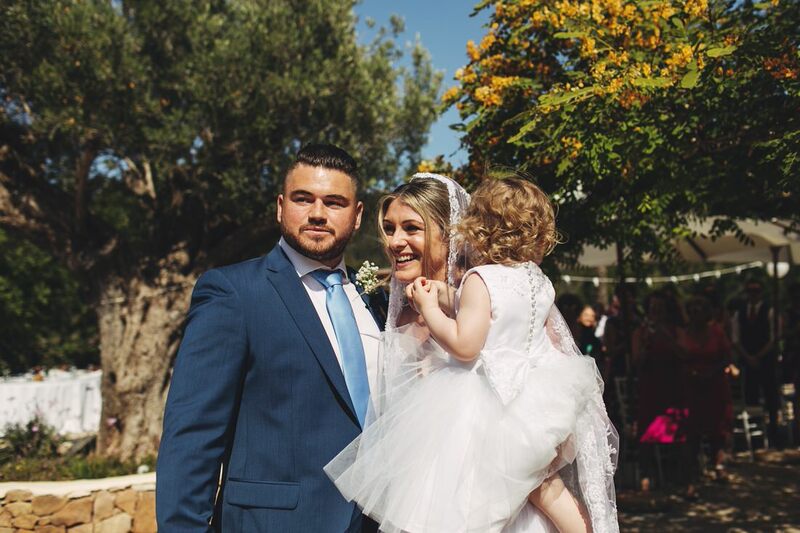 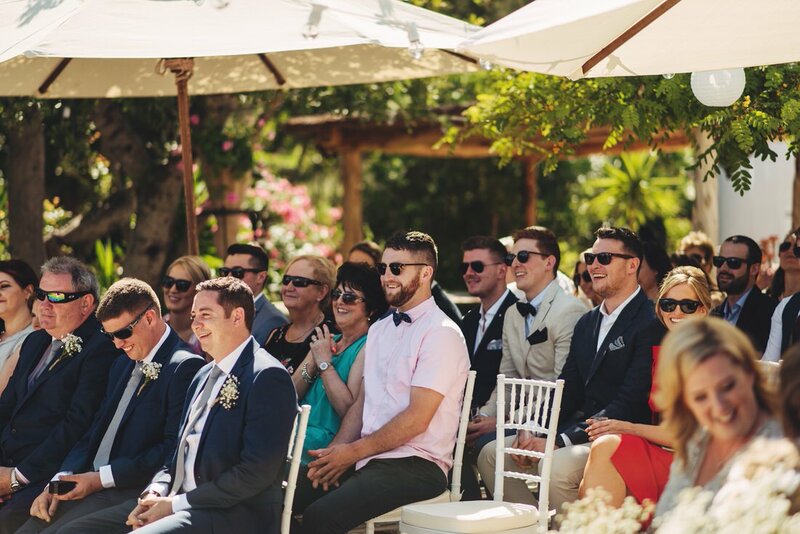 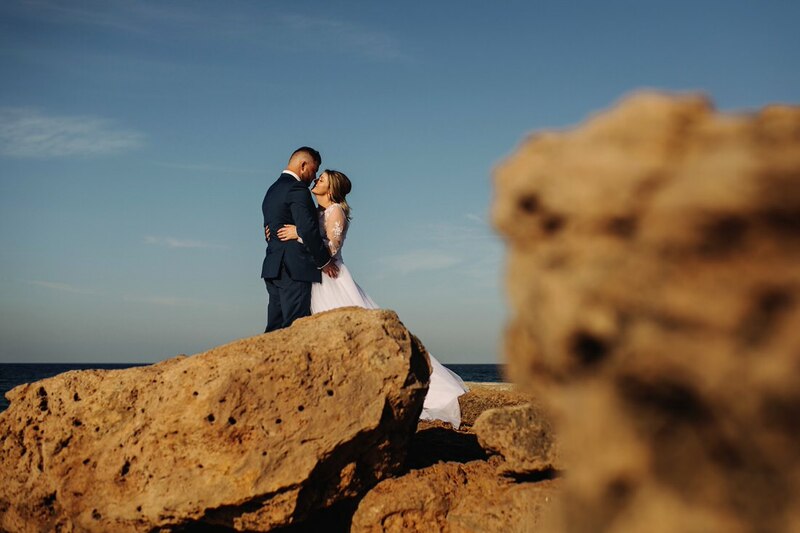 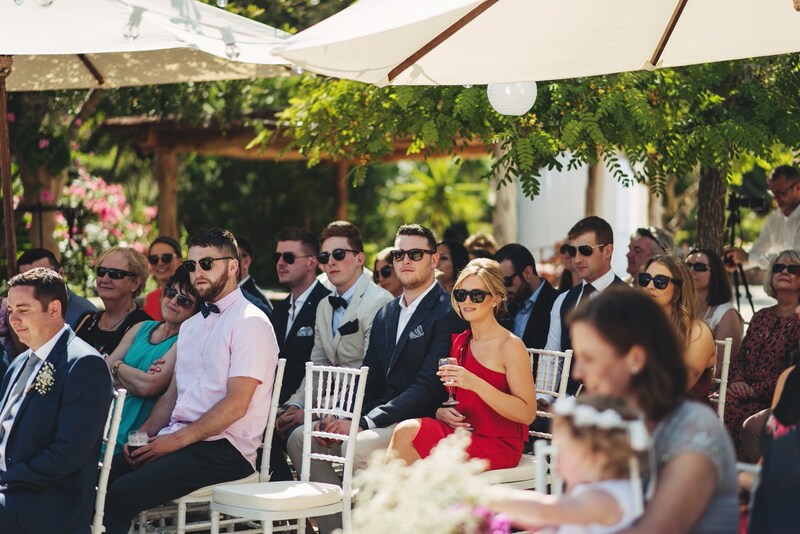 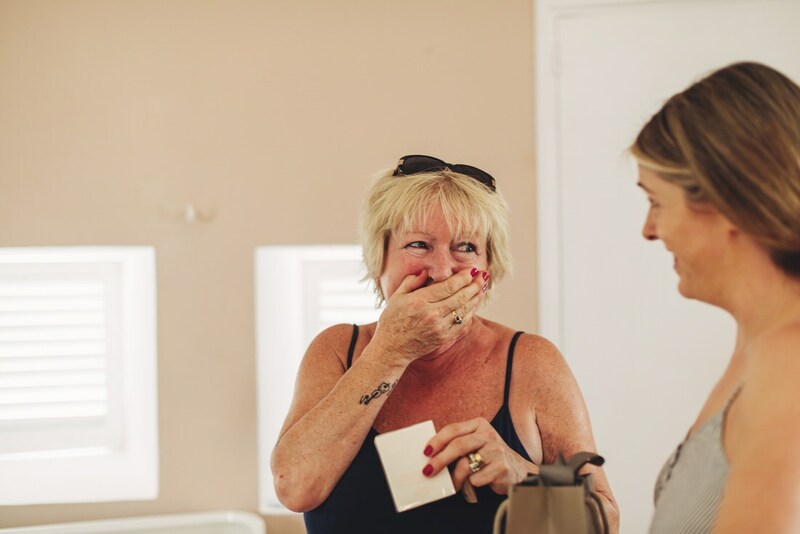 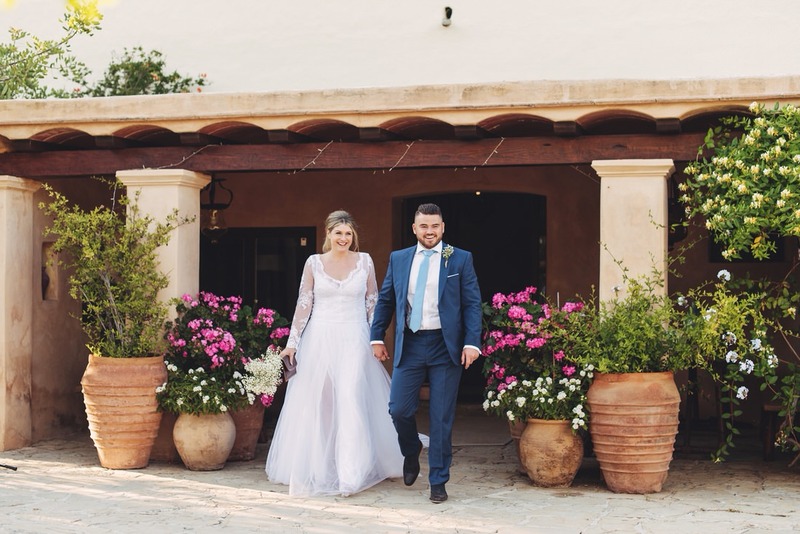 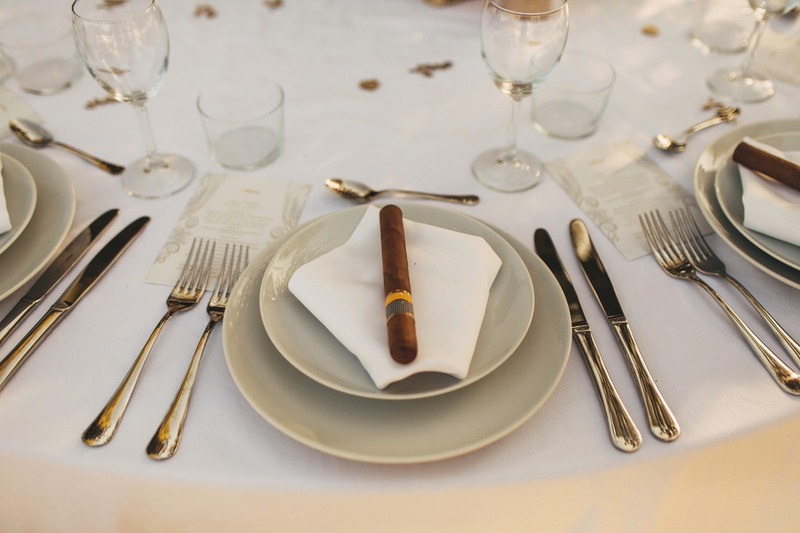 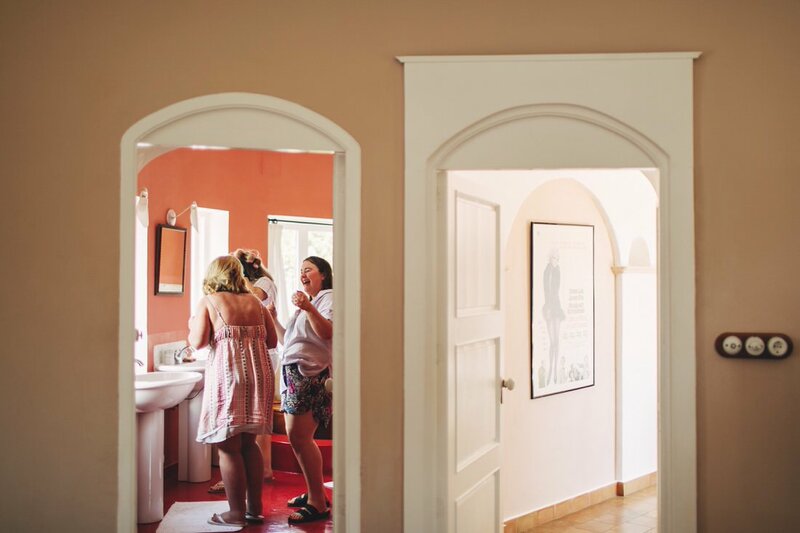 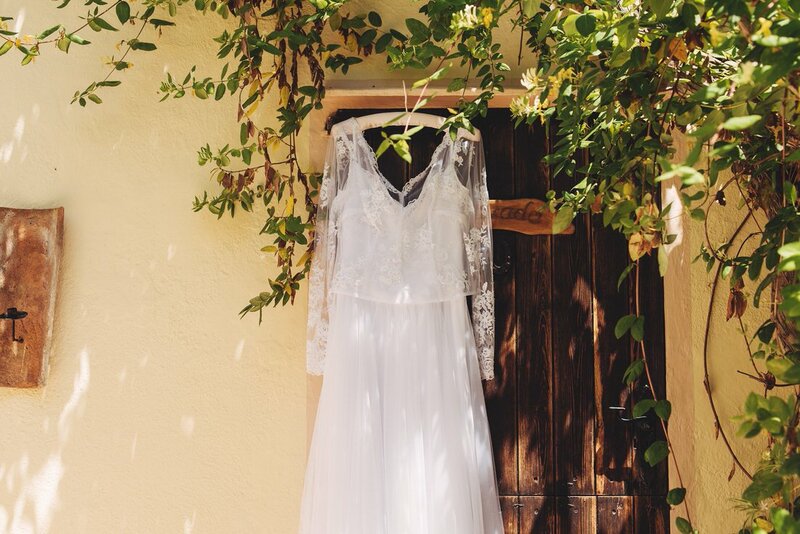 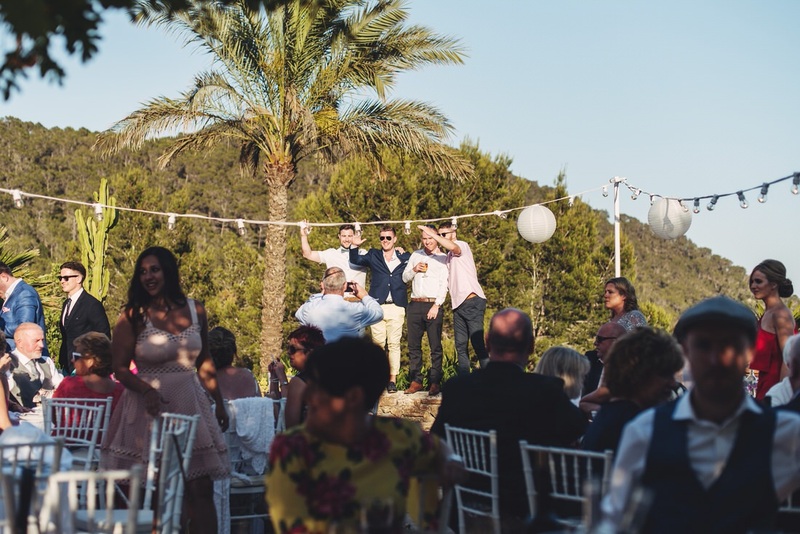 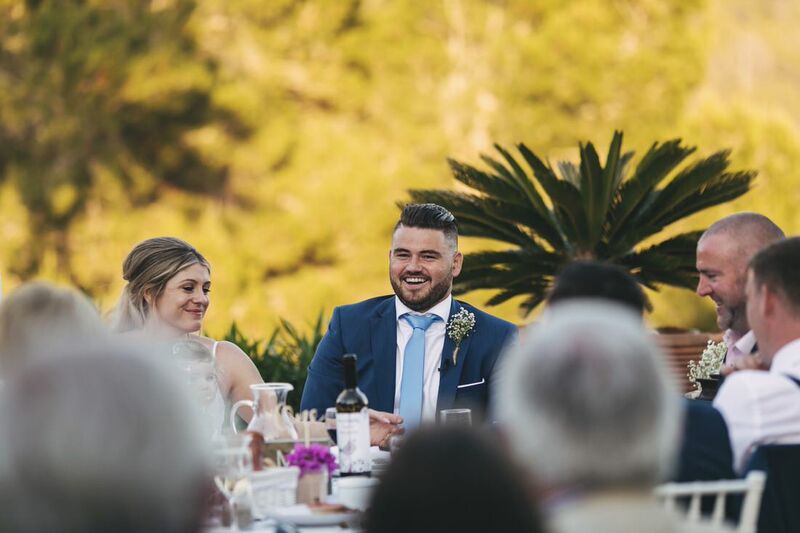 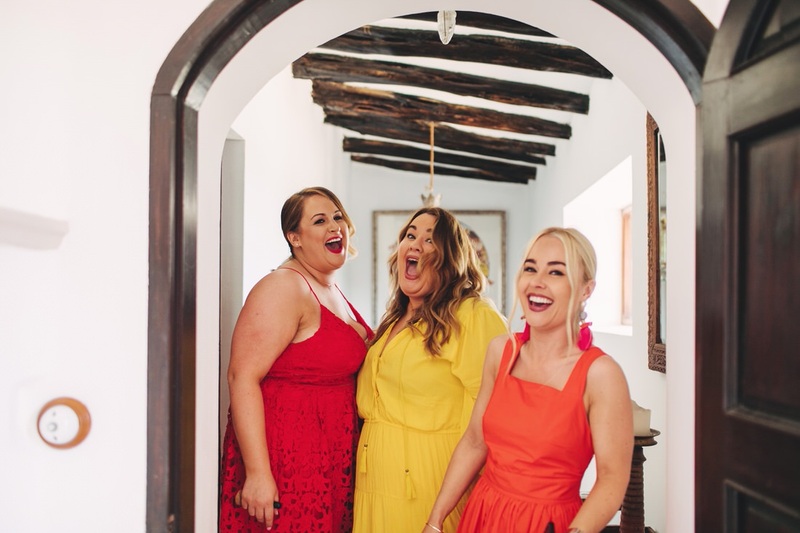 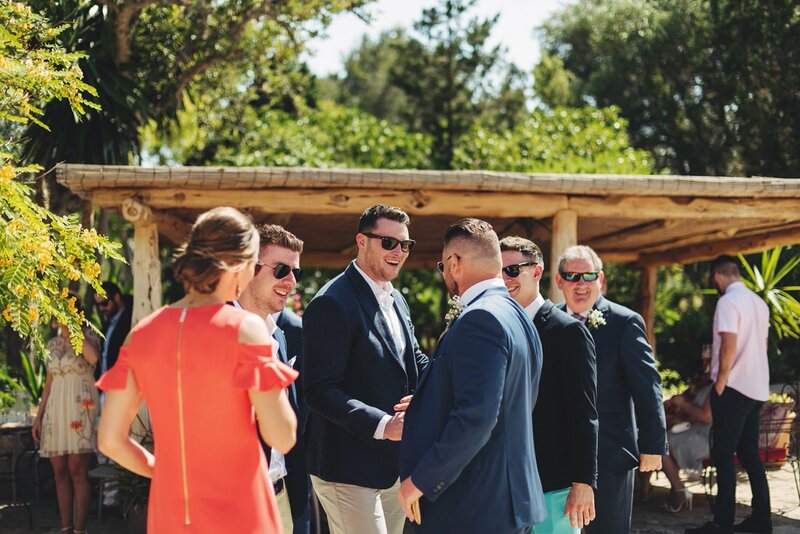 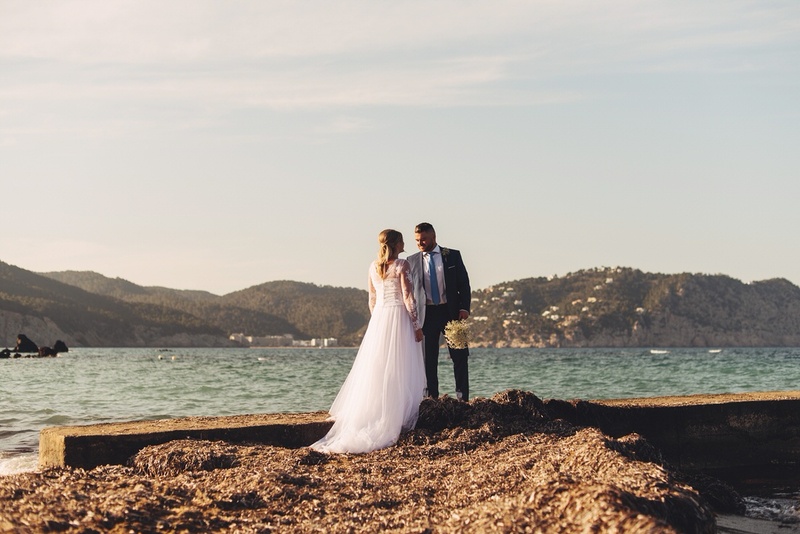 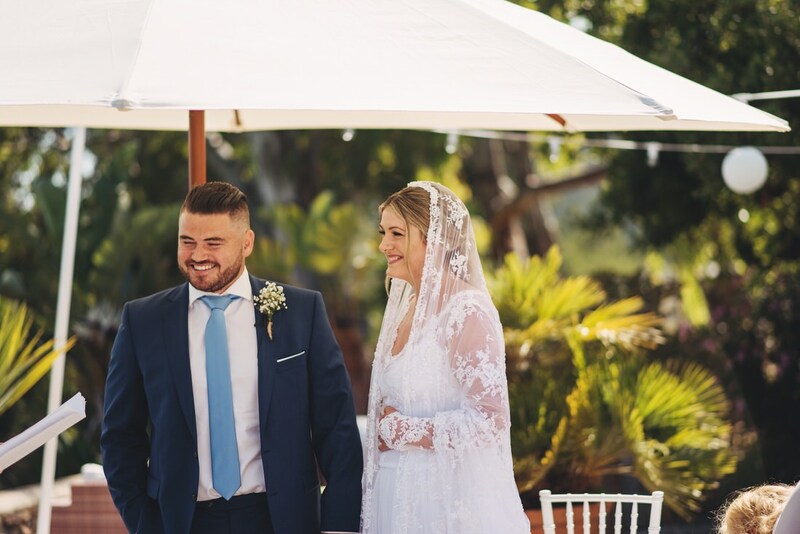 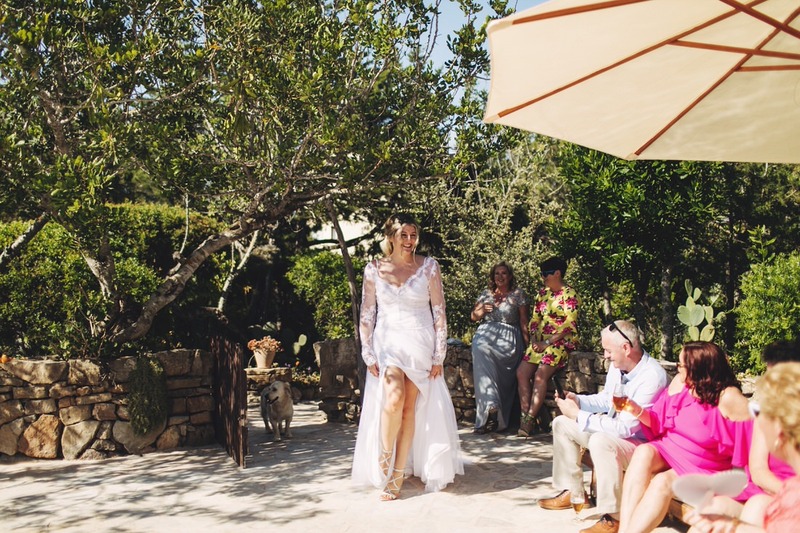 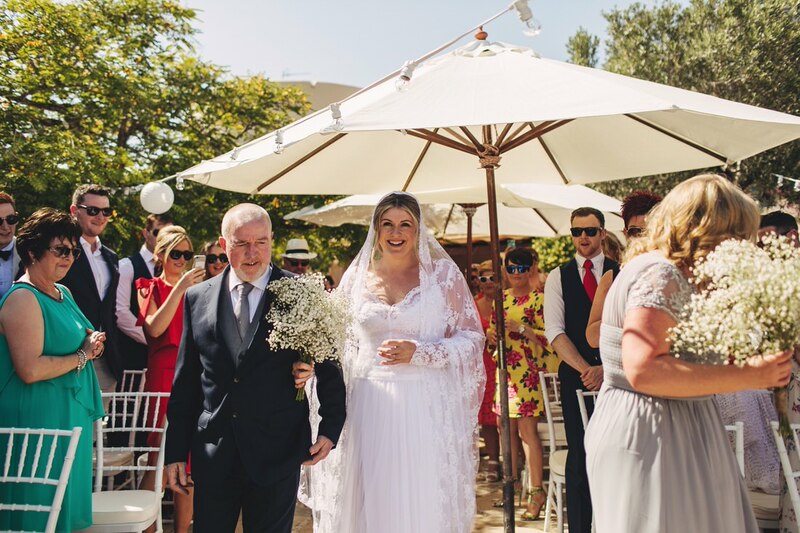 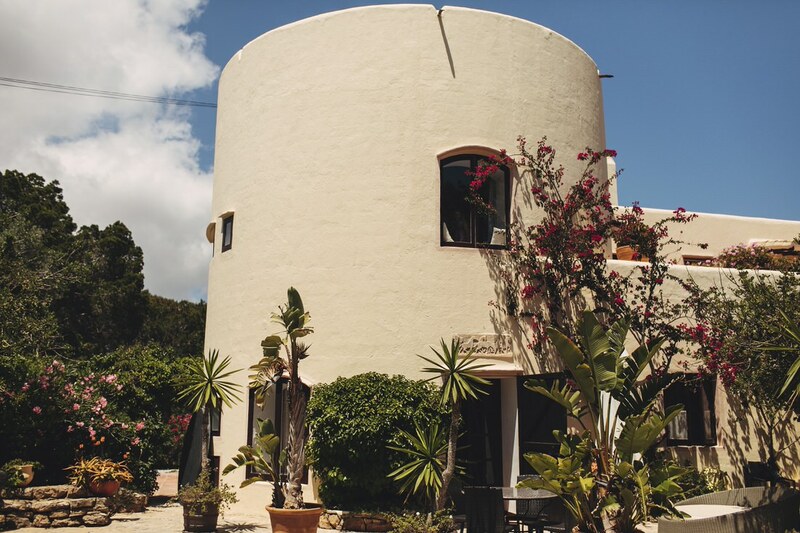 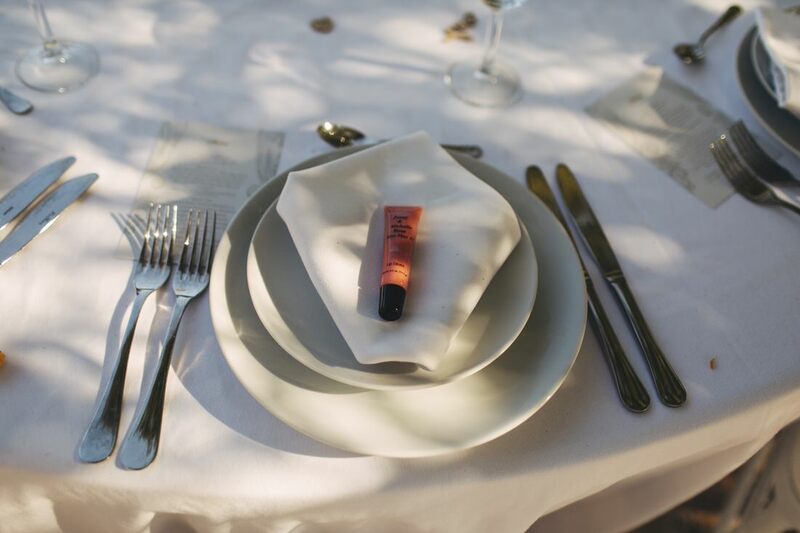 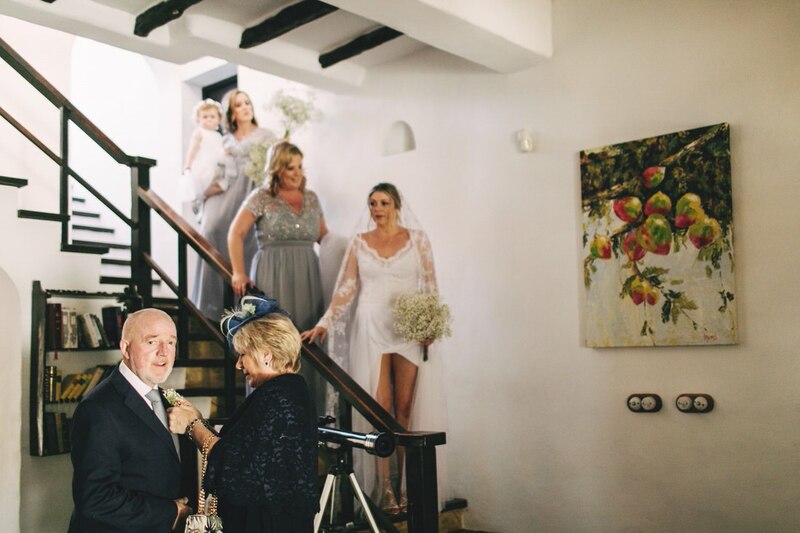 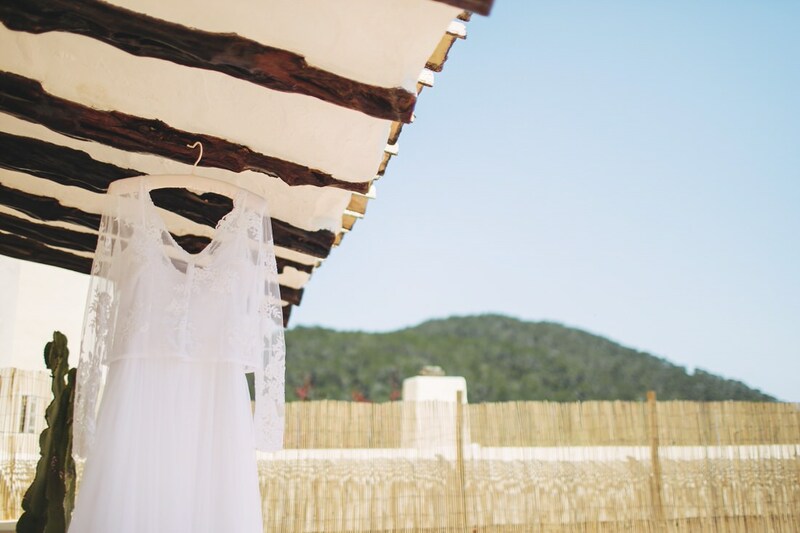 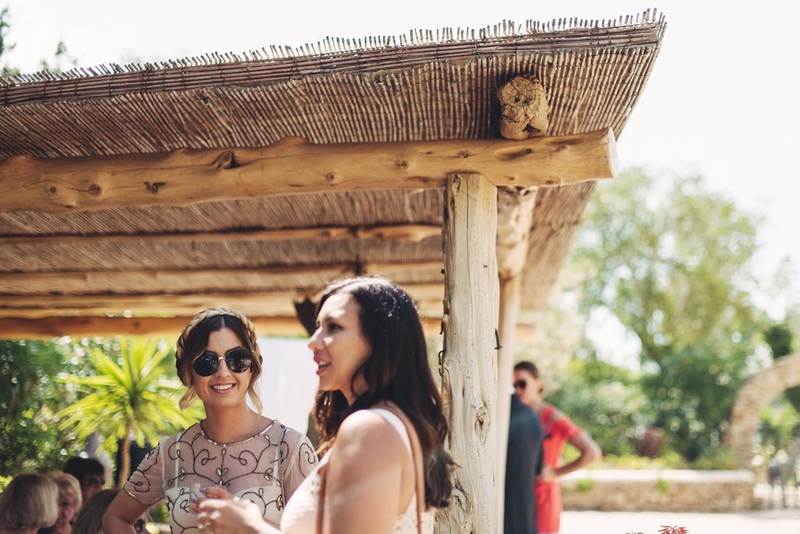 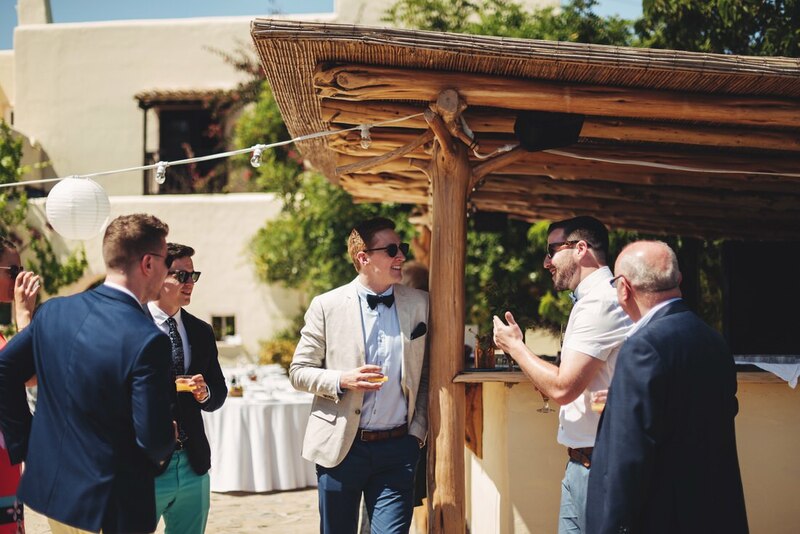 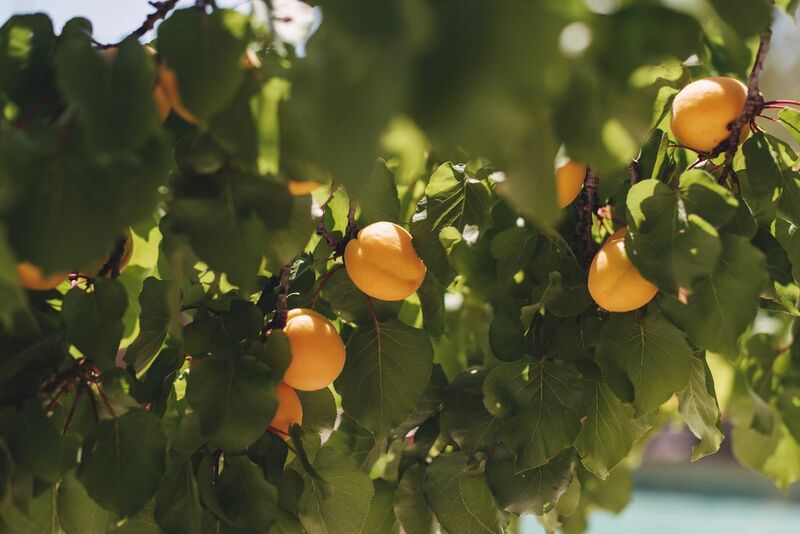 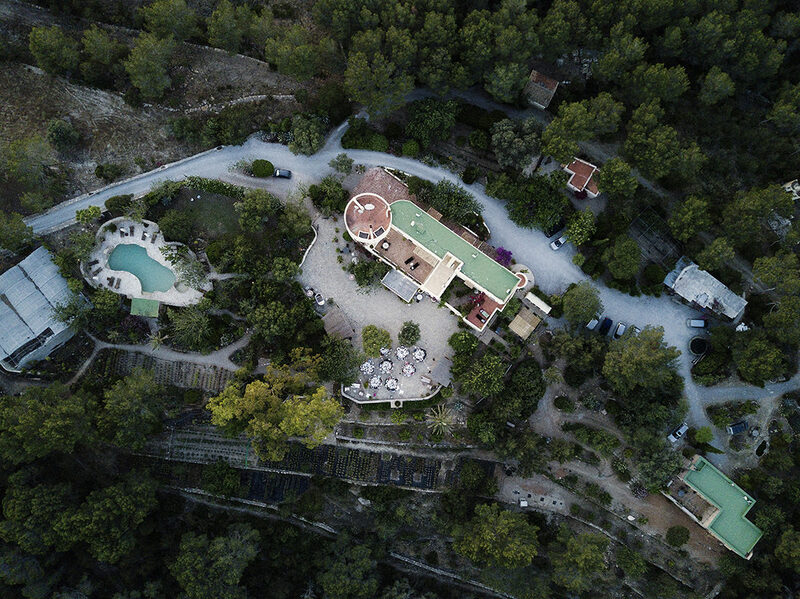 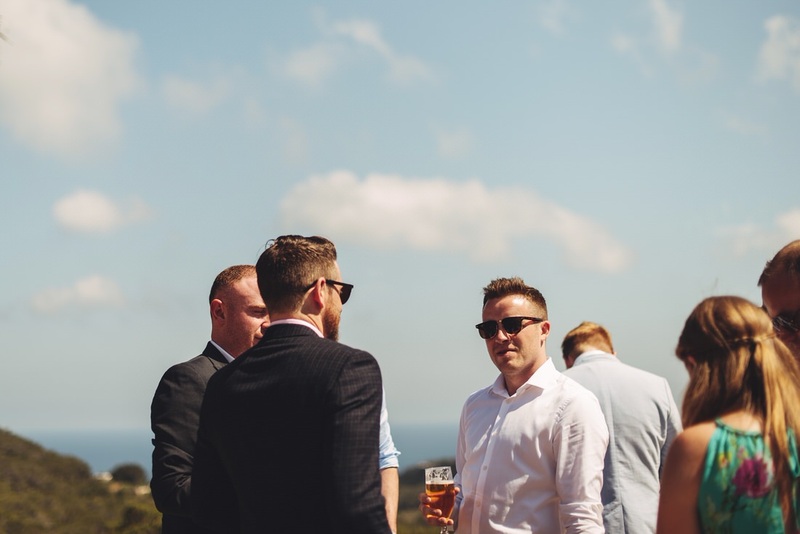 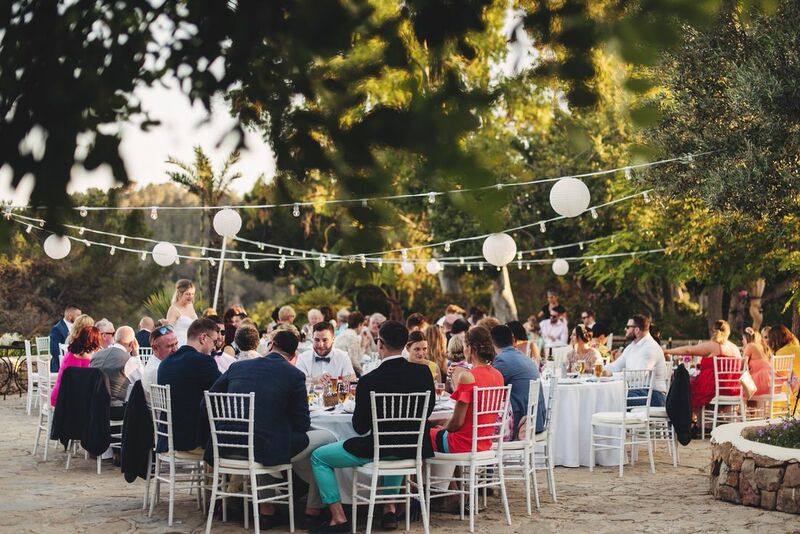 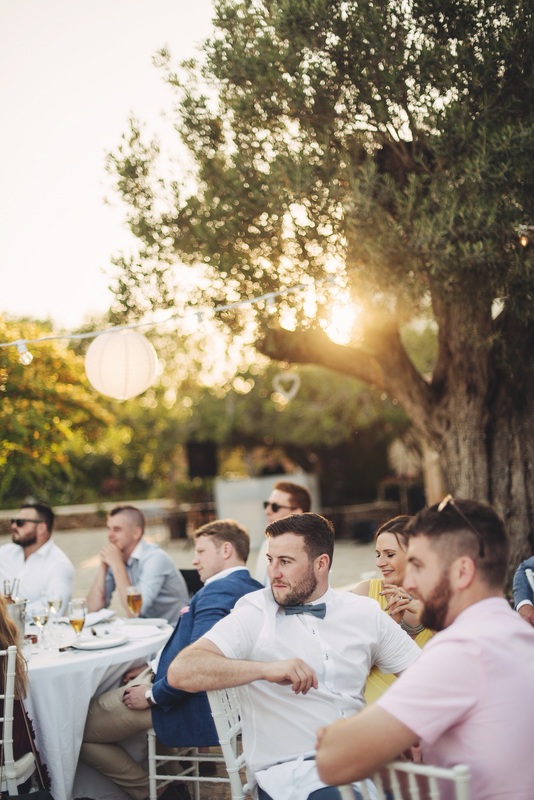 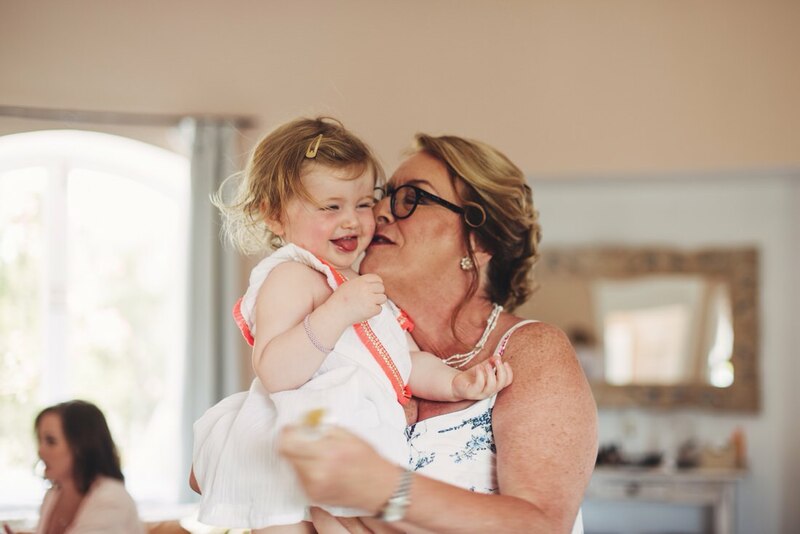 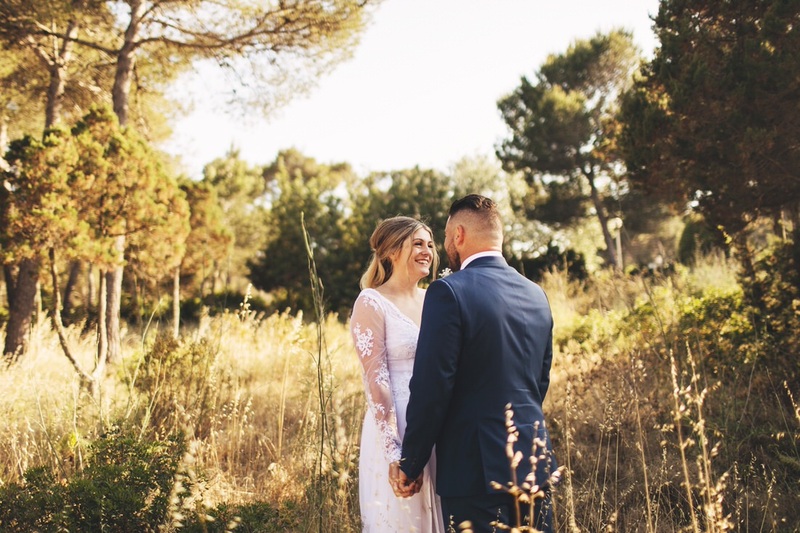 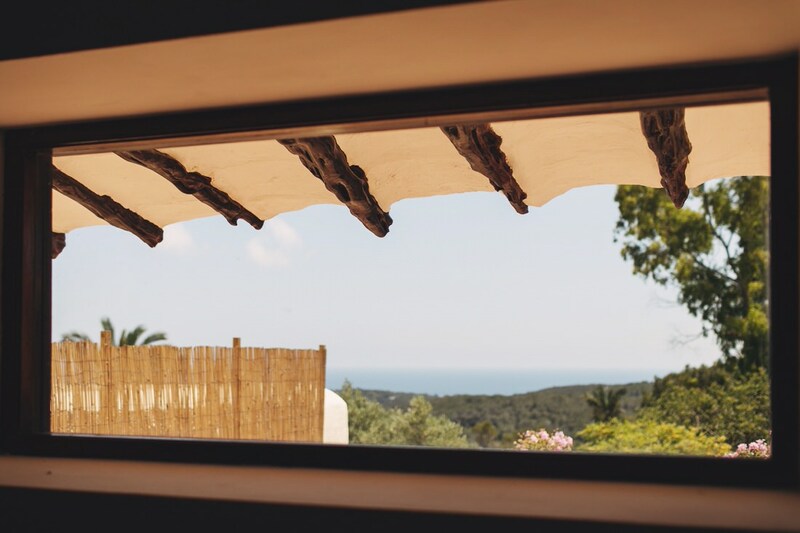 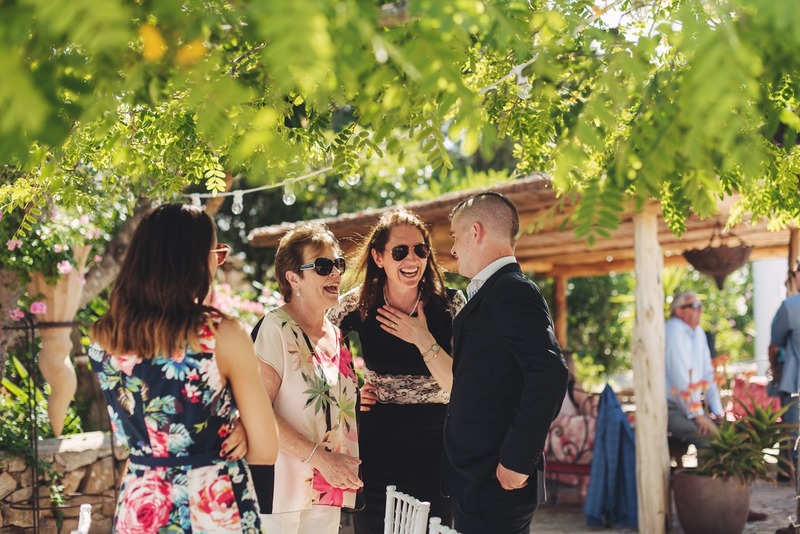 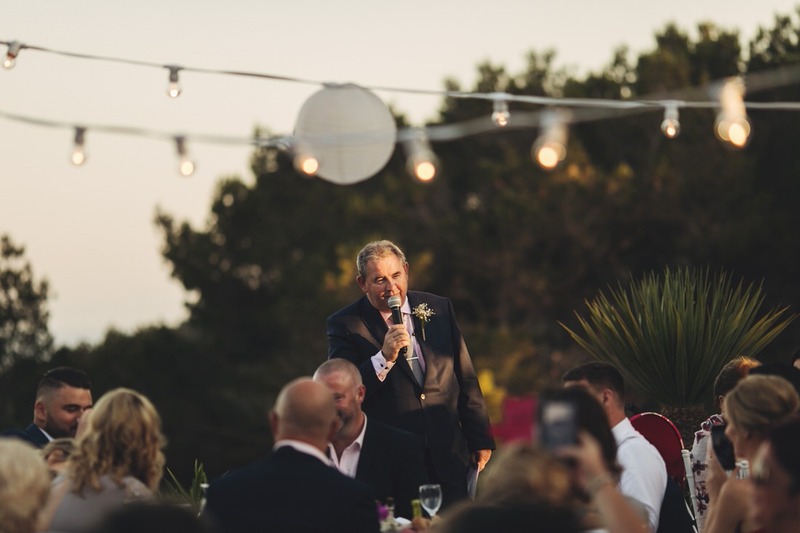 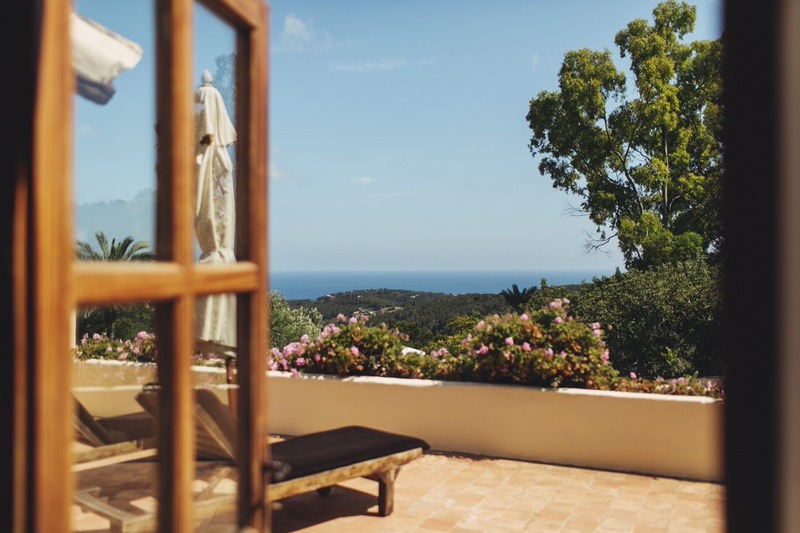 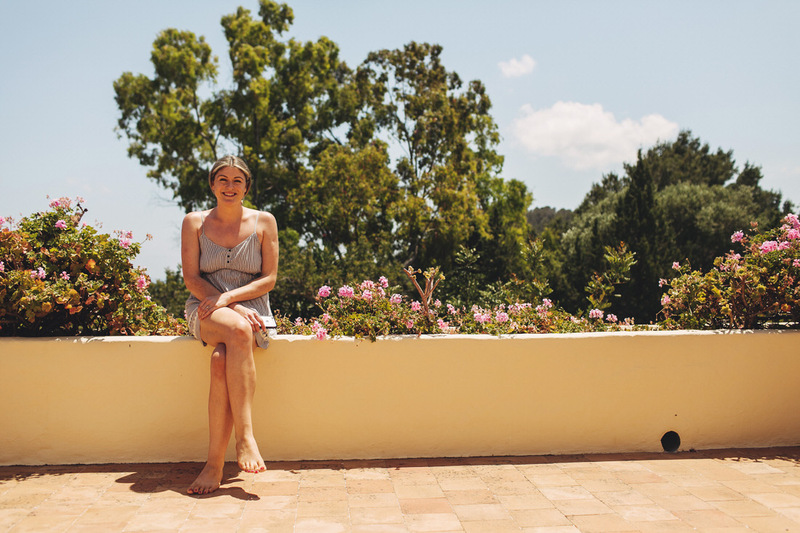 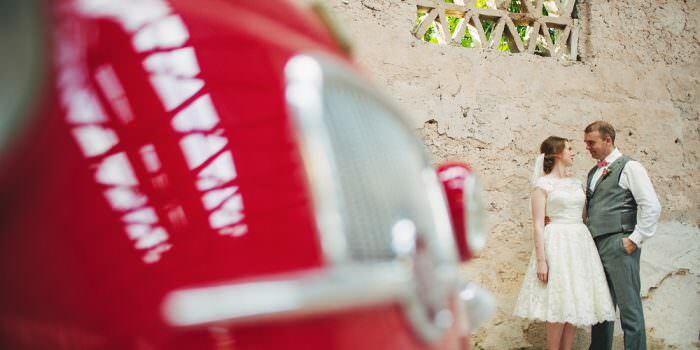 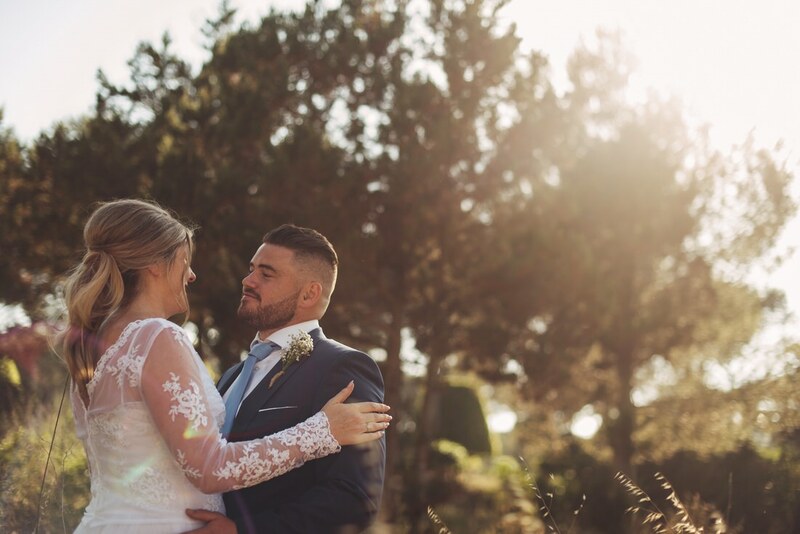 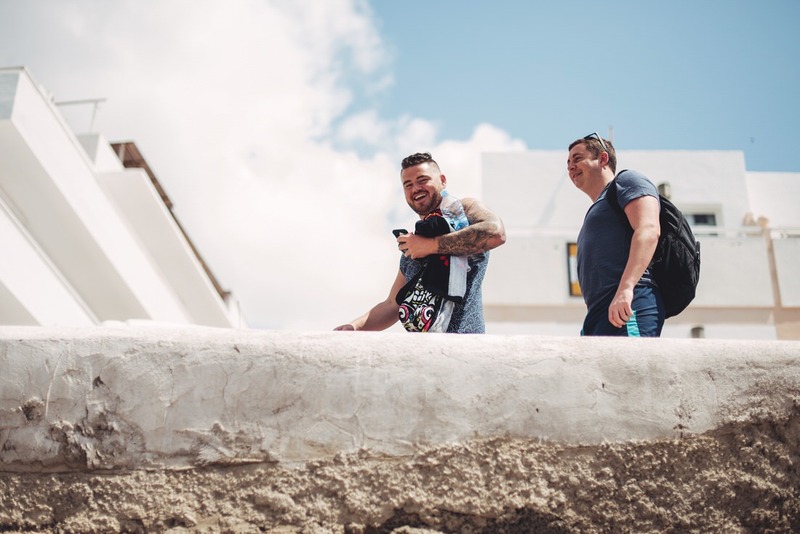 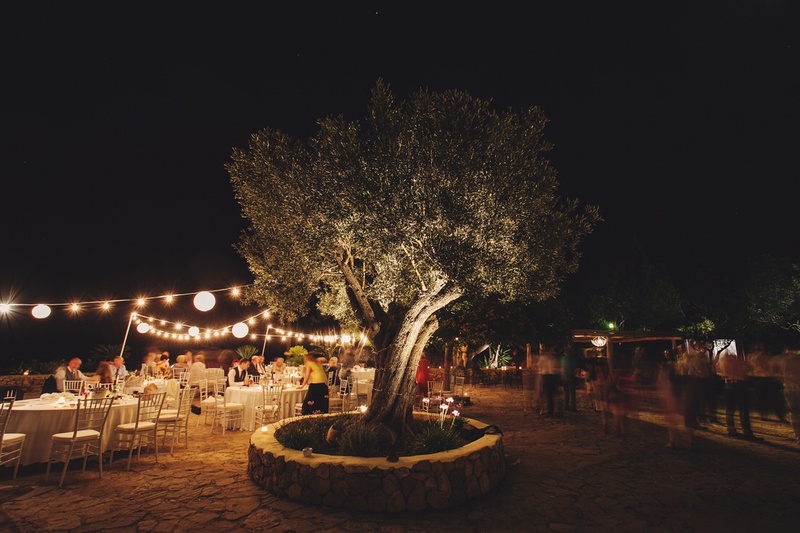 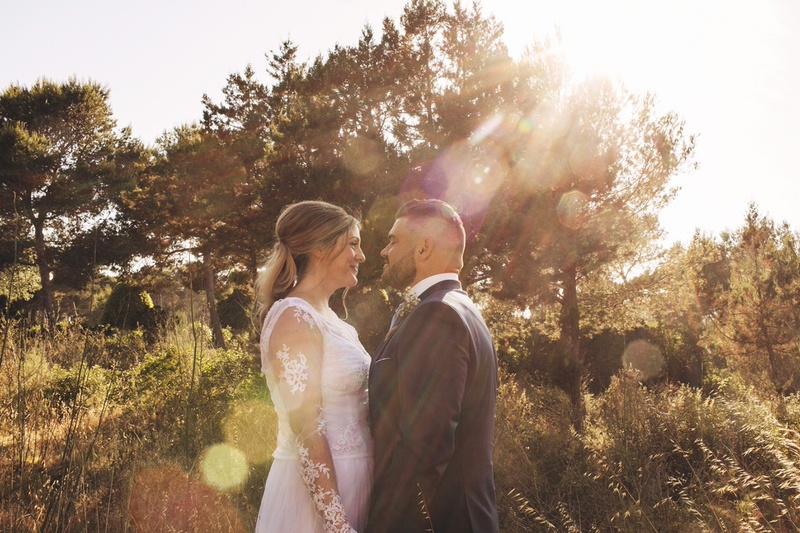 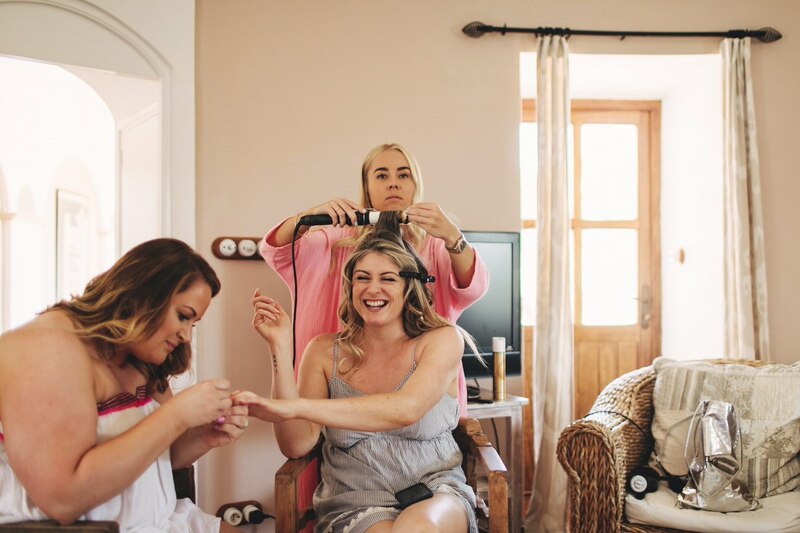 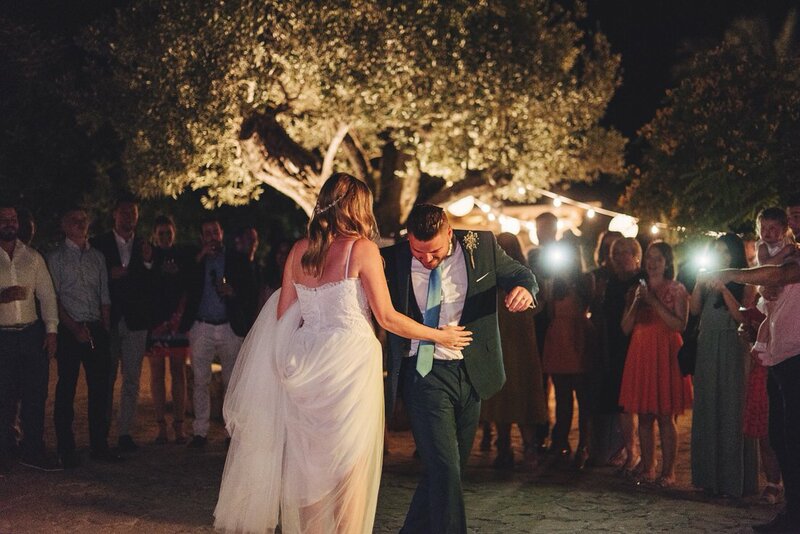 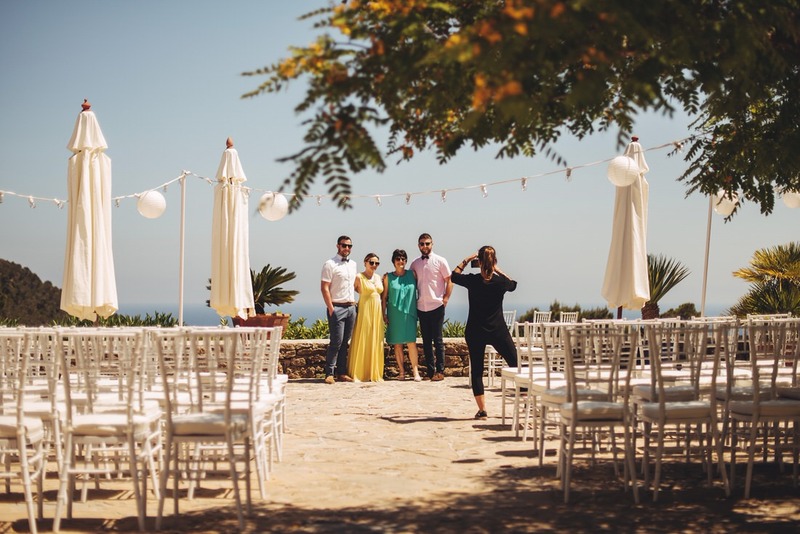 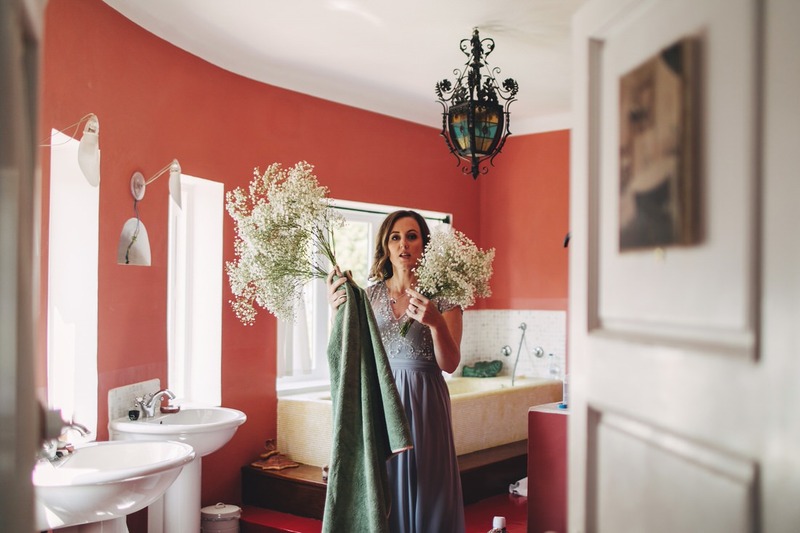 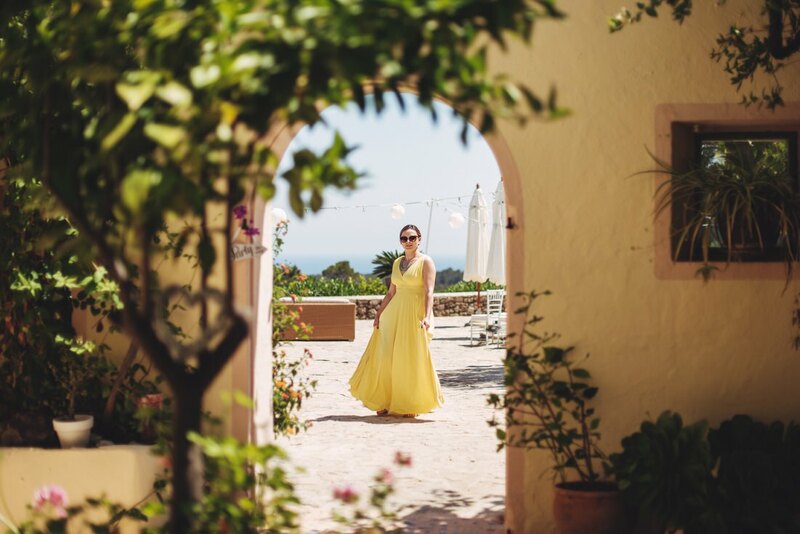 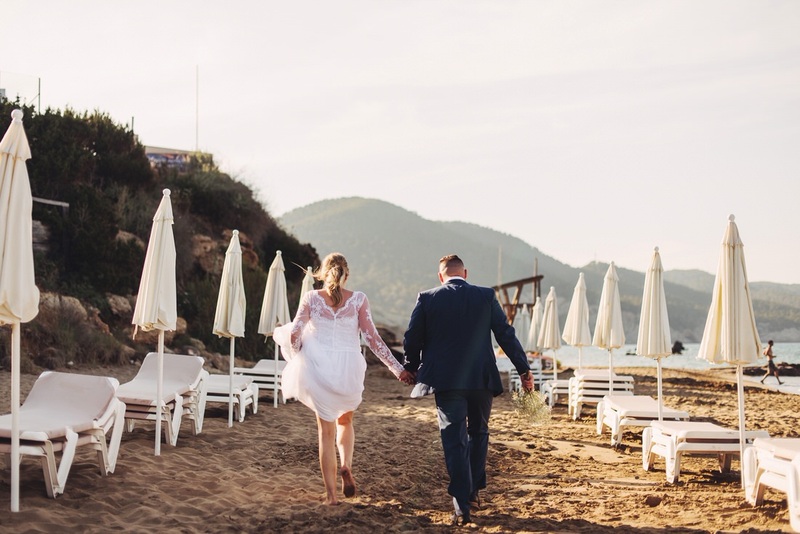 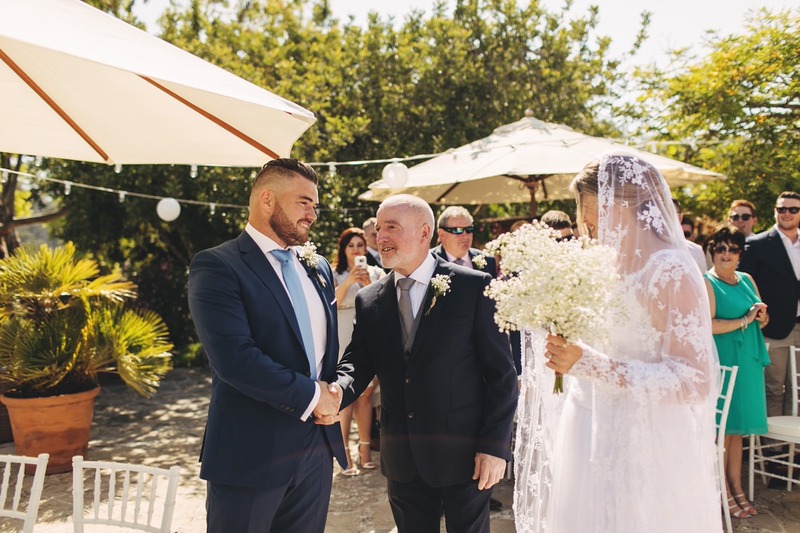 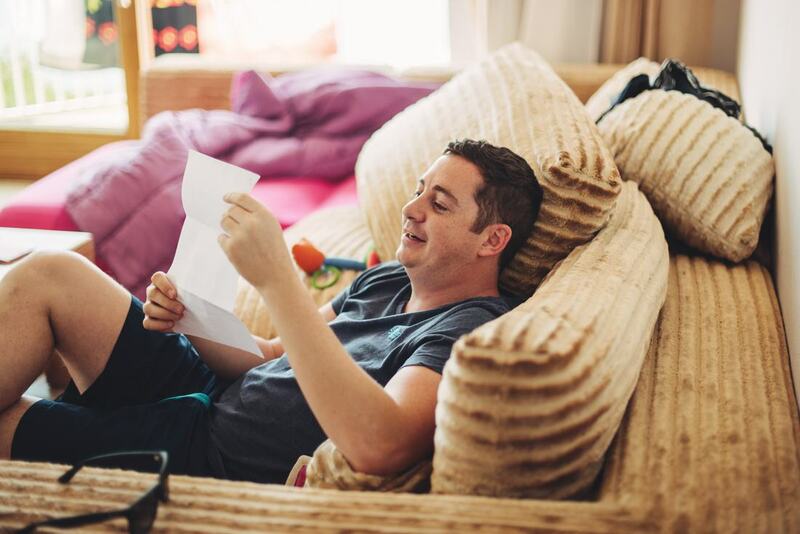 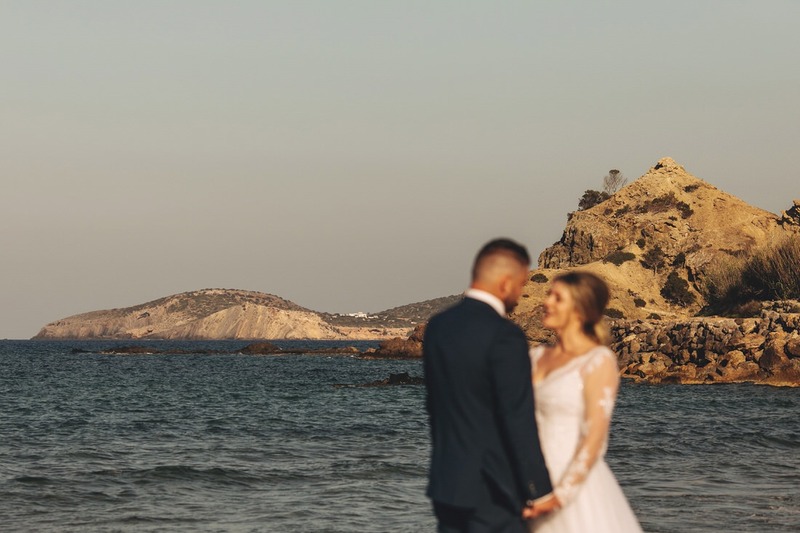 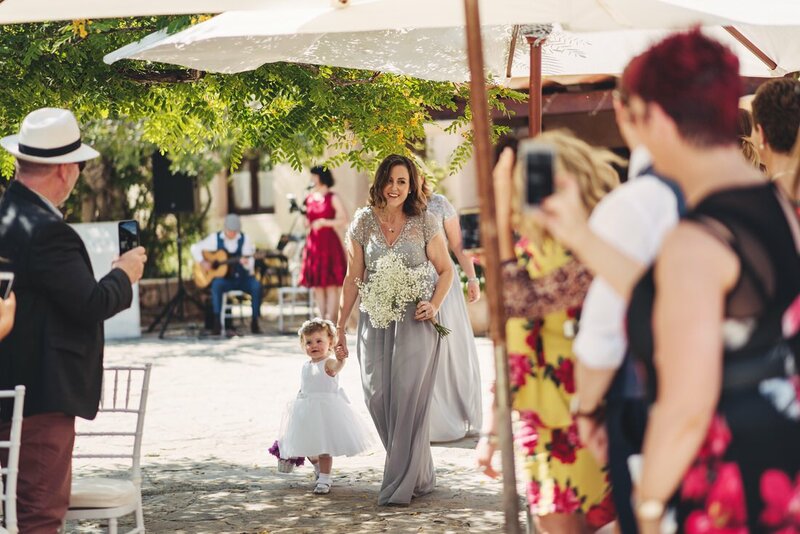 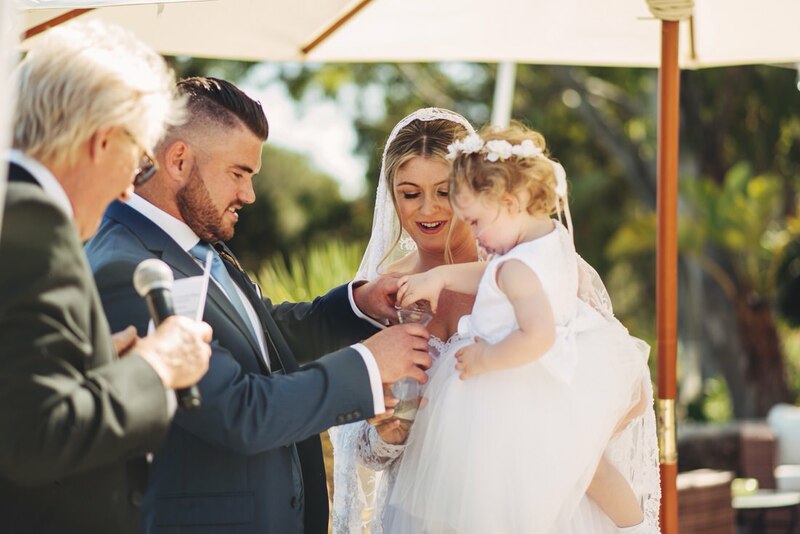 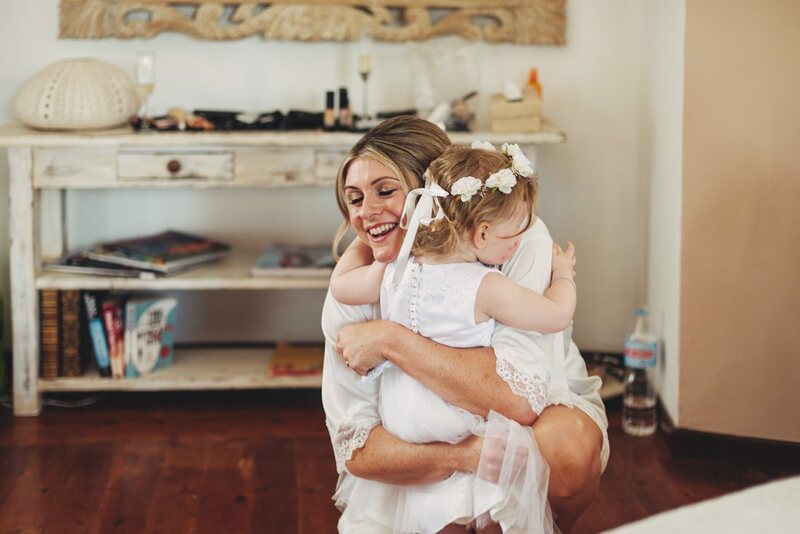 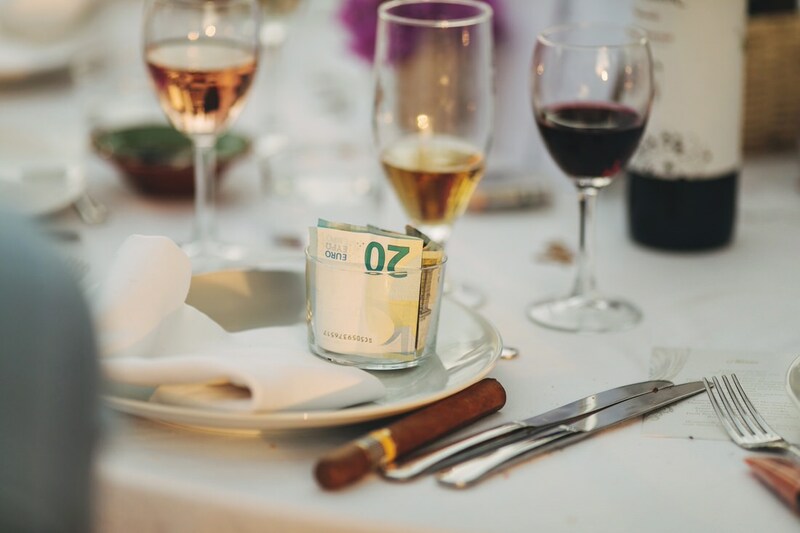 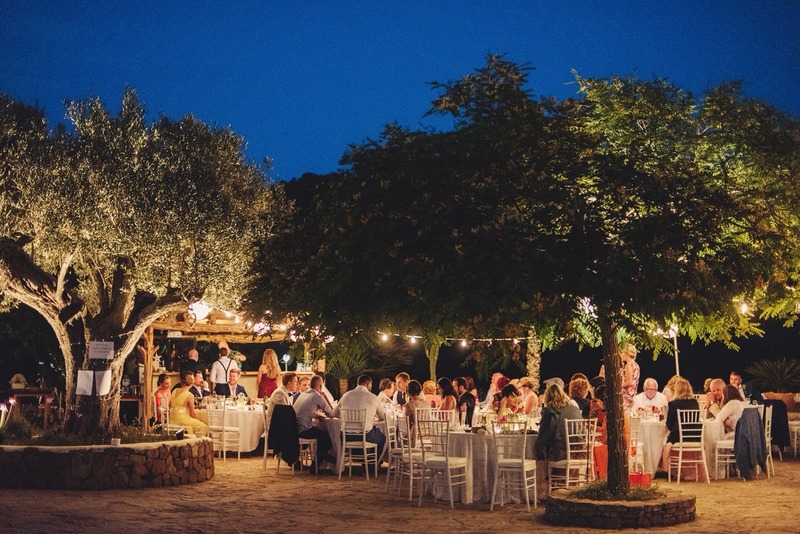 Michelle and Jonny have a real true love of Ibiza and knew once they found Can Talais, a beautiful villa hidden on the quiet east side of the island, they had to get married there. 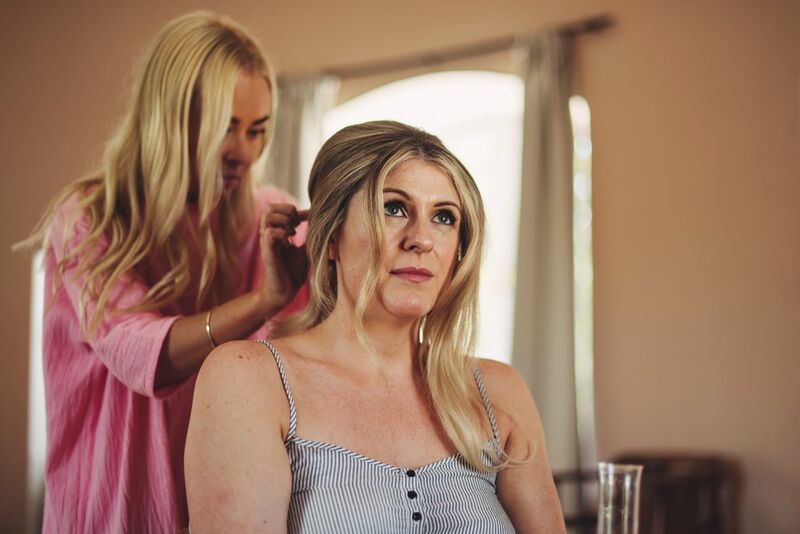 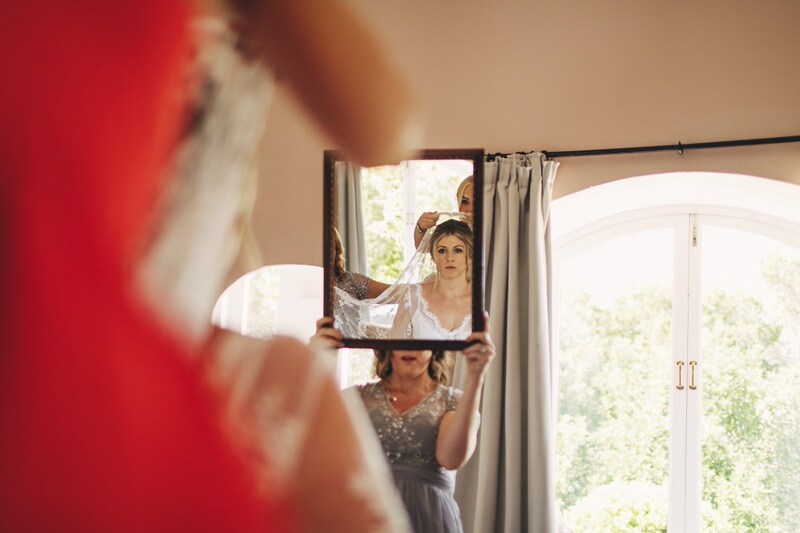 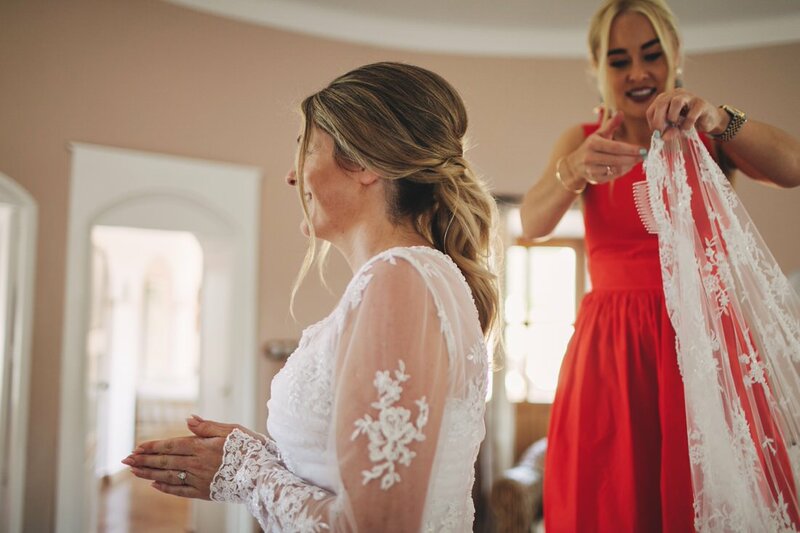 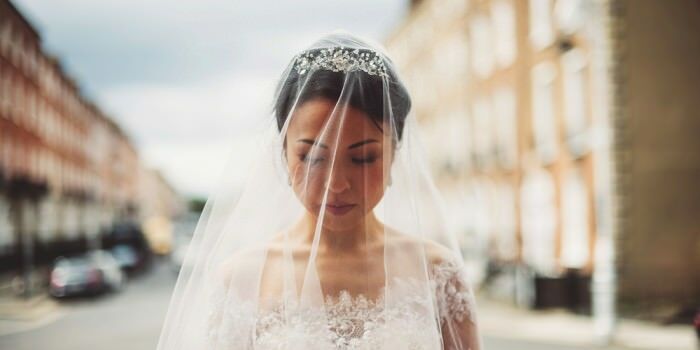 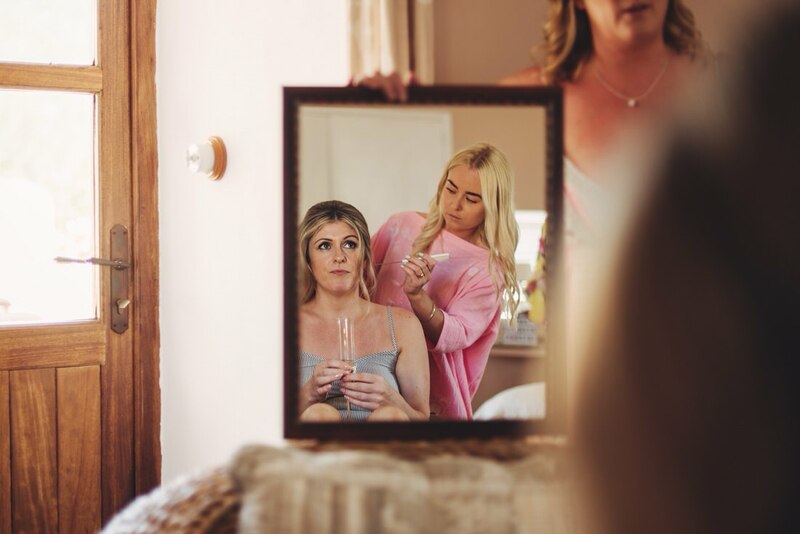 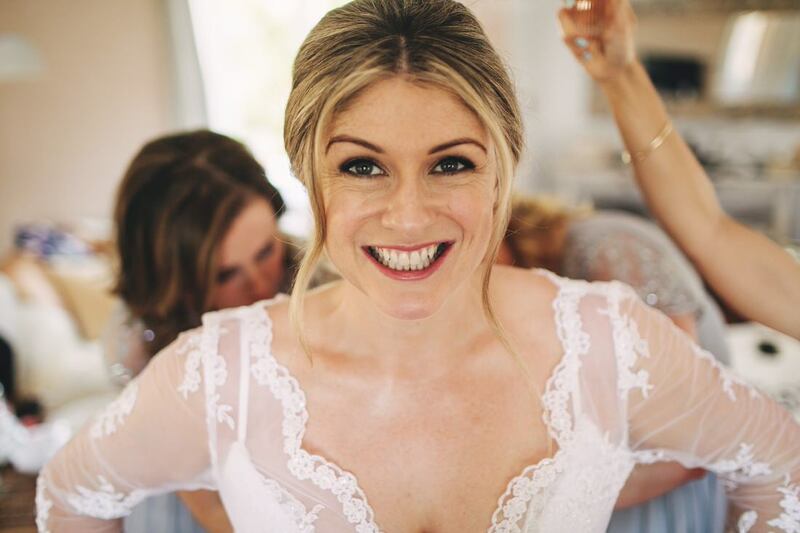 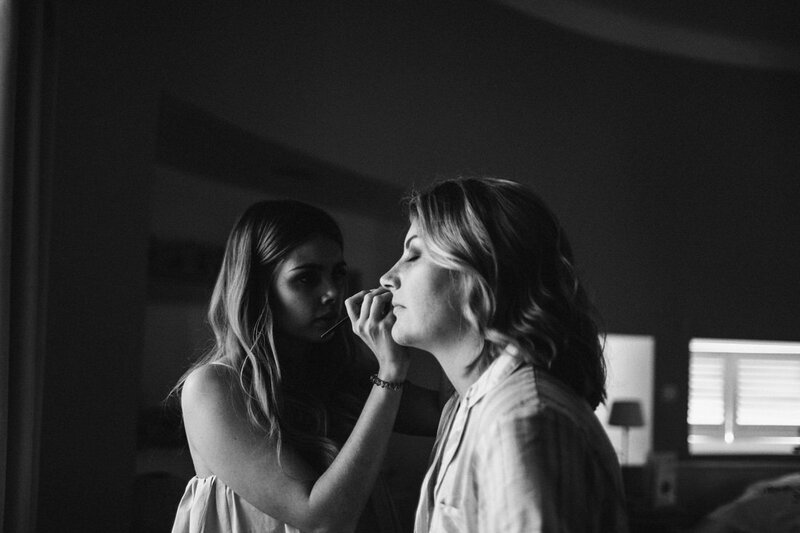 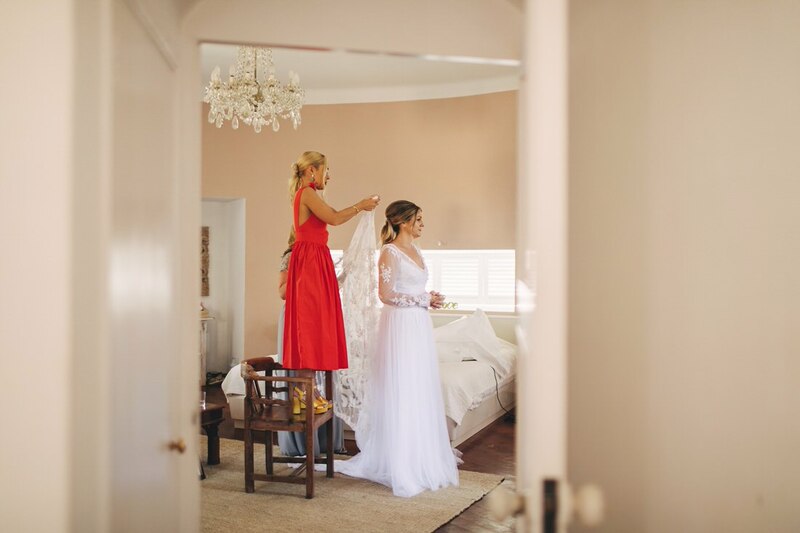 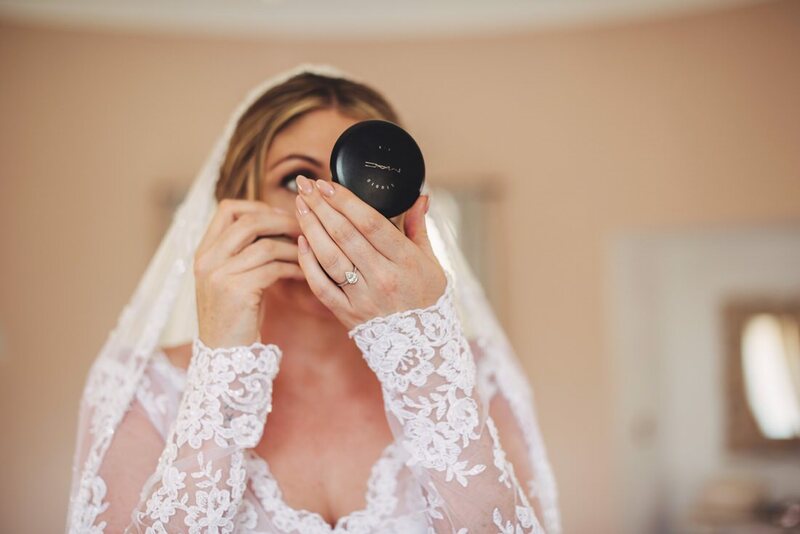 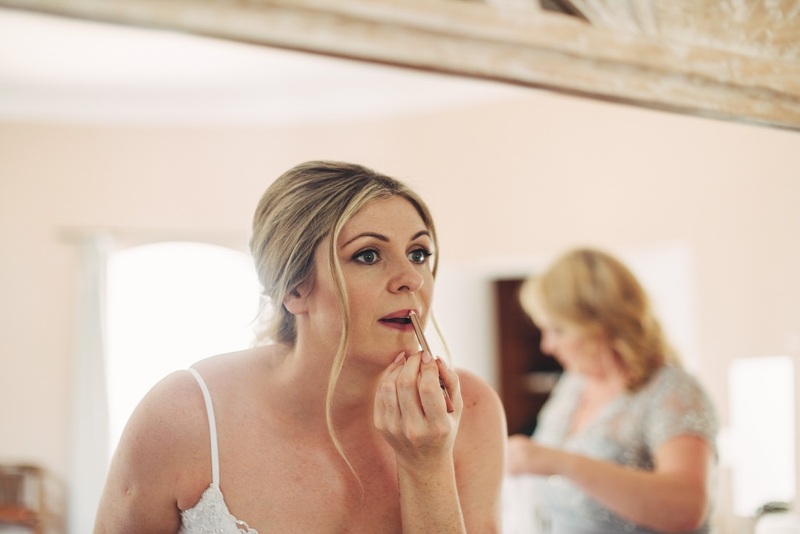 Michelle is an awesome first class makeup artist (check her out here) who I’ve met many times on wedding mornings and is always great for a chat and a giggle. 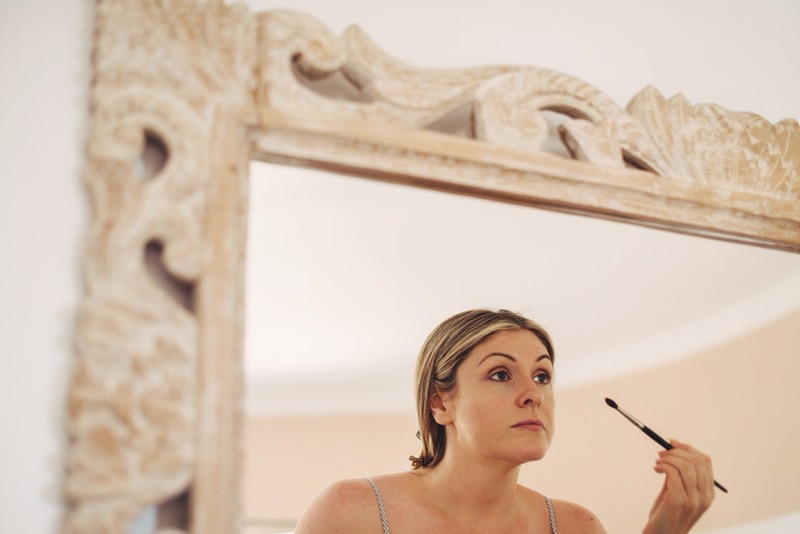 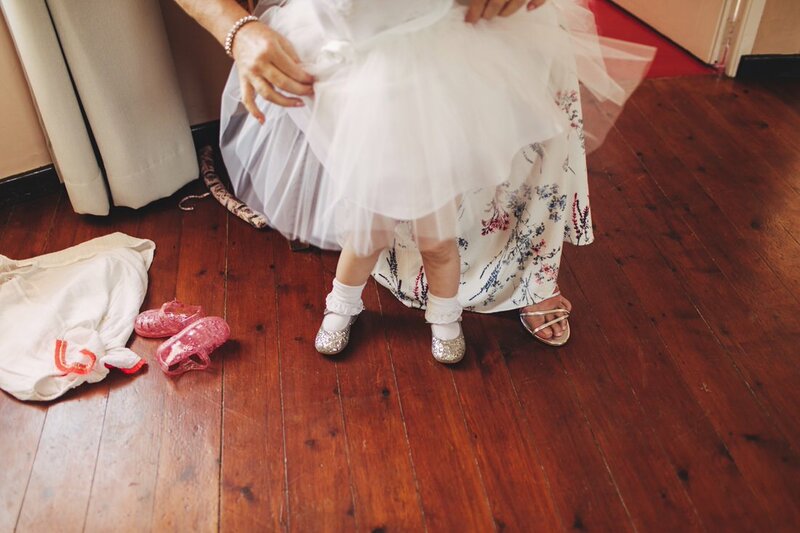 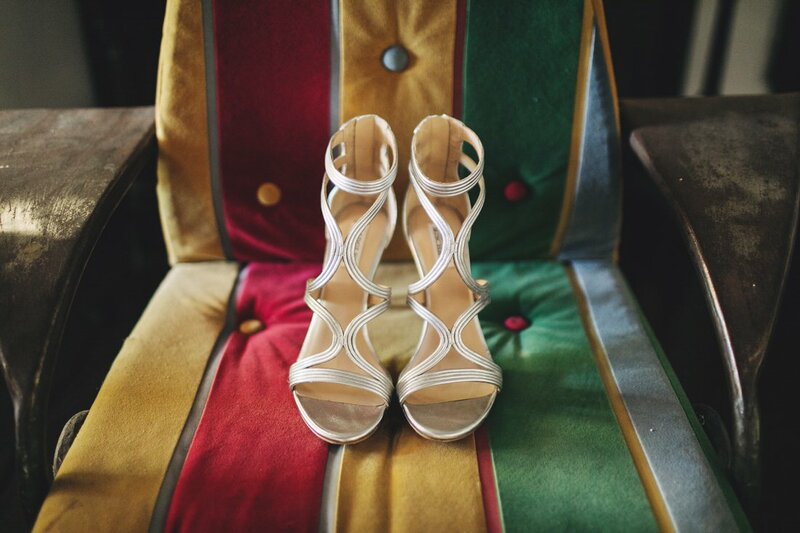 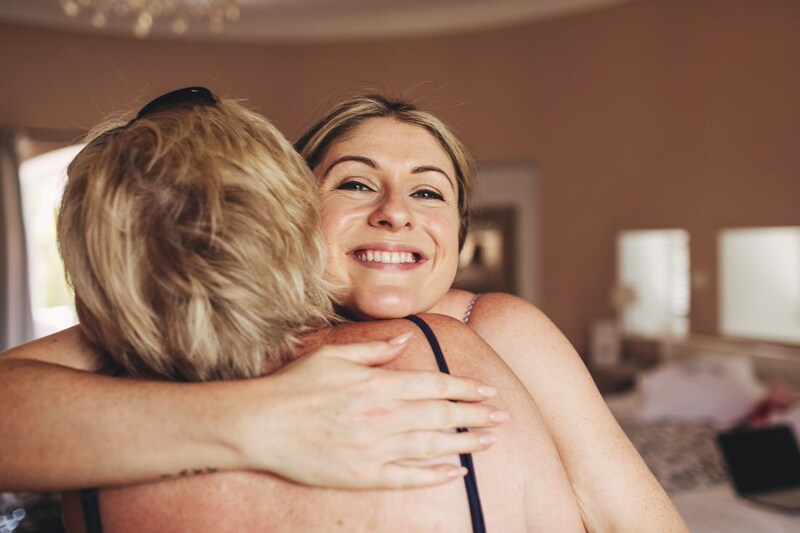 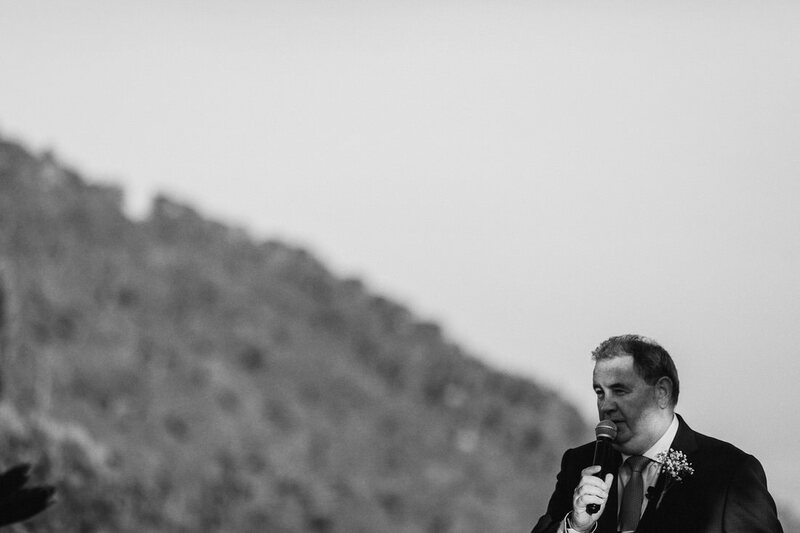 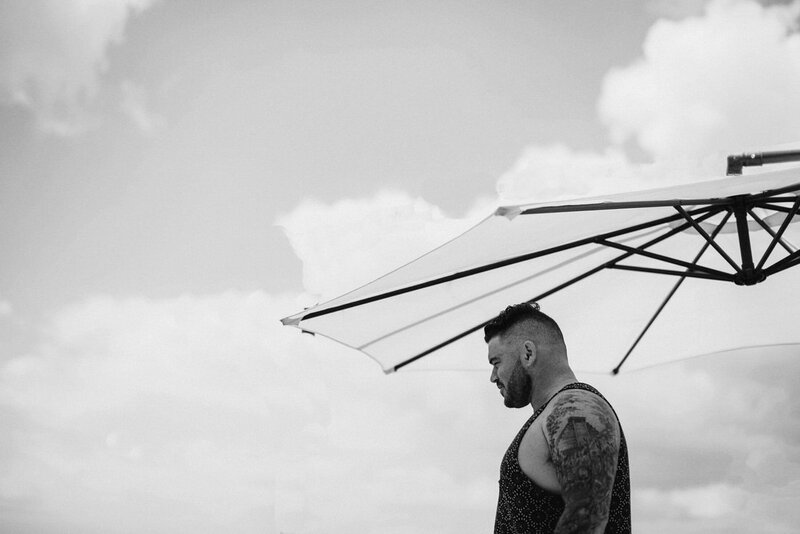 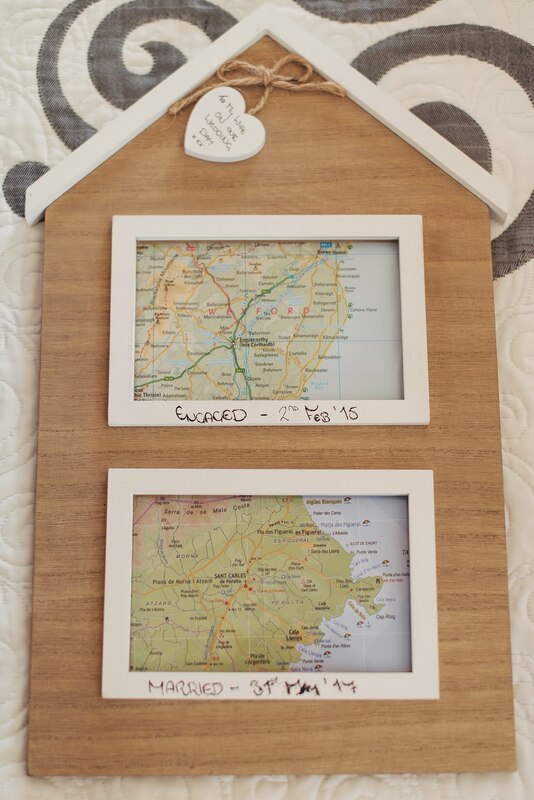 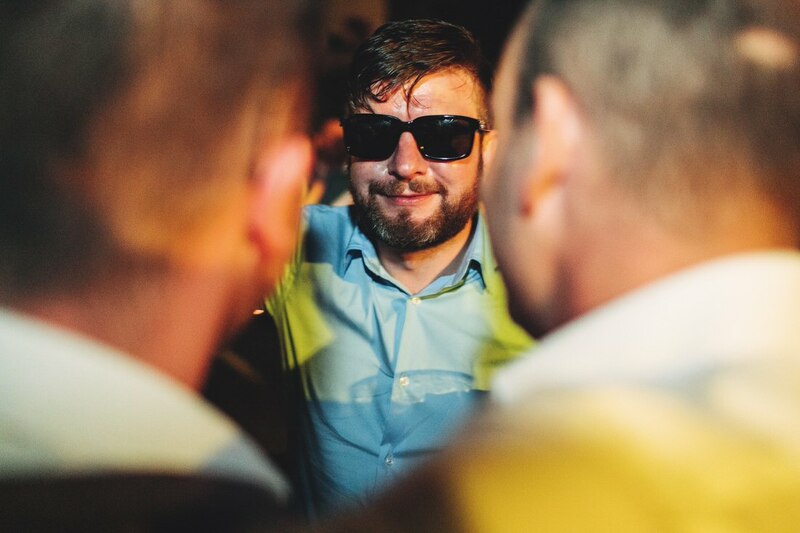 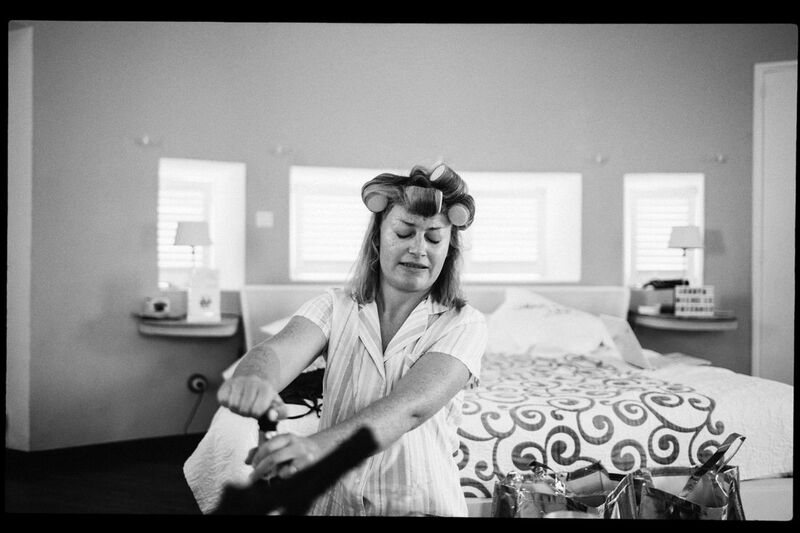 And when she asked me to shoot her wedding I was over the moon… eh of course I will!! 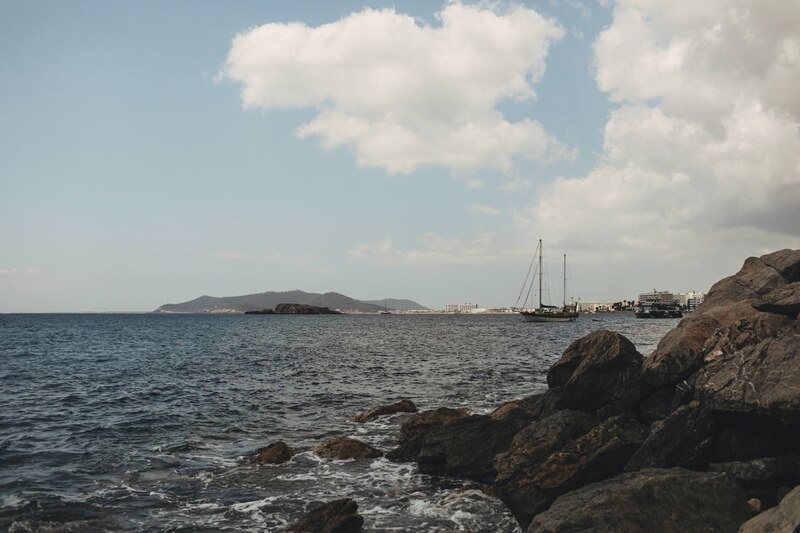 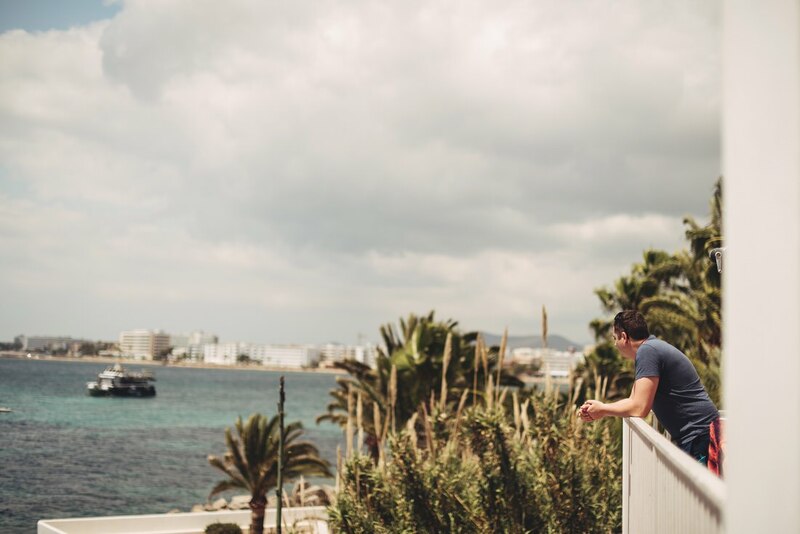 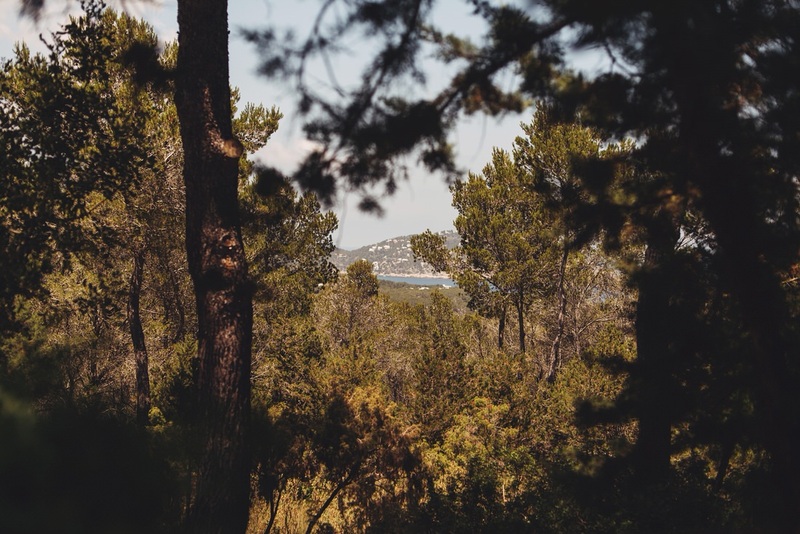 The island of Ibiza is a small little piece of paradise sitting in the med, with great wine, food and spectacular views. 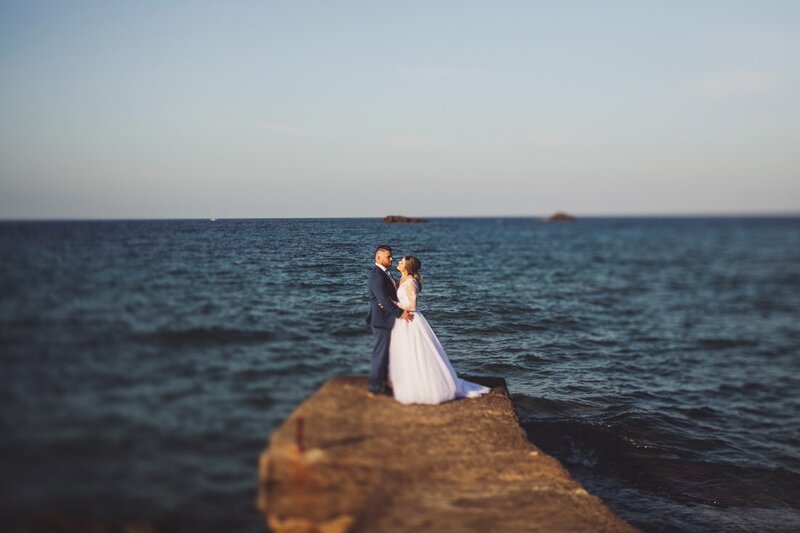 Swimming in the sea on the morning of a wedding is a new one for me, what a treat! 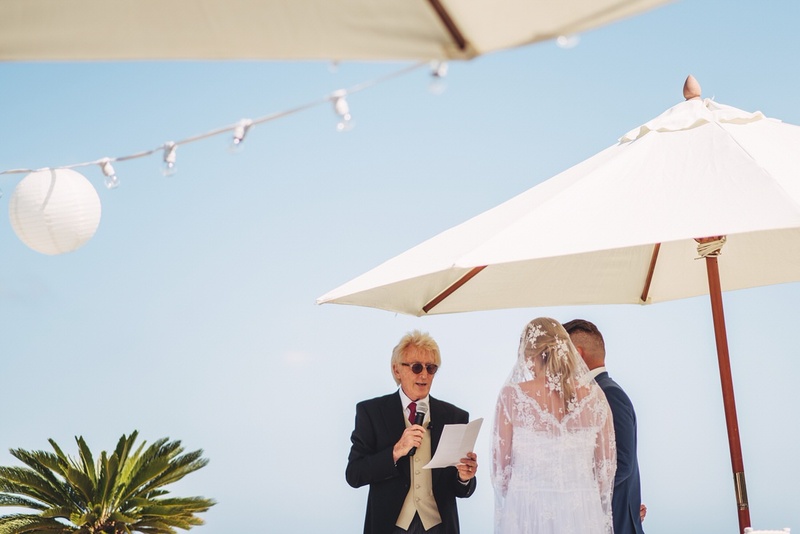 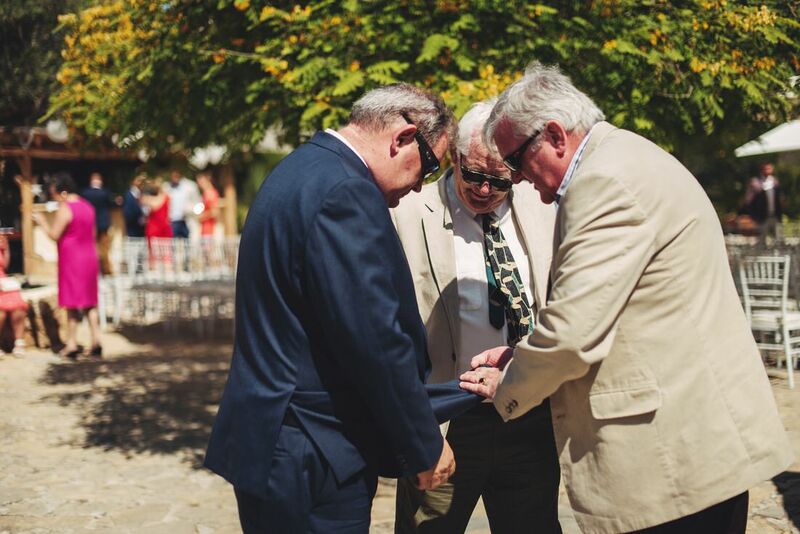 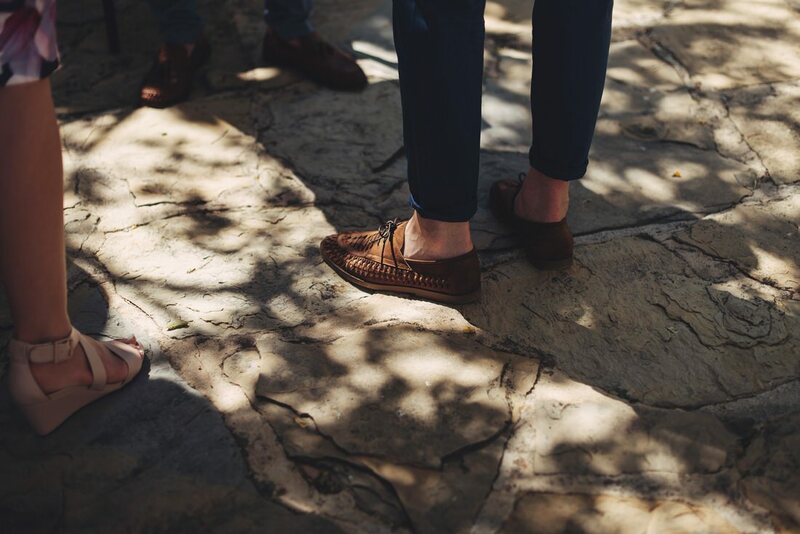 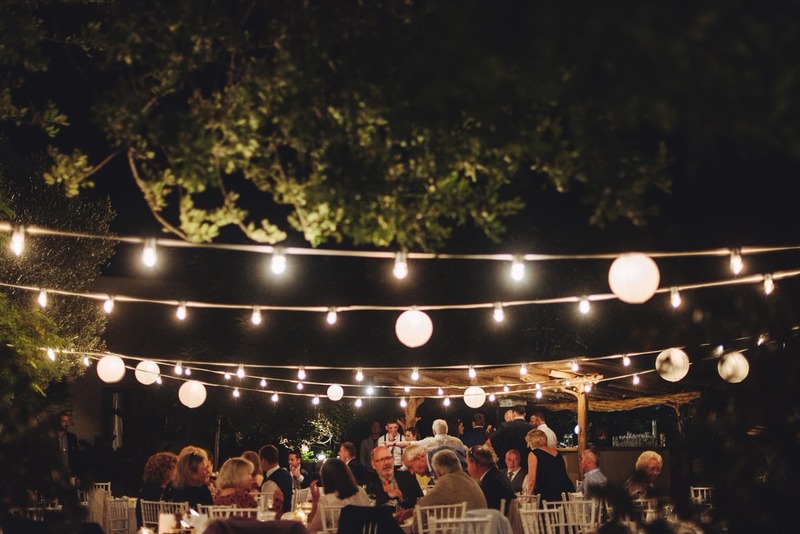 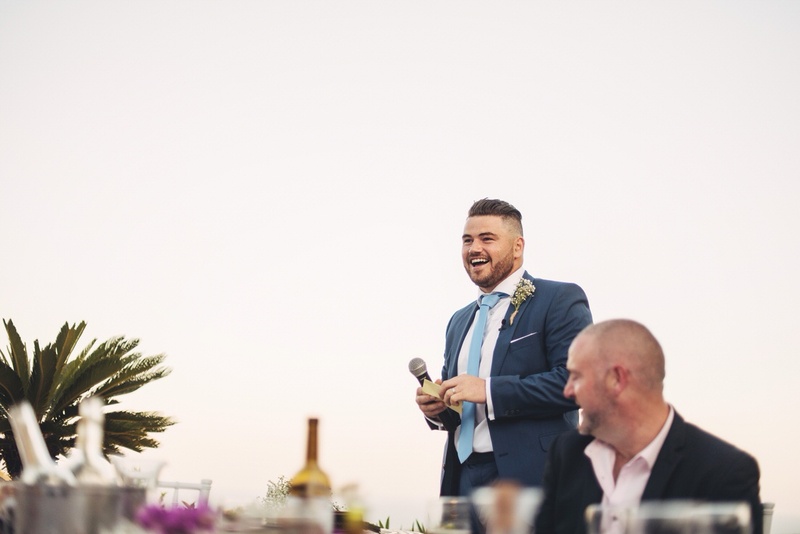 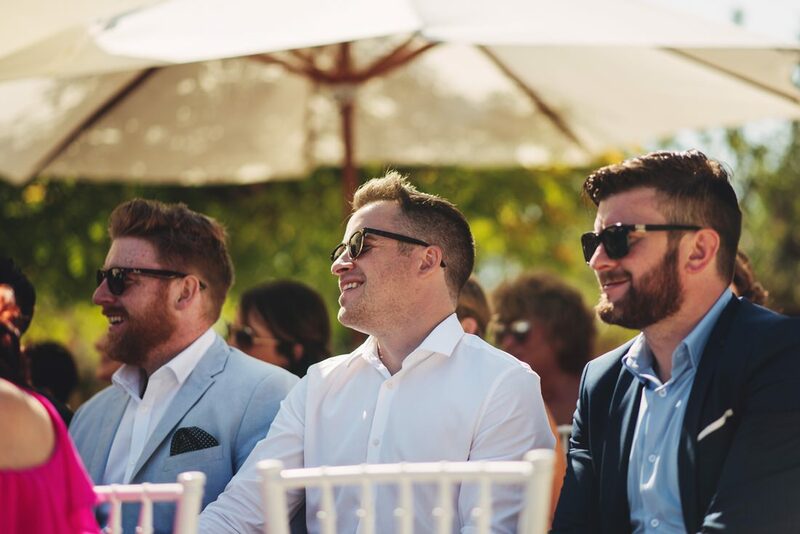 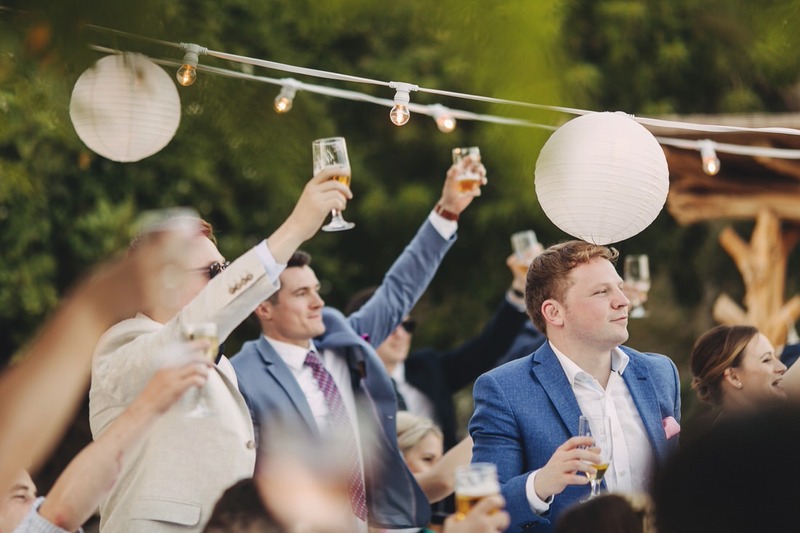 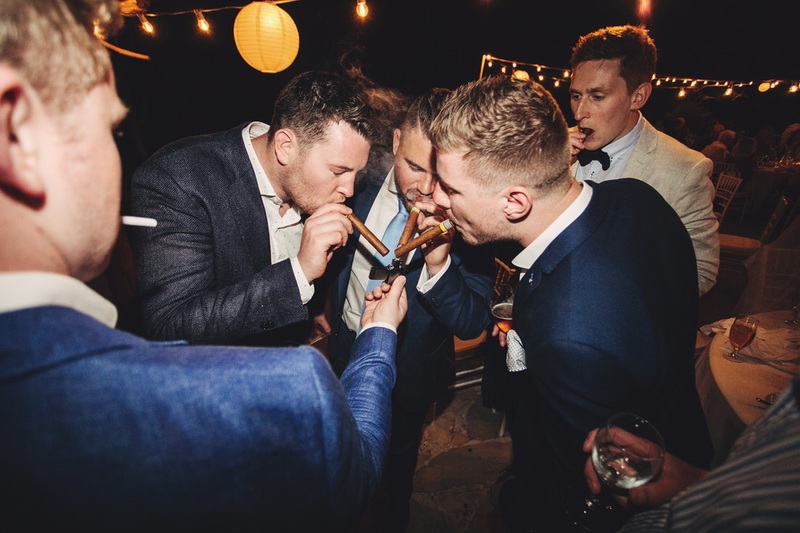 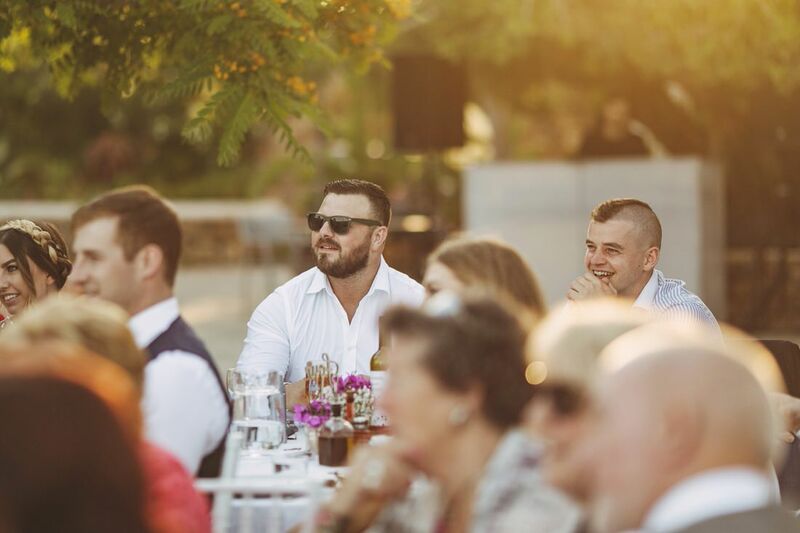 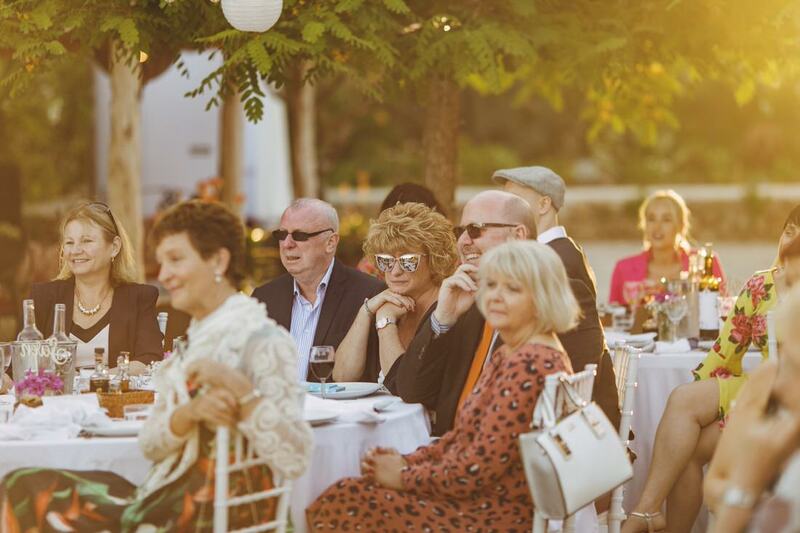 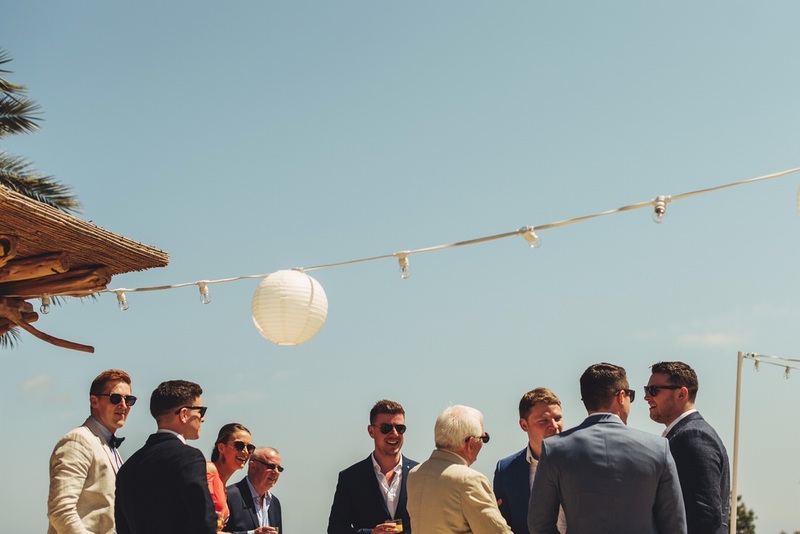 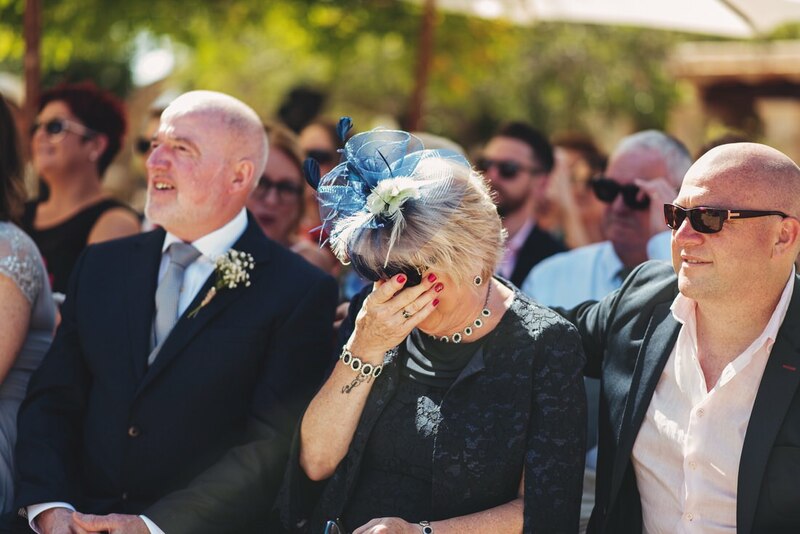 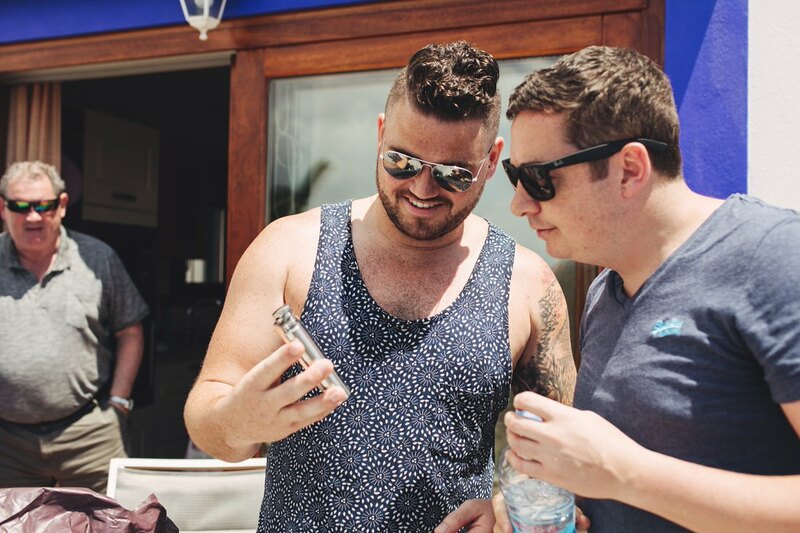 The wedding itself was held outside on a terrace basking in the sun with the reception around the pool afterwards accompanied by the sweet tunes of a scaled down Goods Band, sounding as amazing as ever. 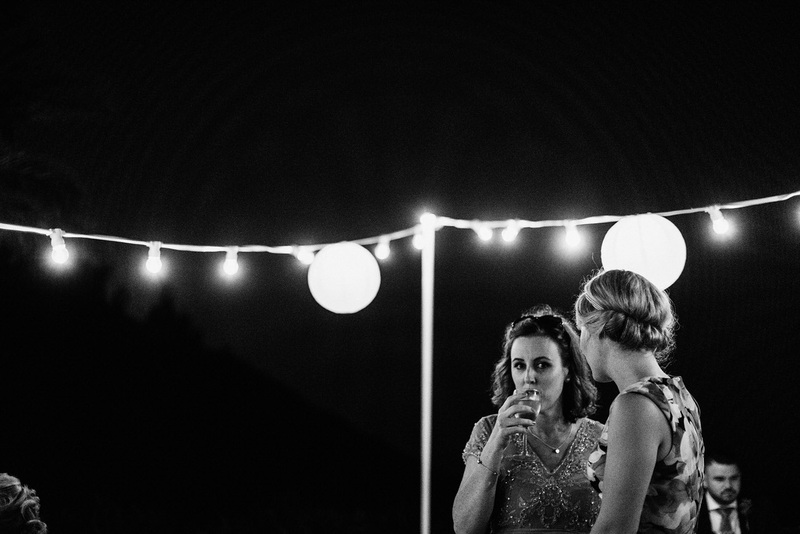 Partying of course went on late into the warm night and no doubt early morning. 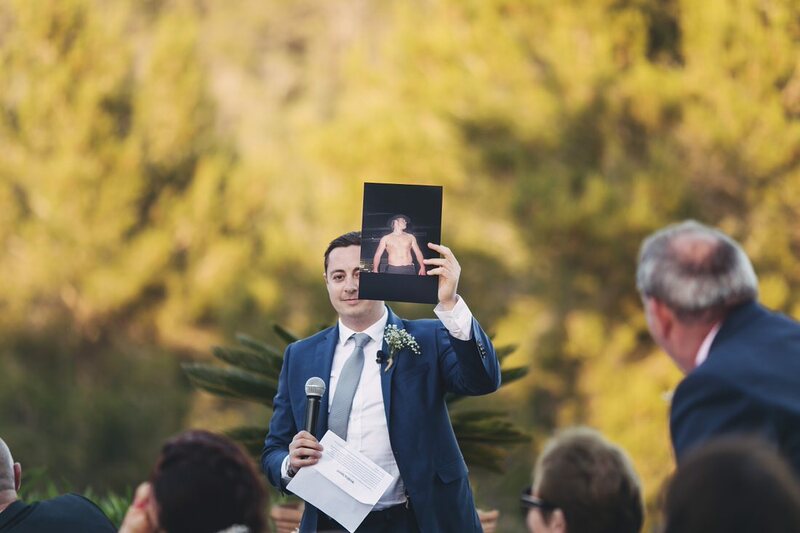 Ah man, this is great. 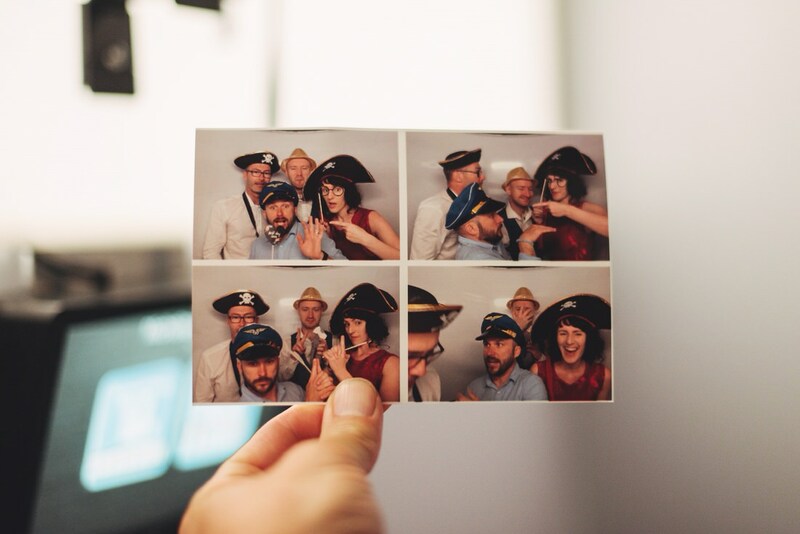 I love the photobooth action. 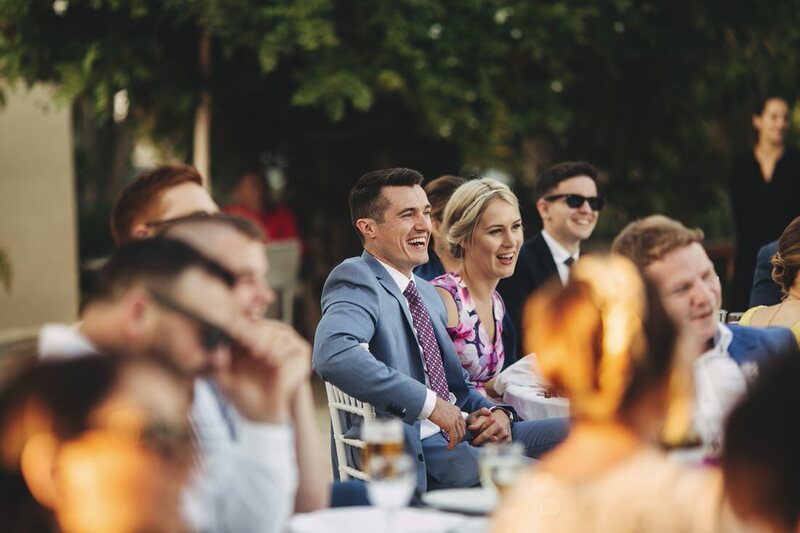 I can almost hear the laughs from here. 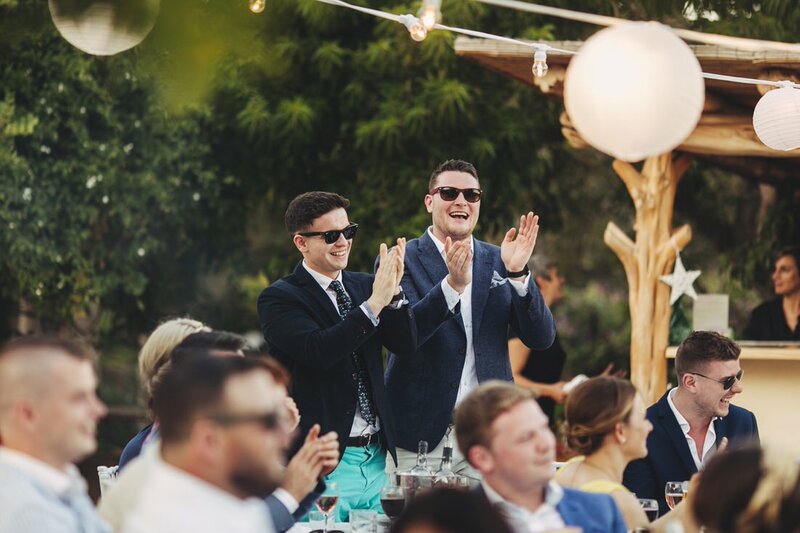 Great job and cracker wedding buddy.